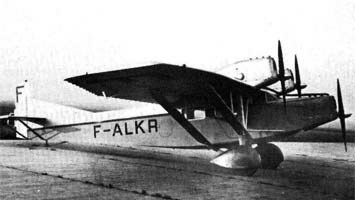 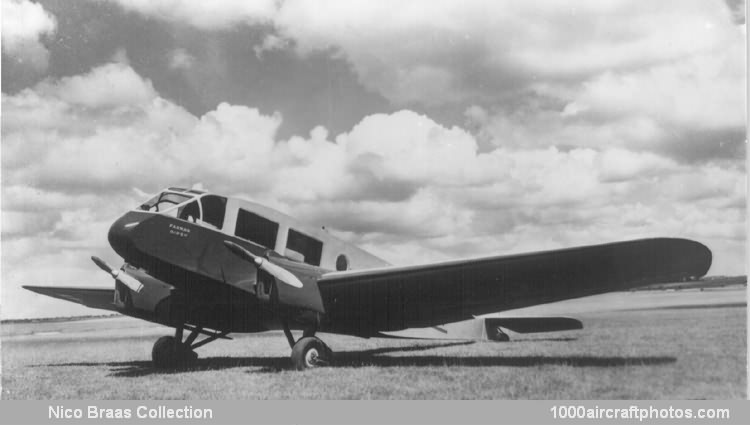 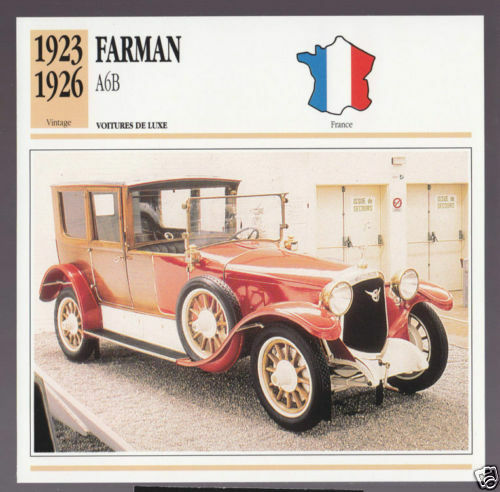 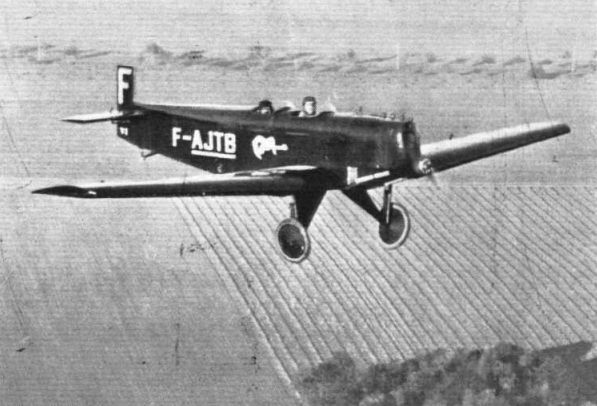 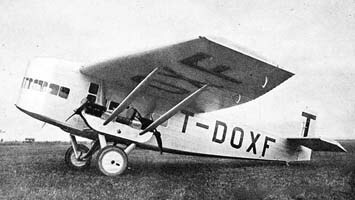 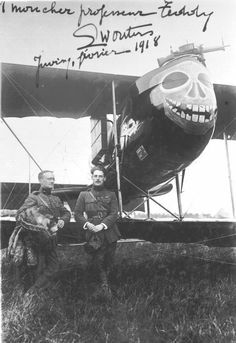 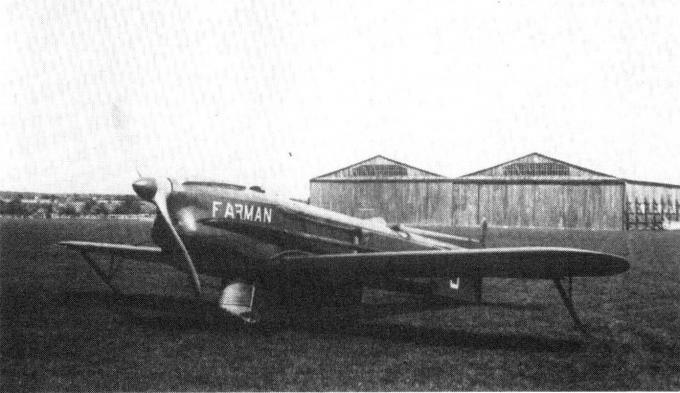 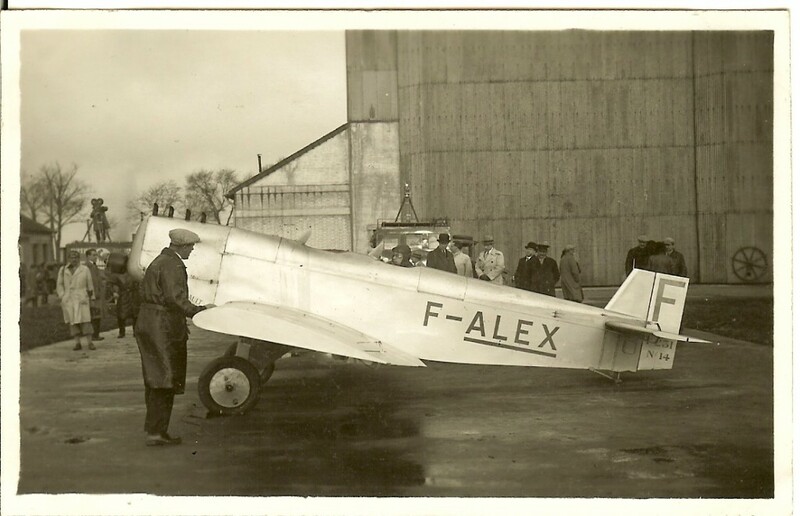 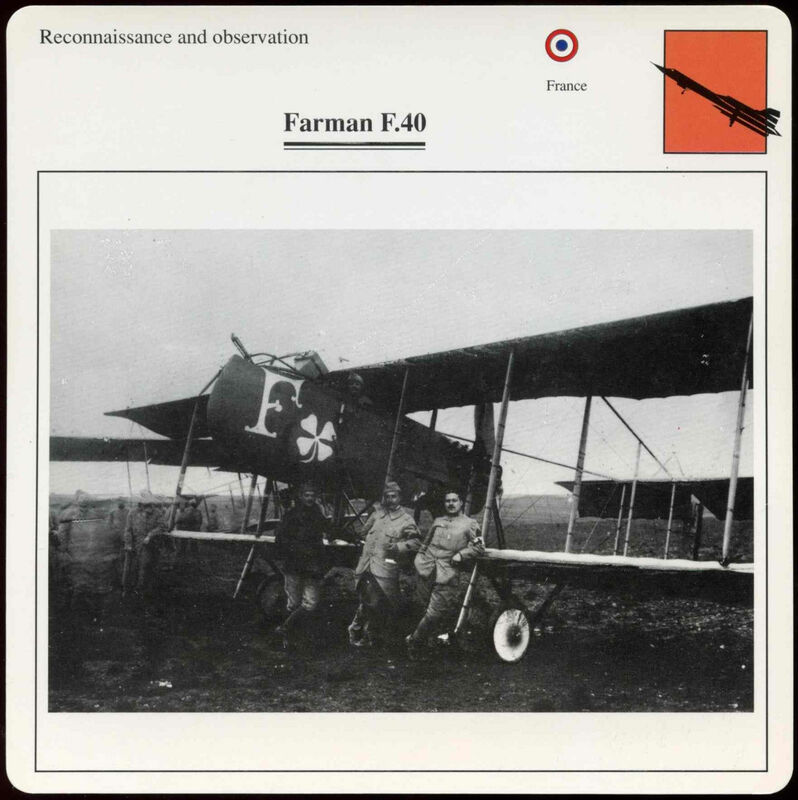 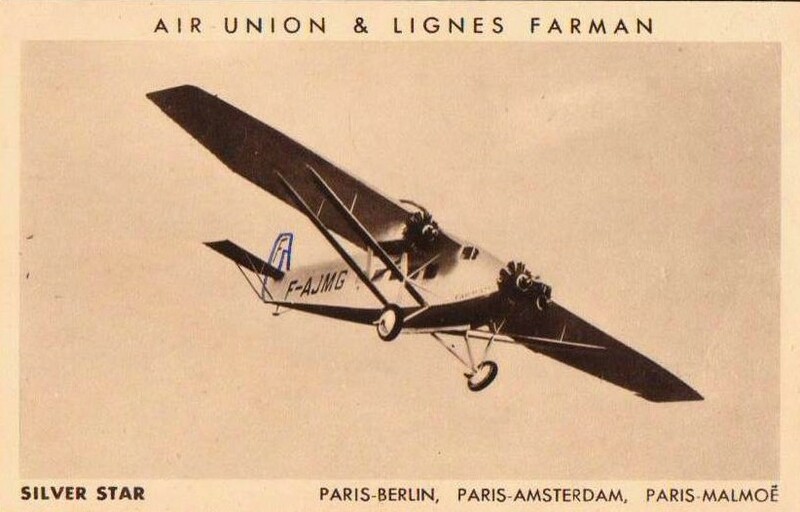 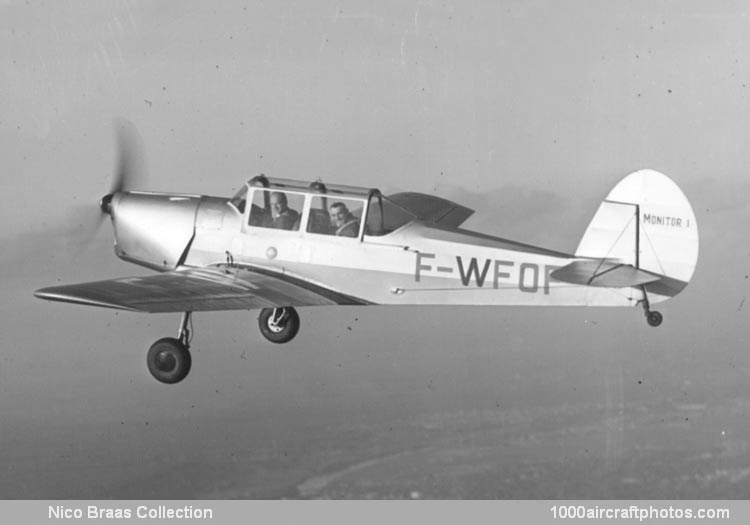 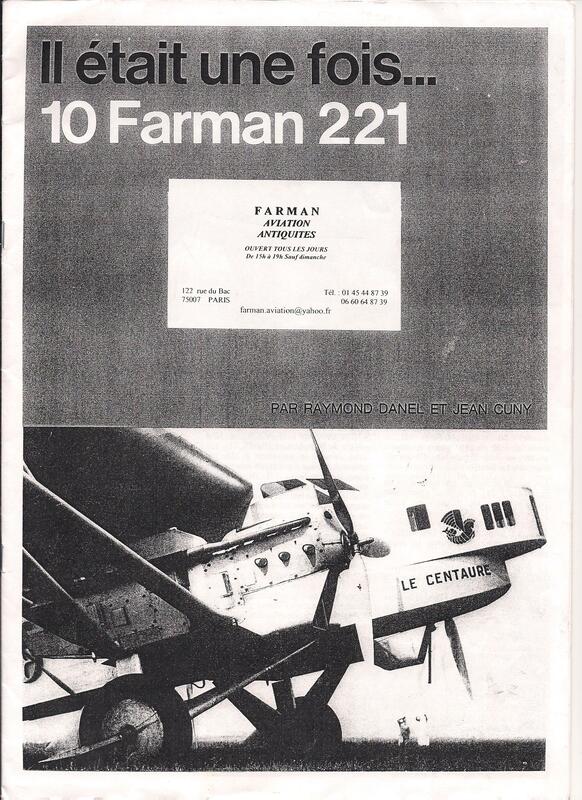 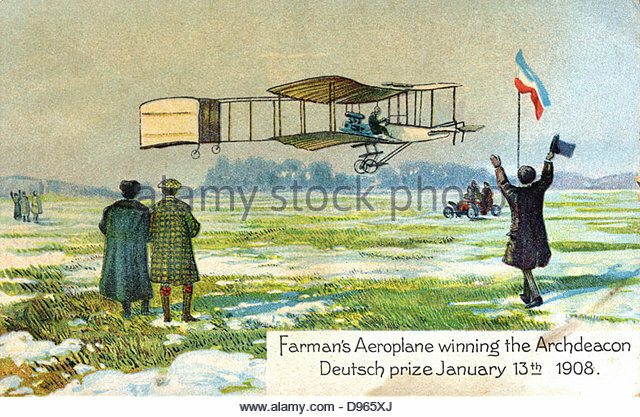 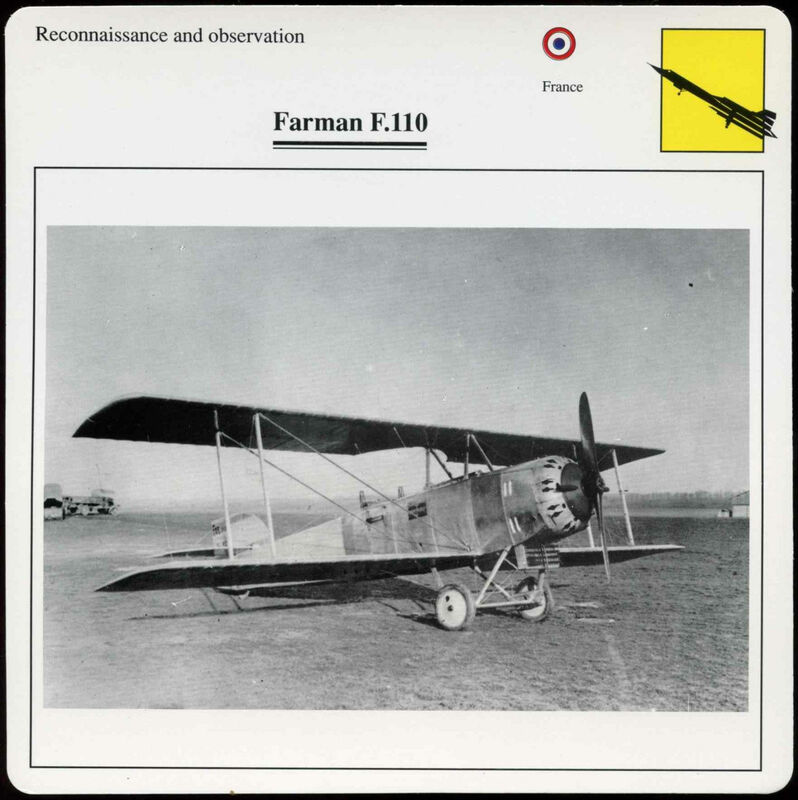 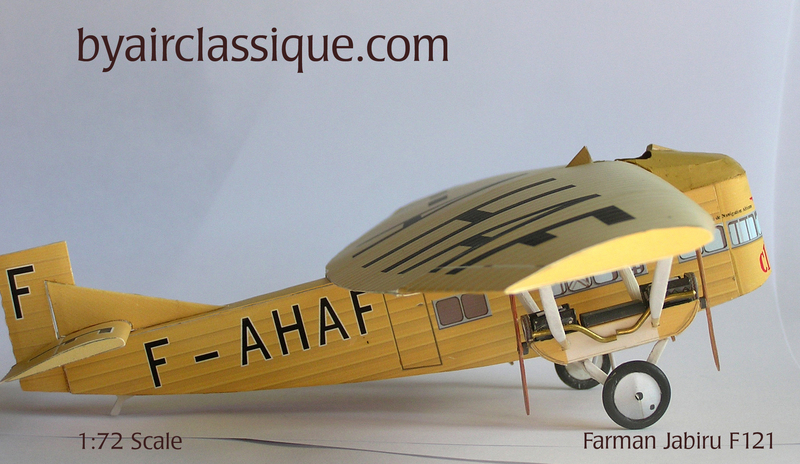 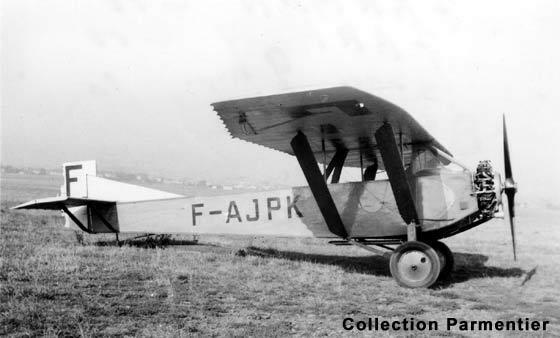 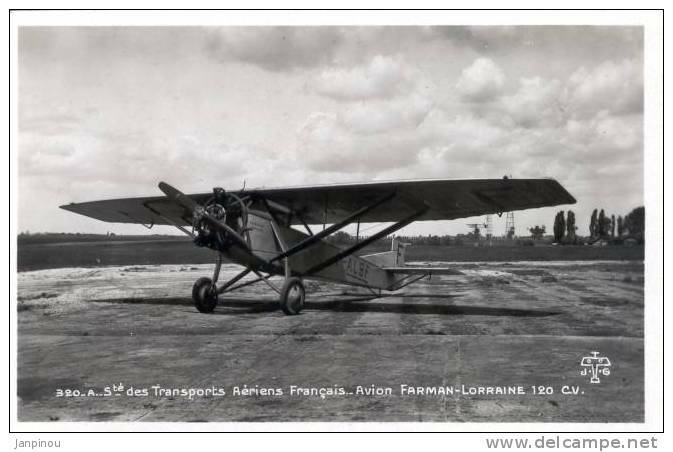 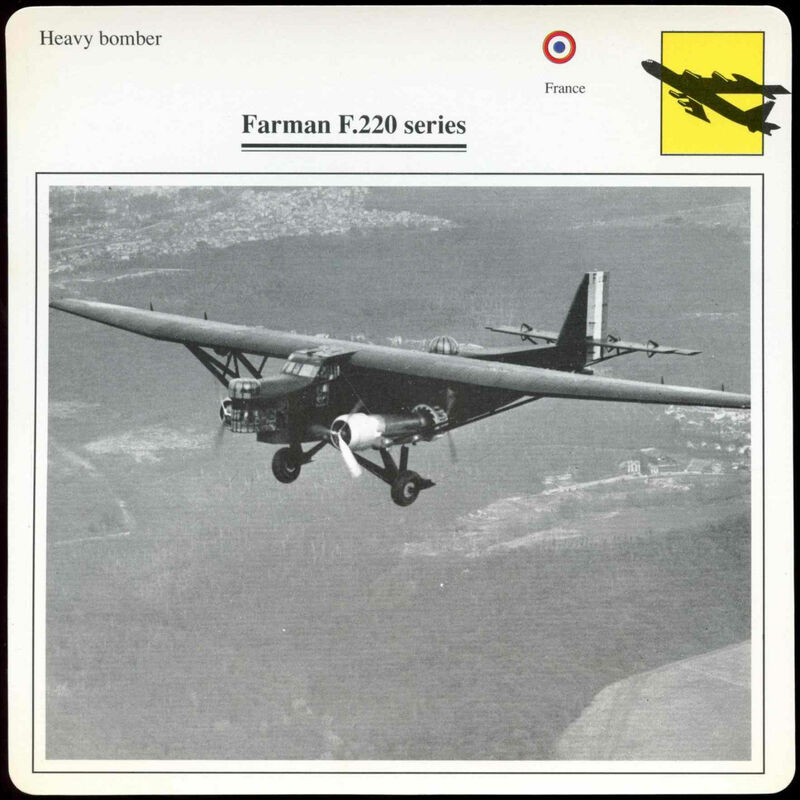 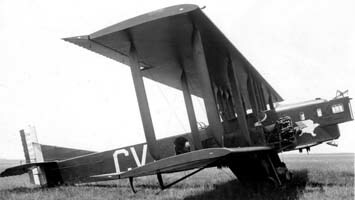 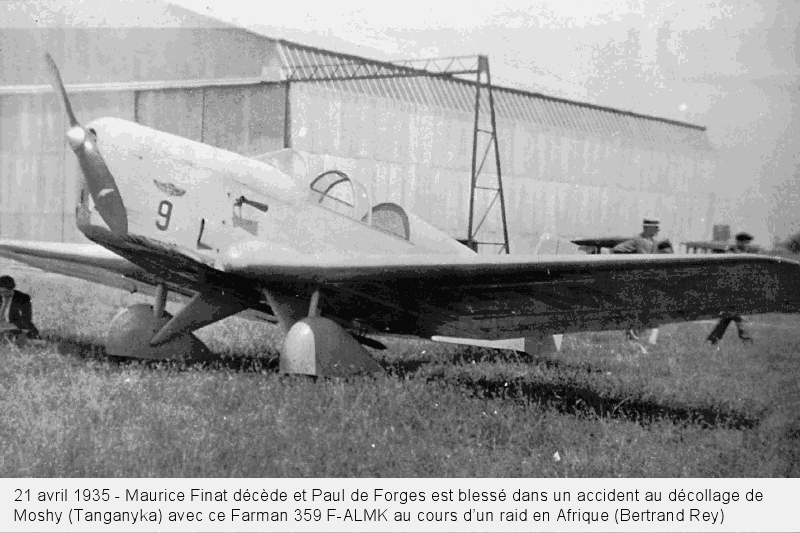 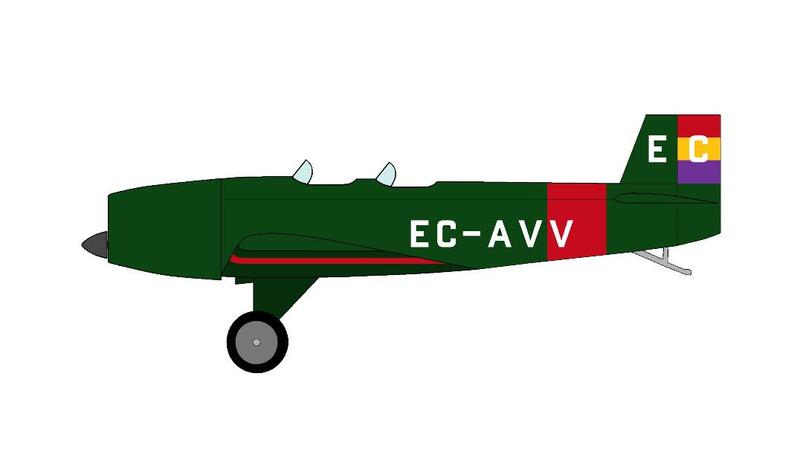 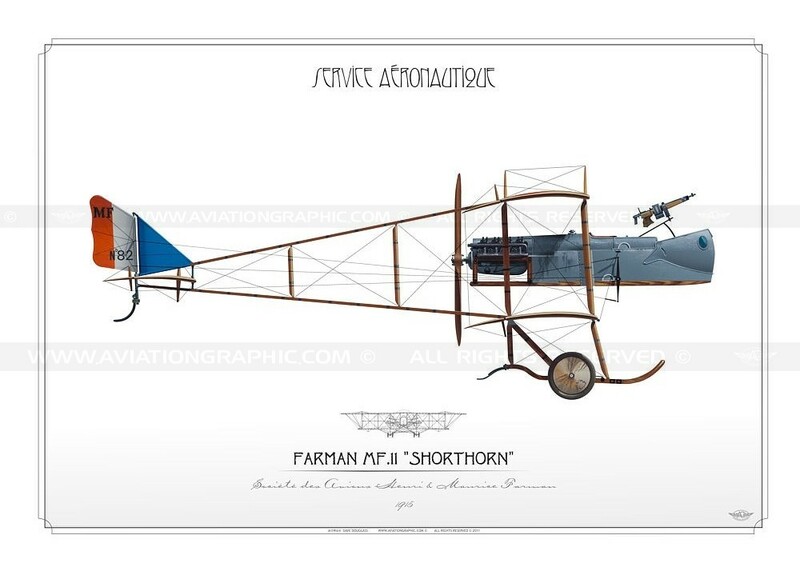 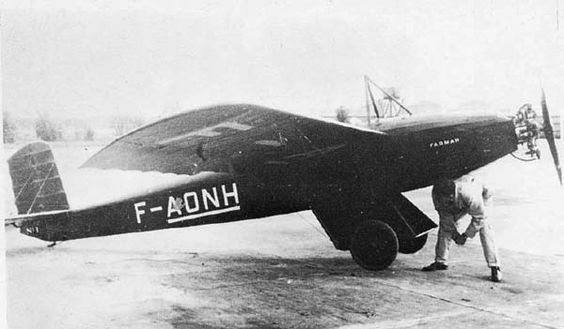 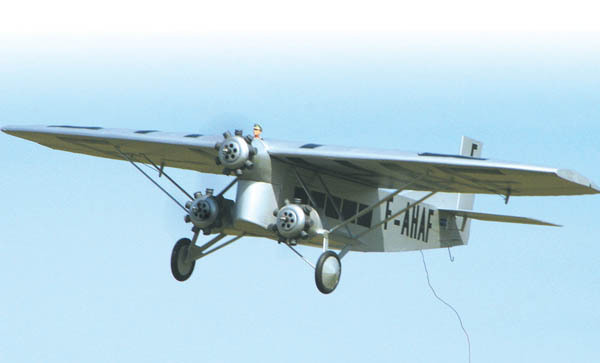 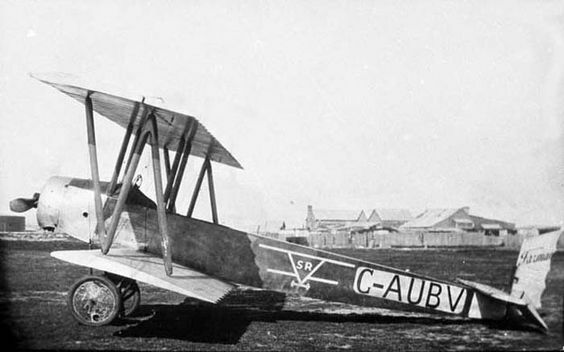 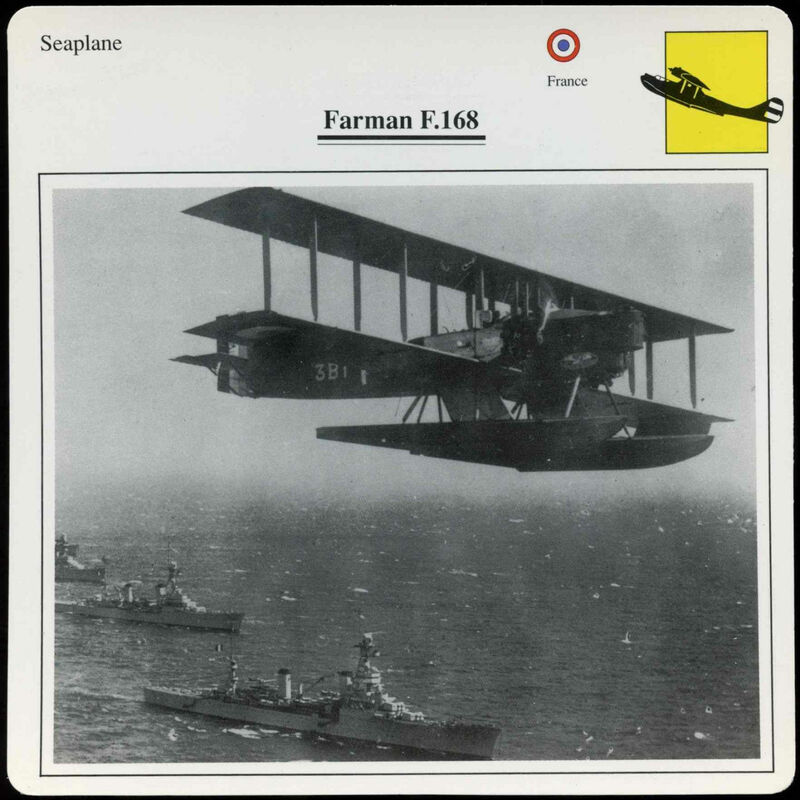 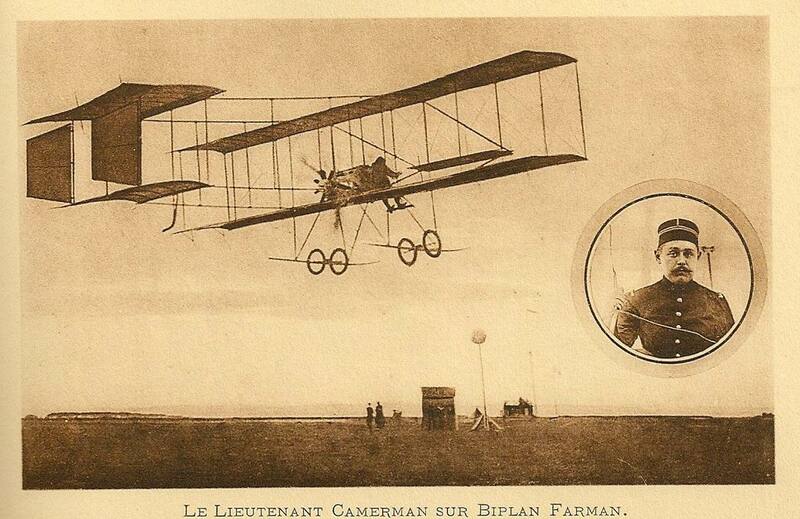 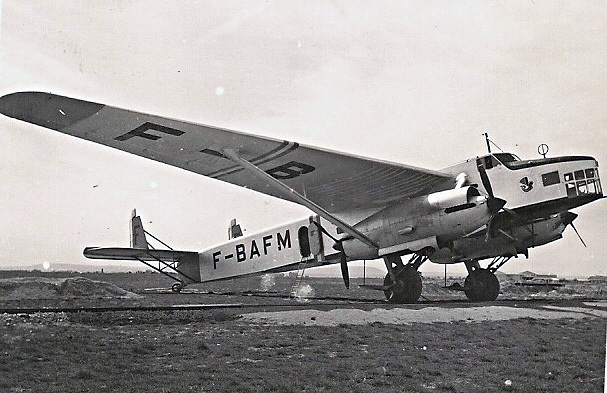 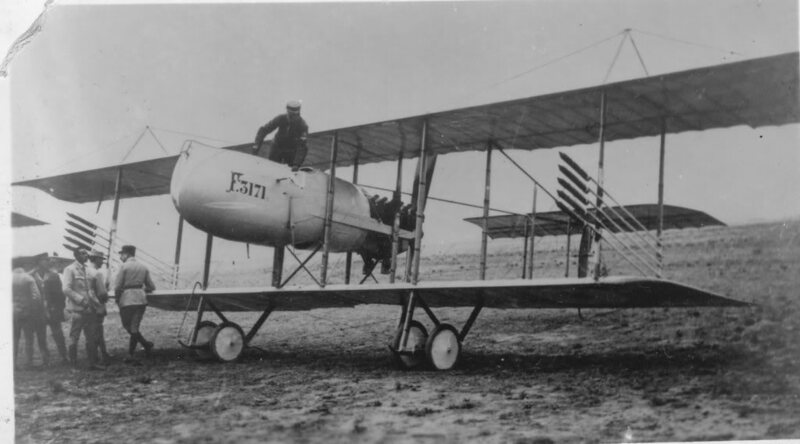 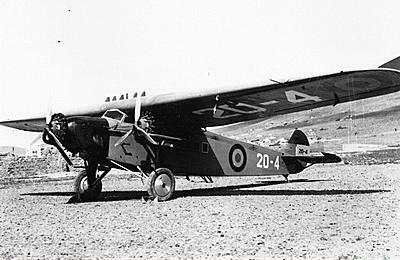 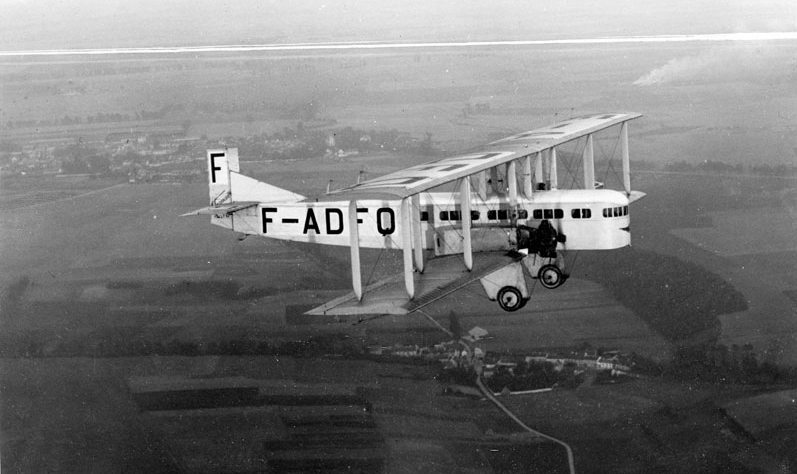 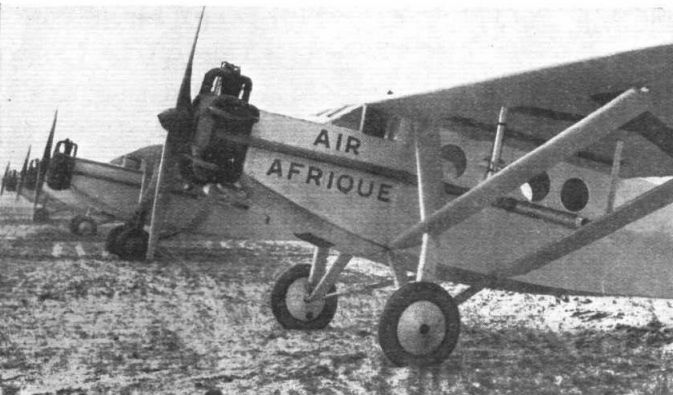 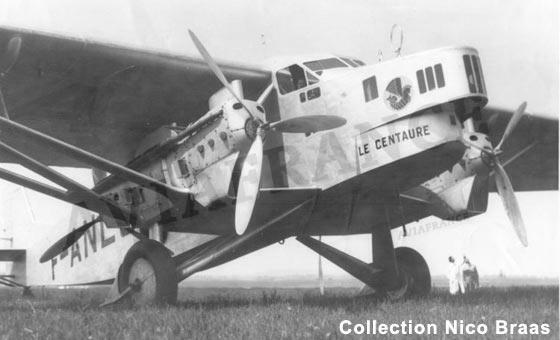 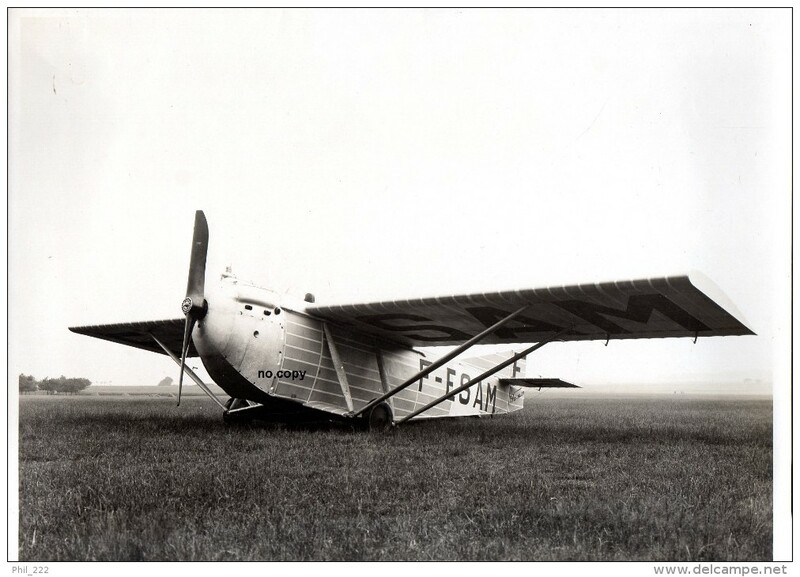 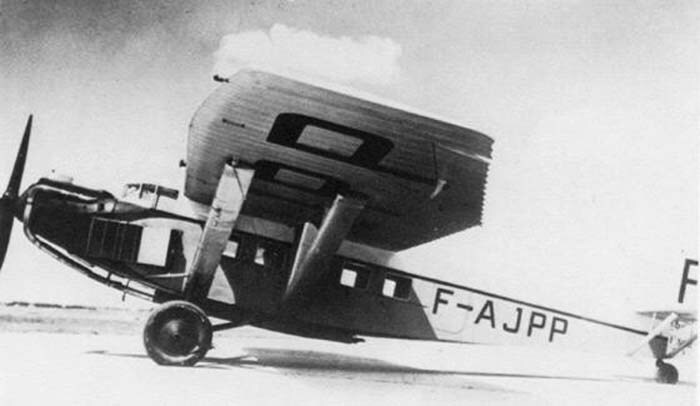 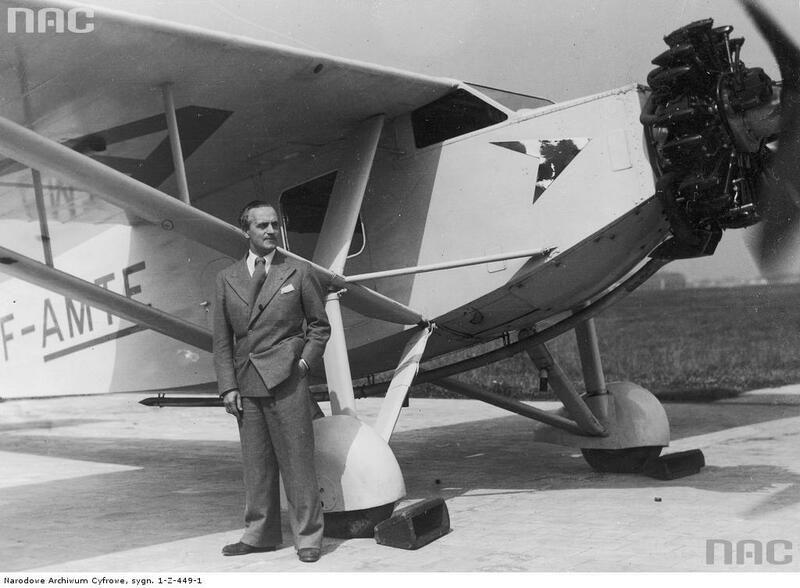 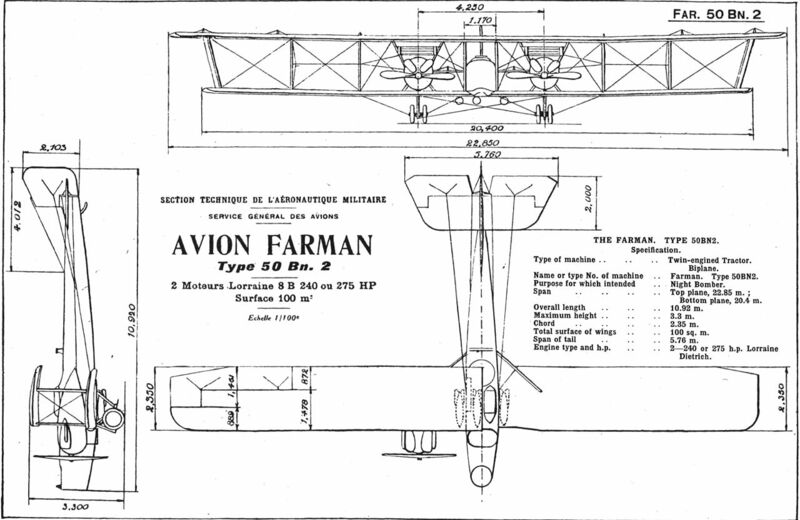 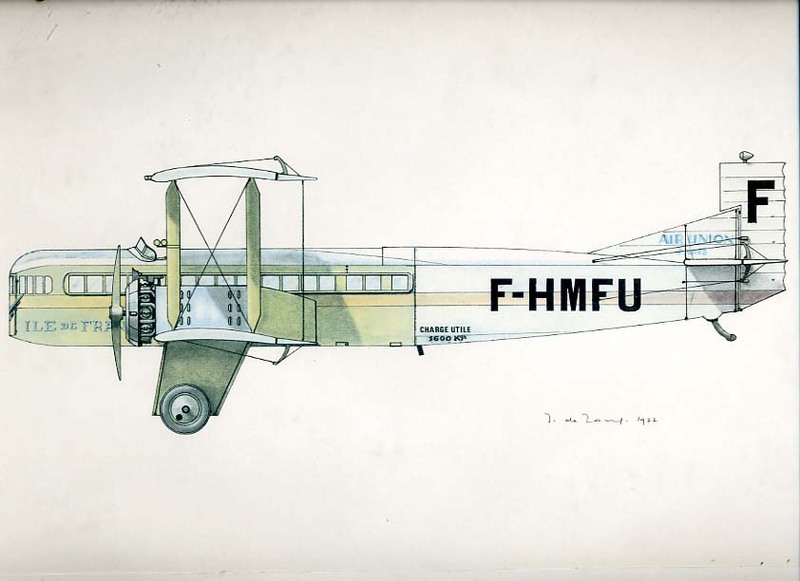 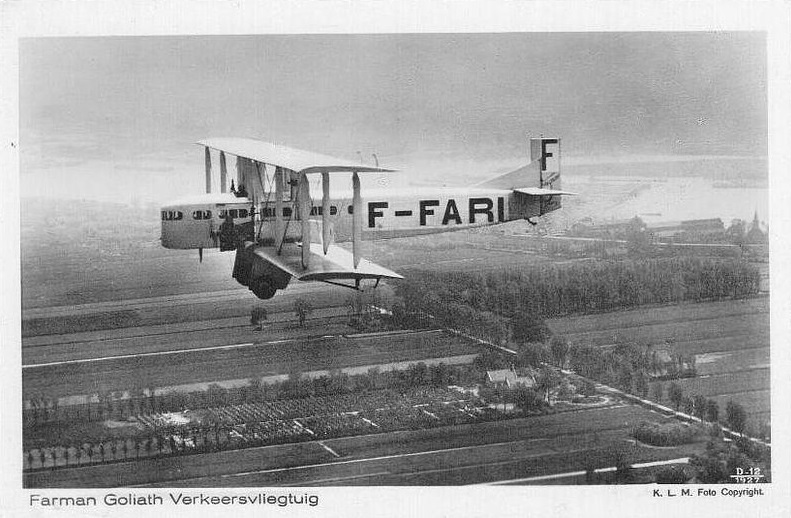 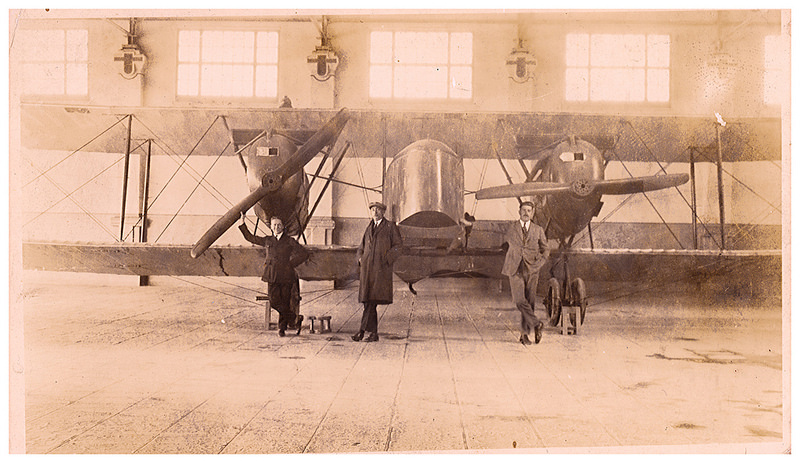 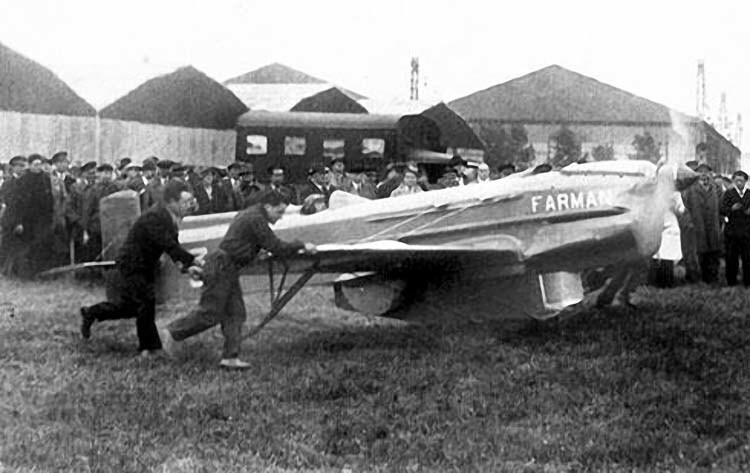 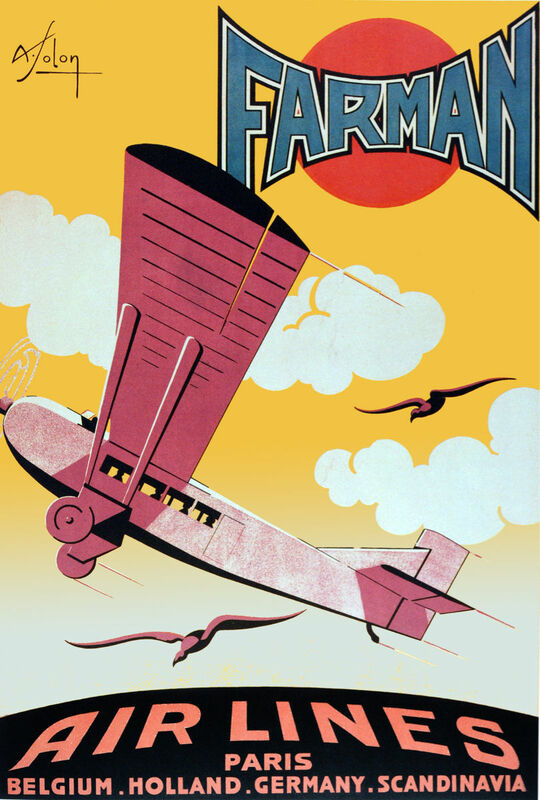 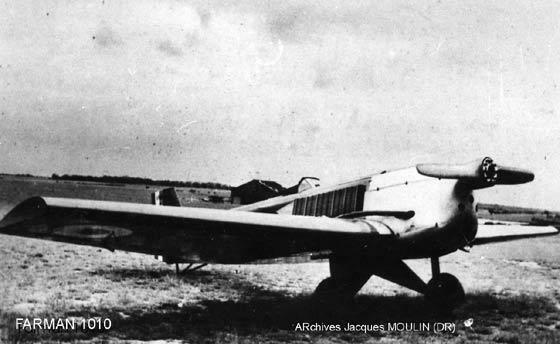 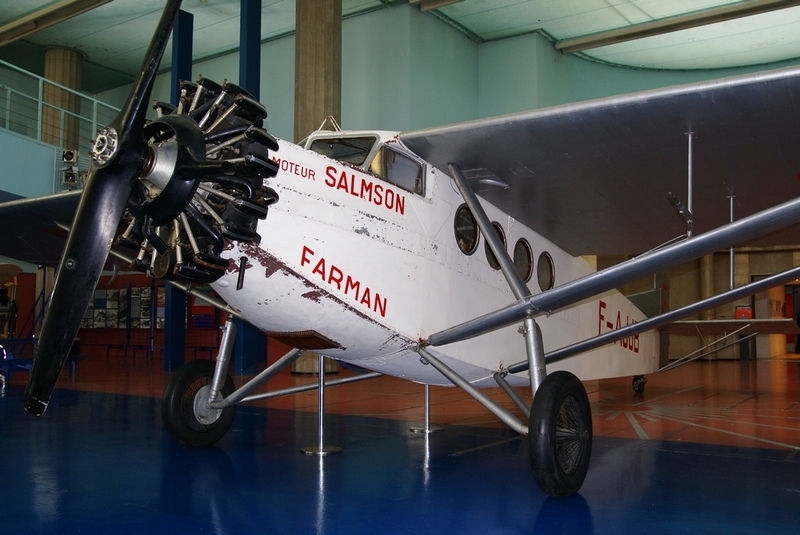 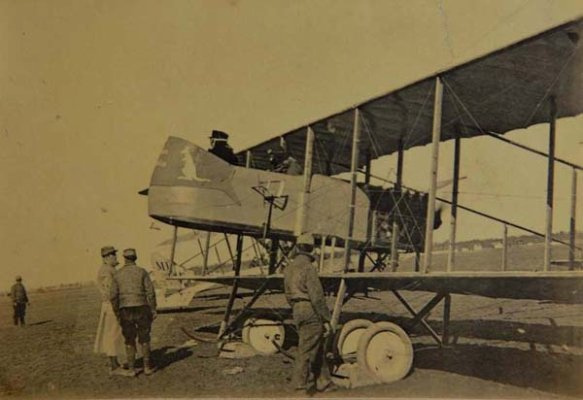 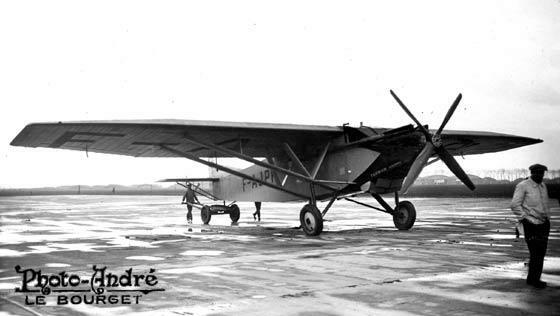 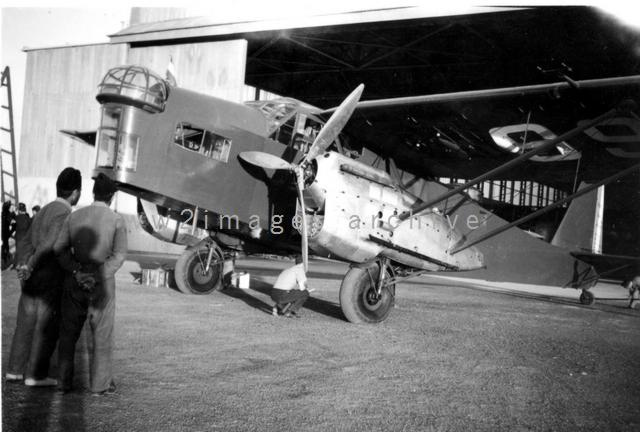 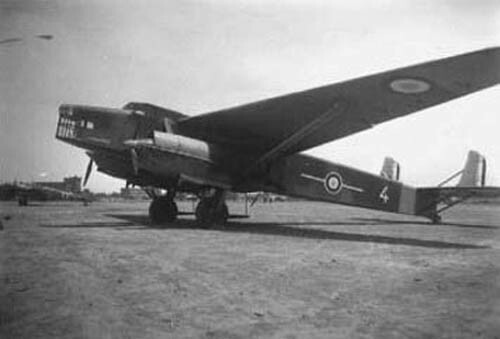 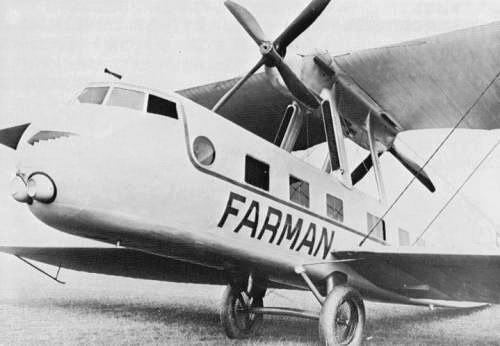 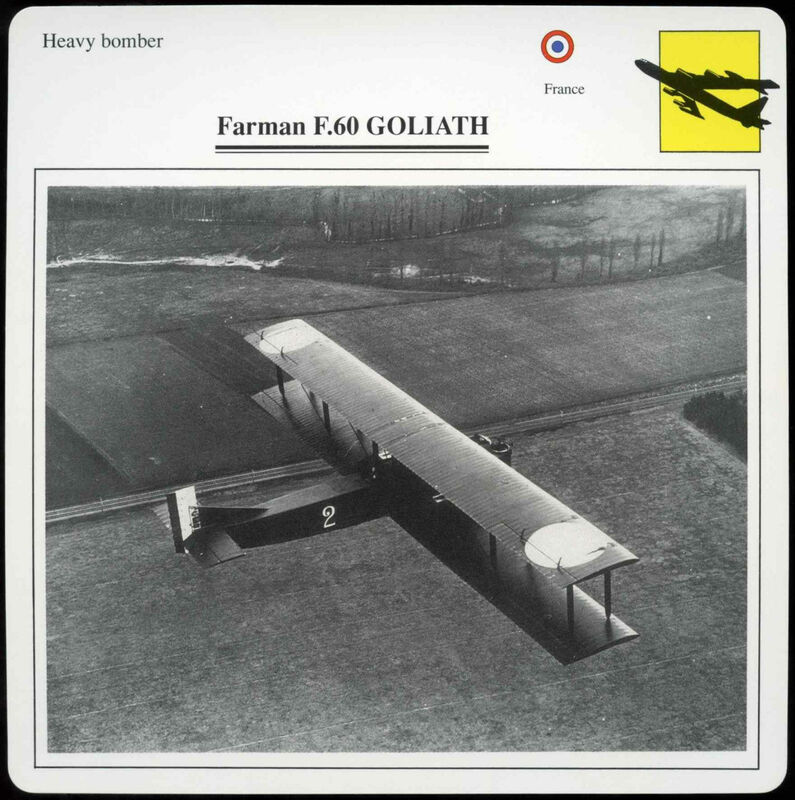 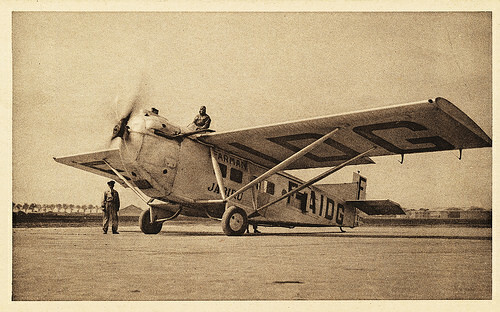 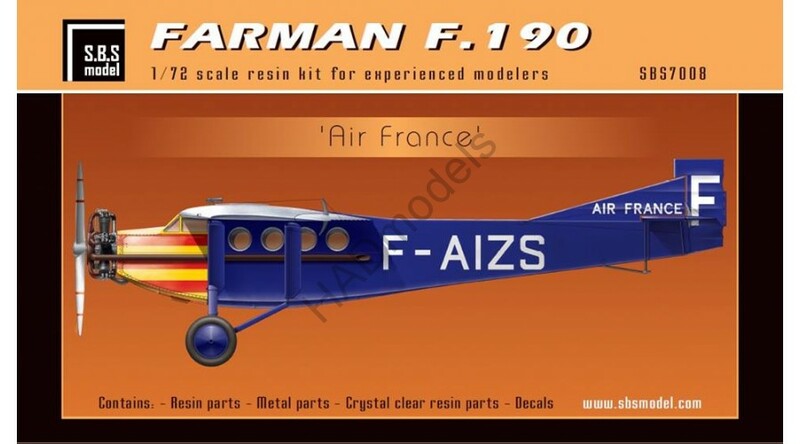 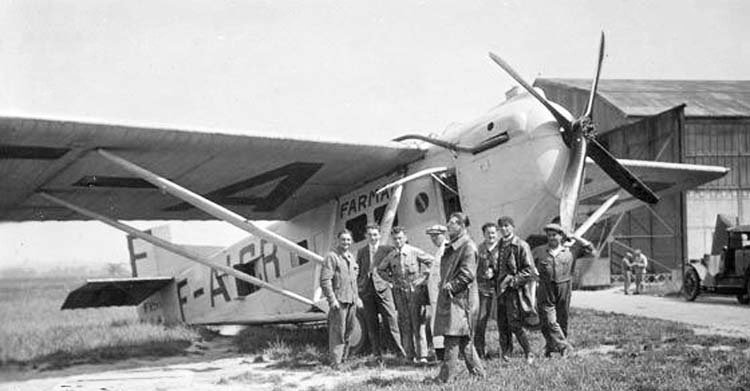 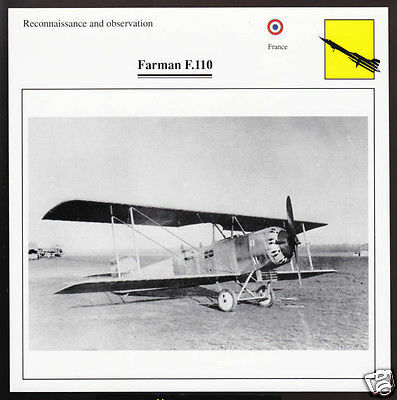 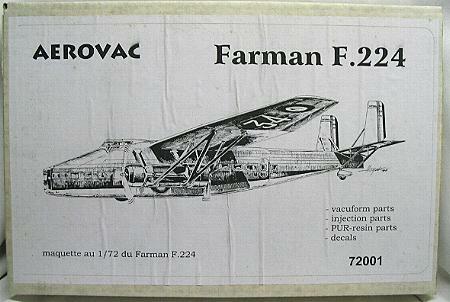 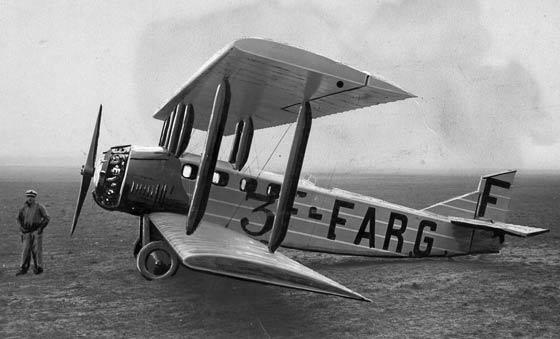 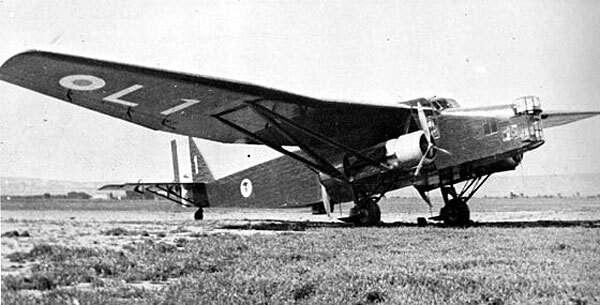 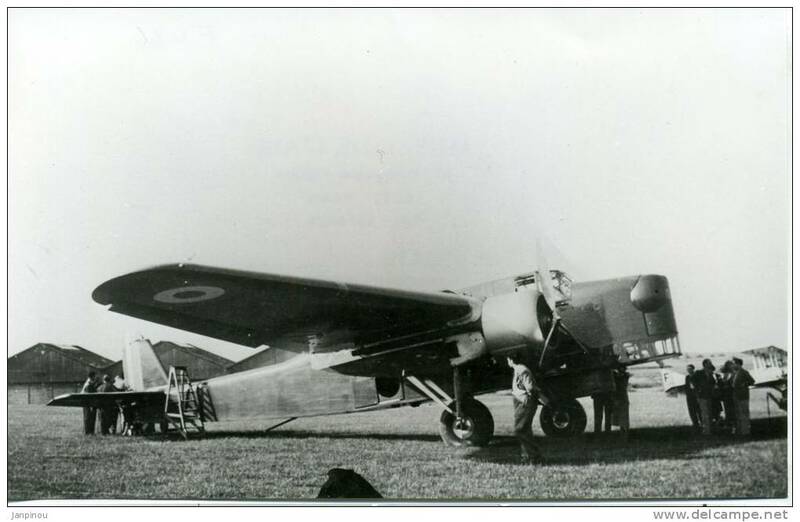 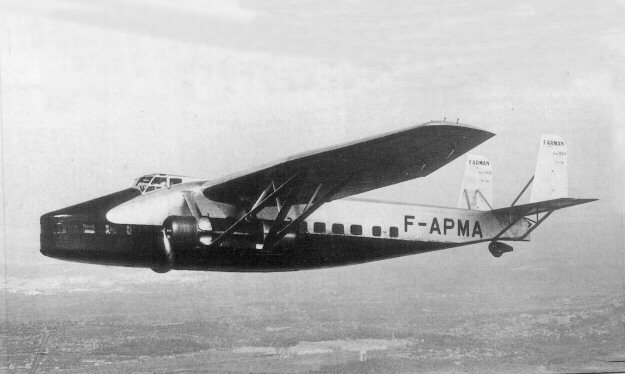 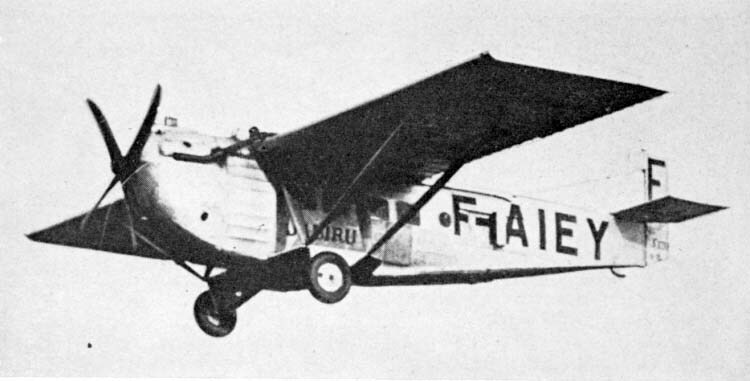 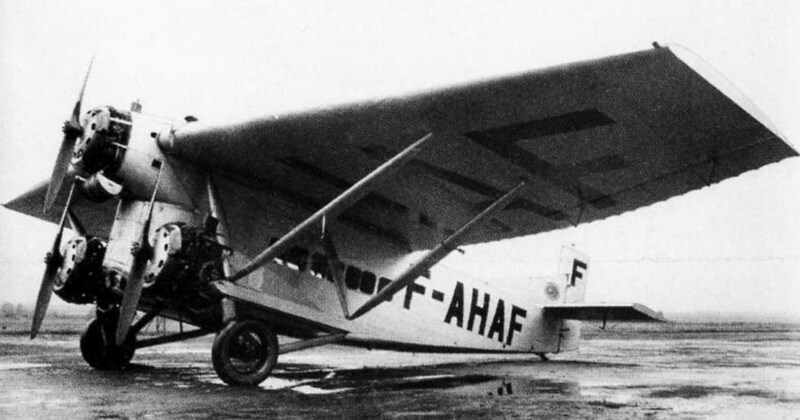 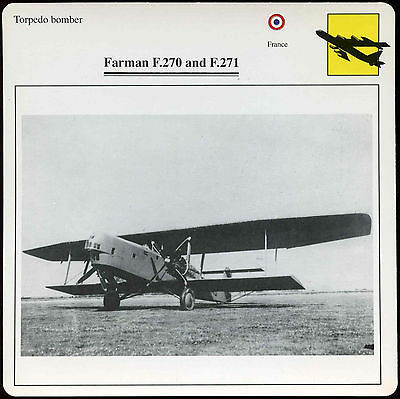 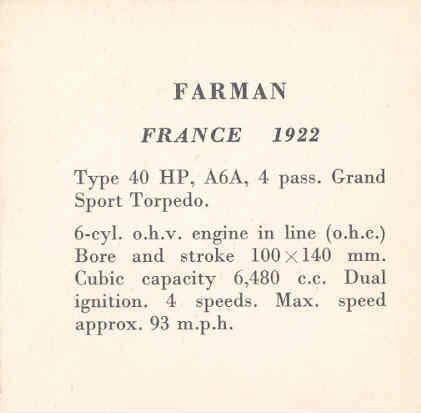 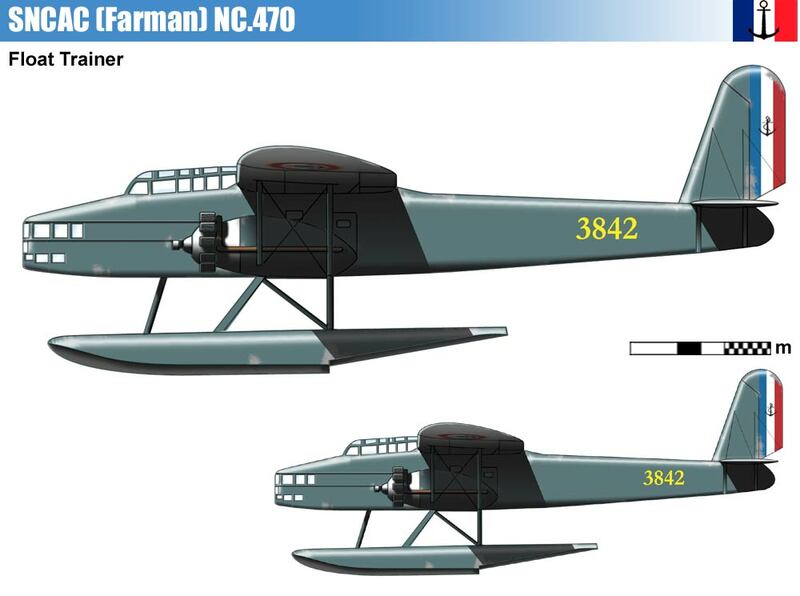 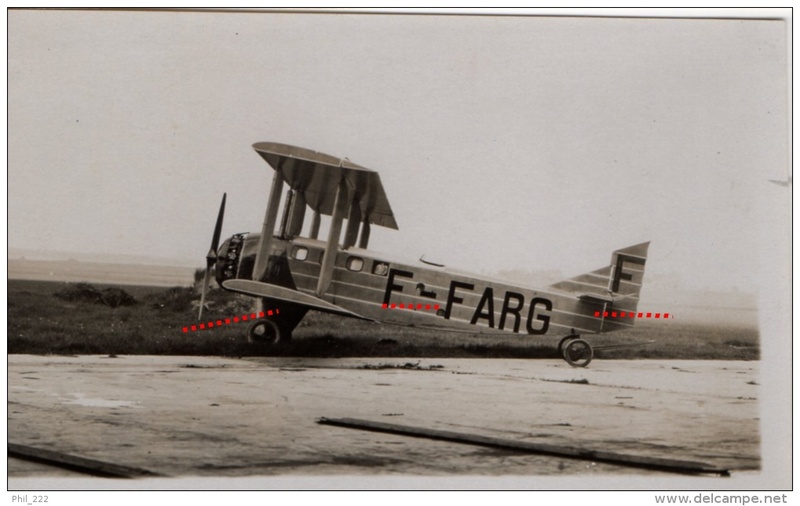 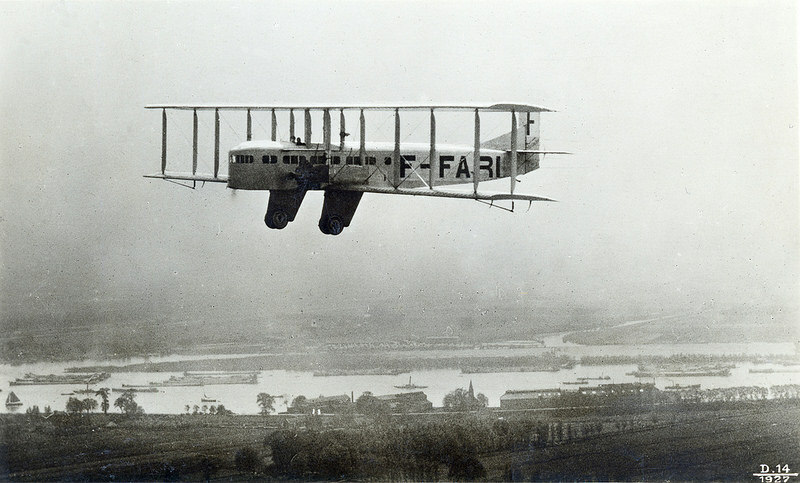 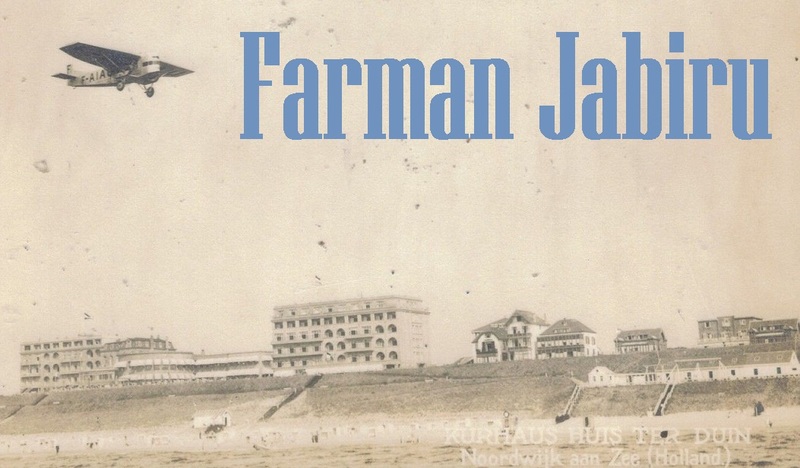 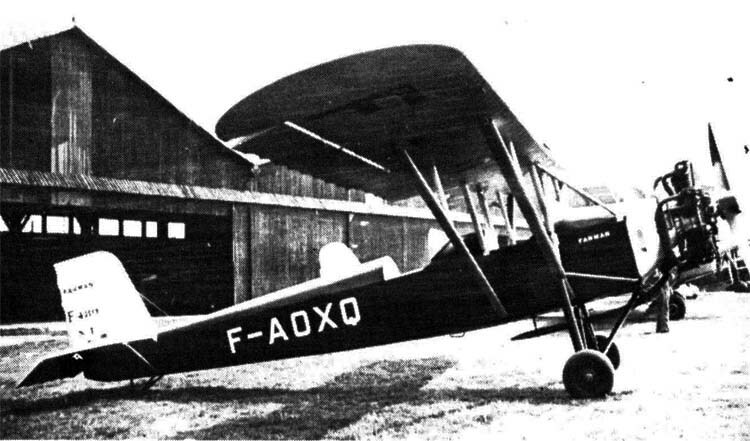 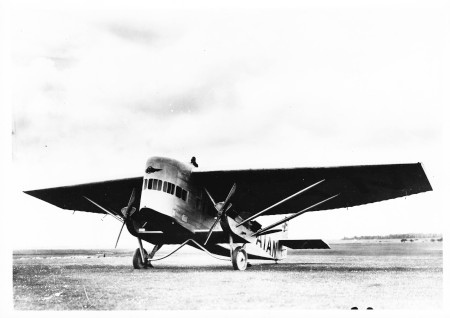 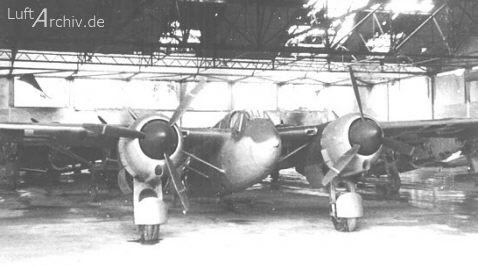 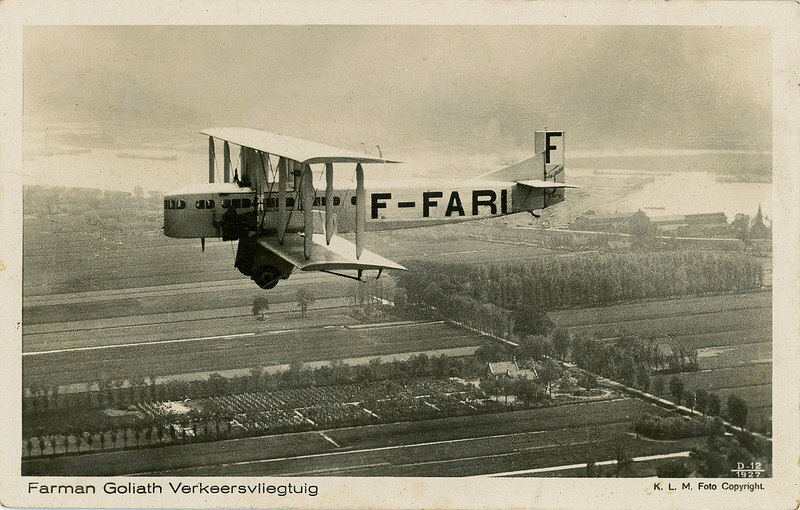 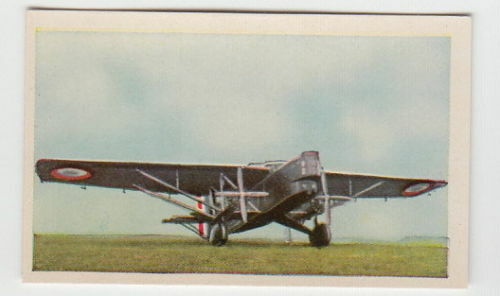 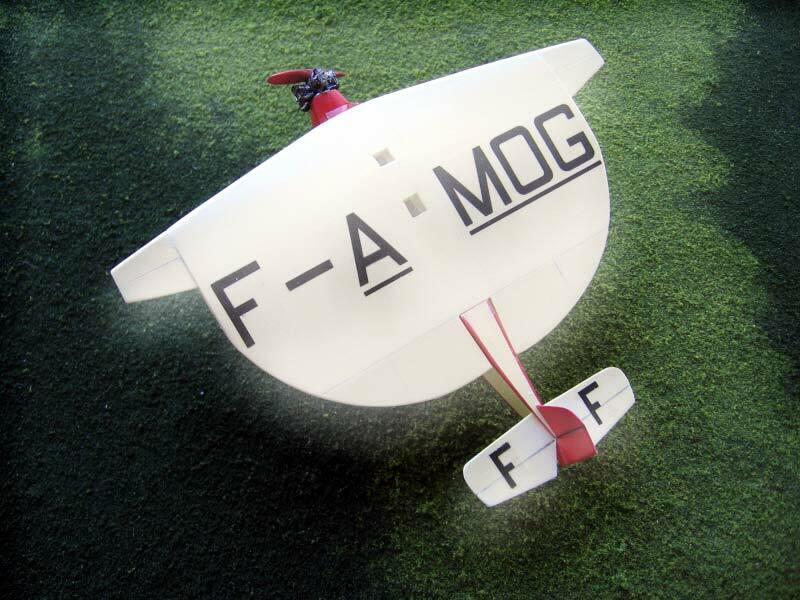 Far­man Avi­a­tion Works (French: Avions Farman) was a French air­craft com­pany founded and run by the broth­ers Richard, Henri, and Mau­rice Far­man. 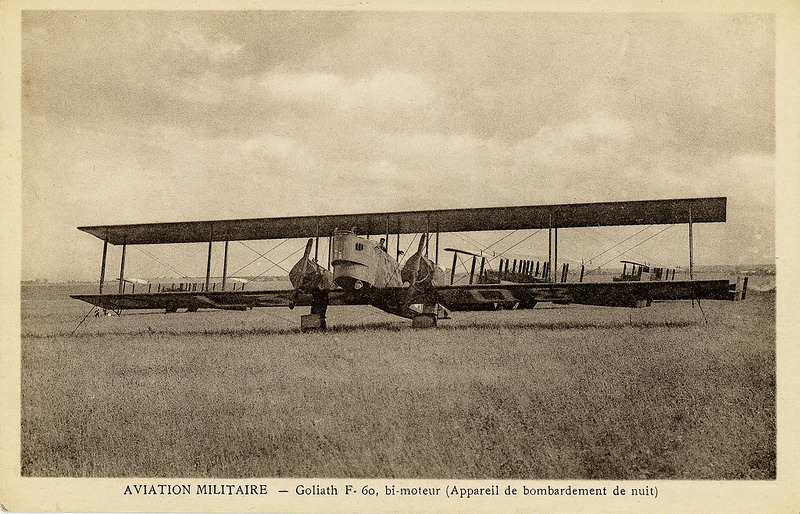 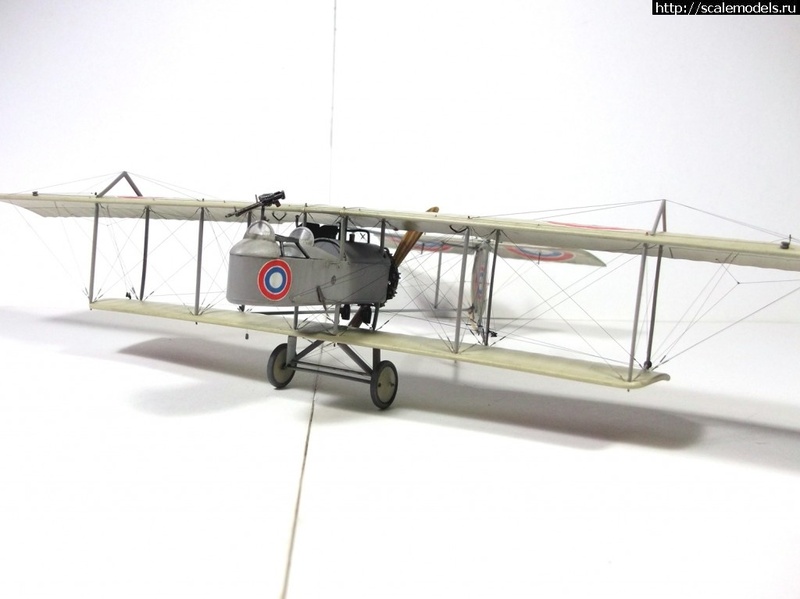 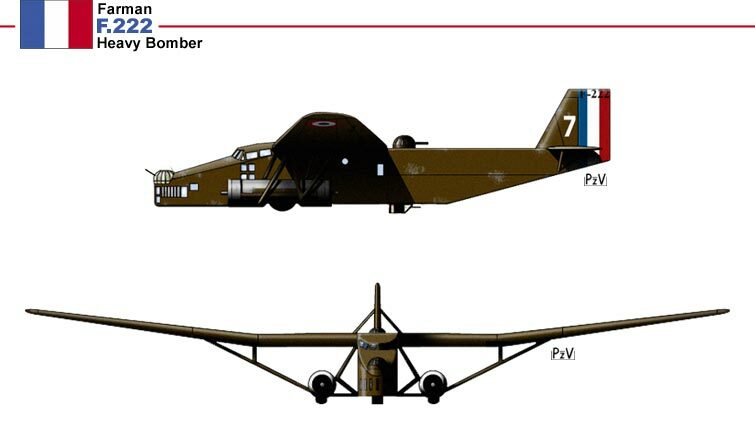 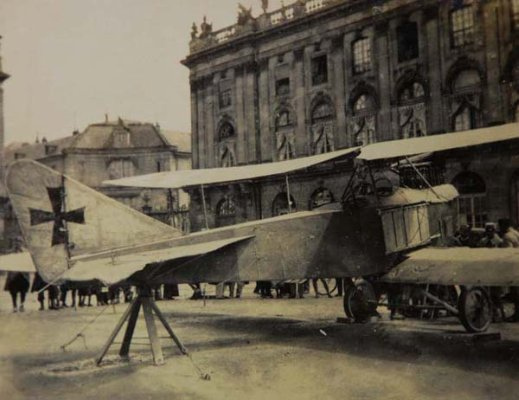 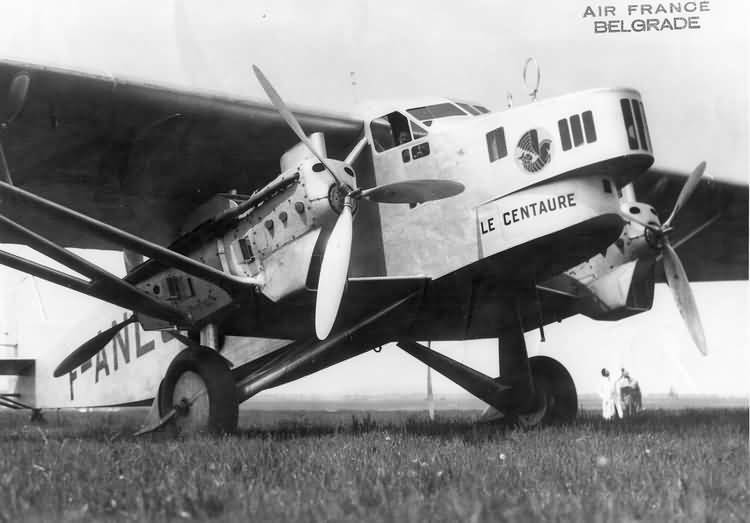 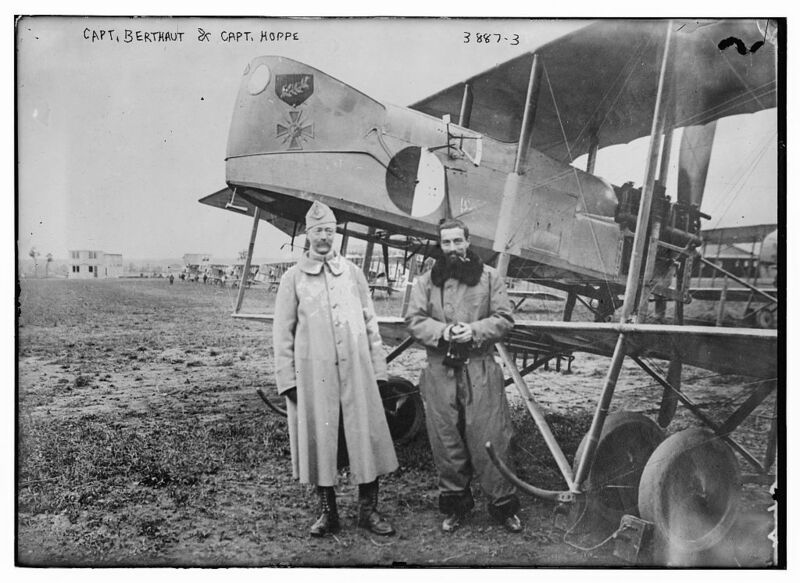 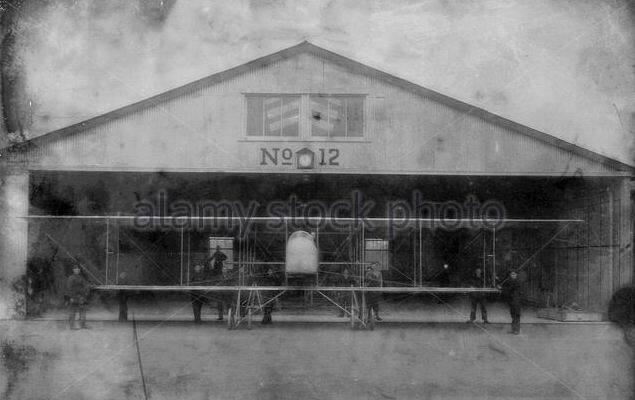 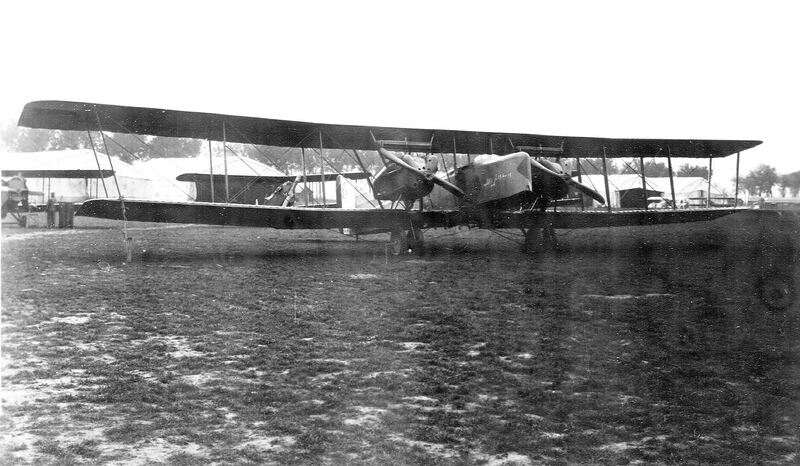 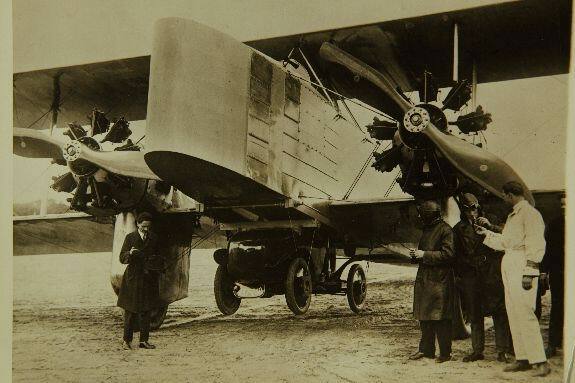 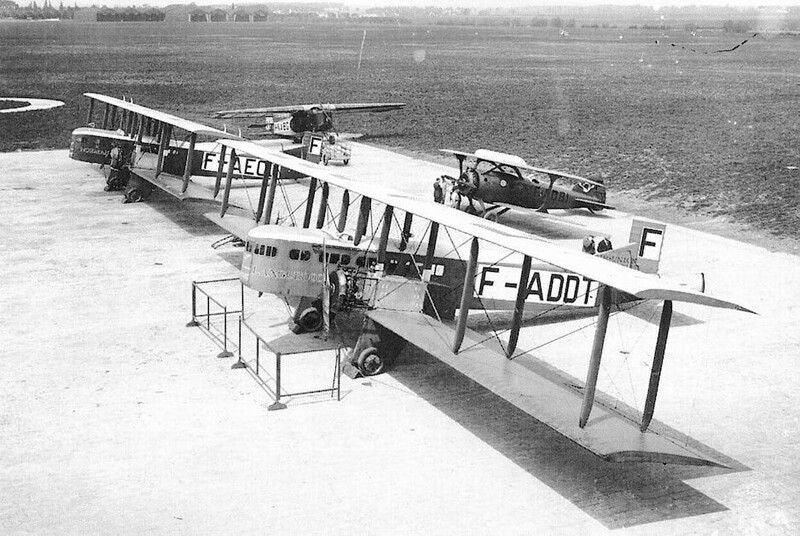 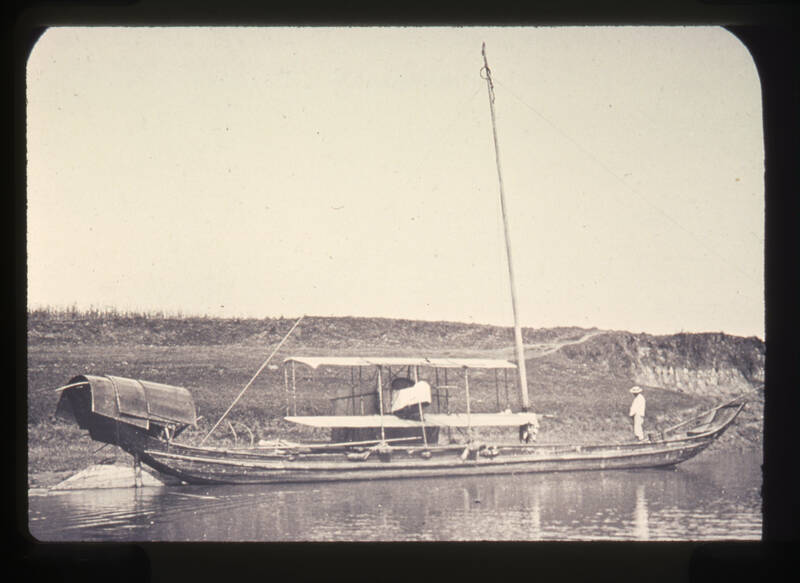 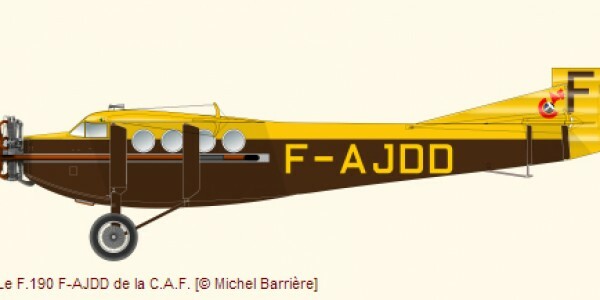 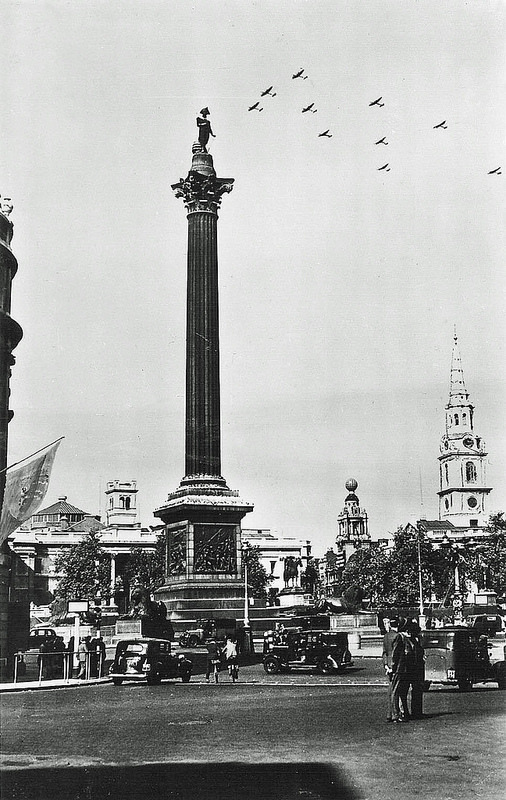 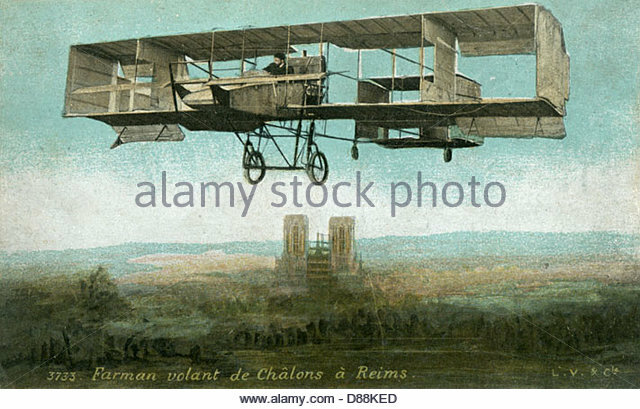 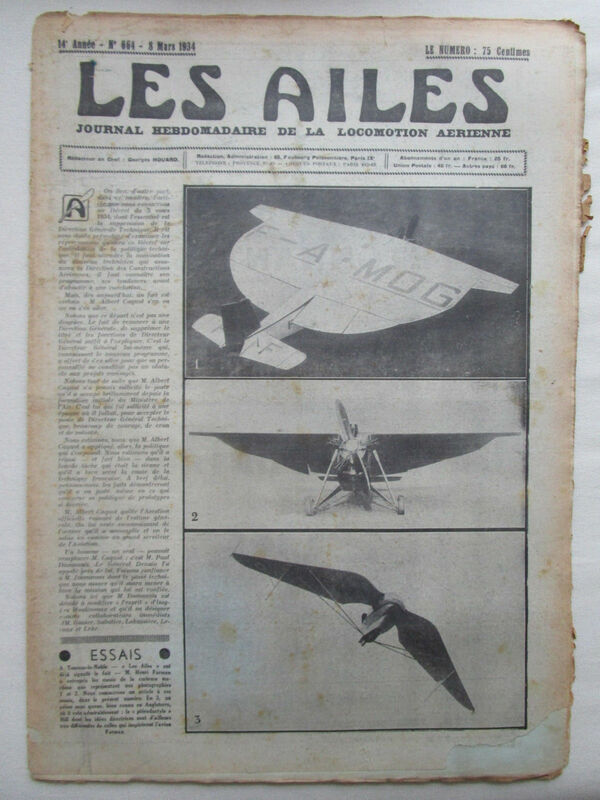 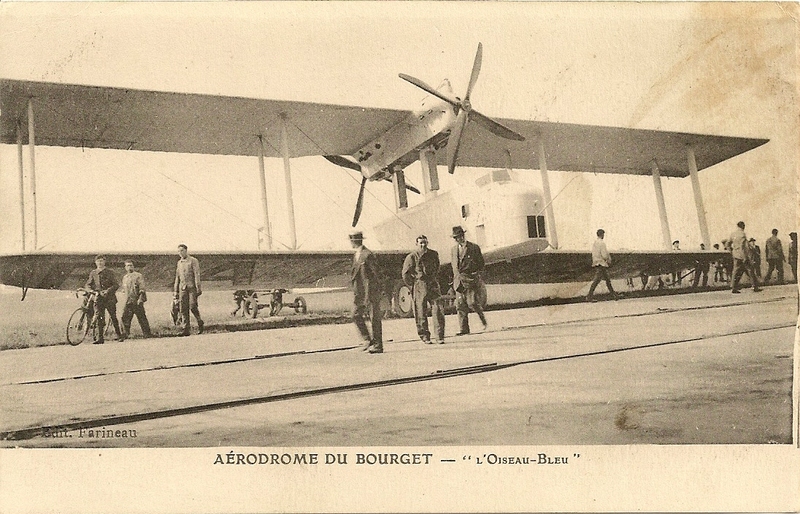 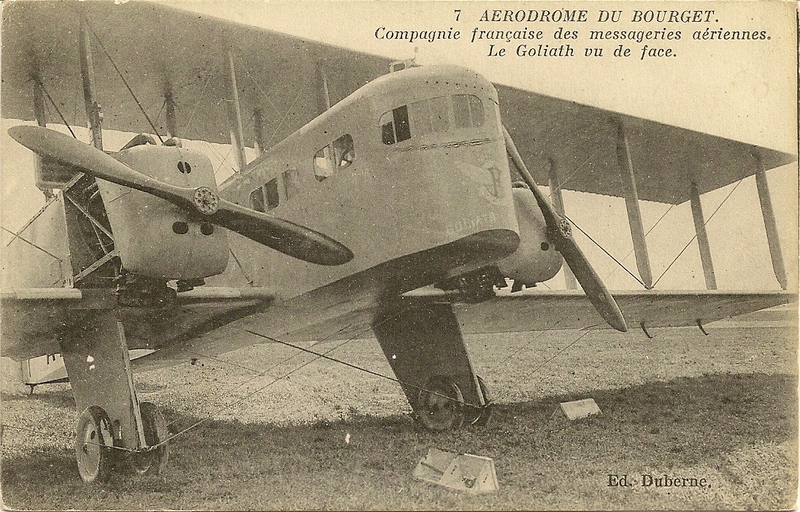 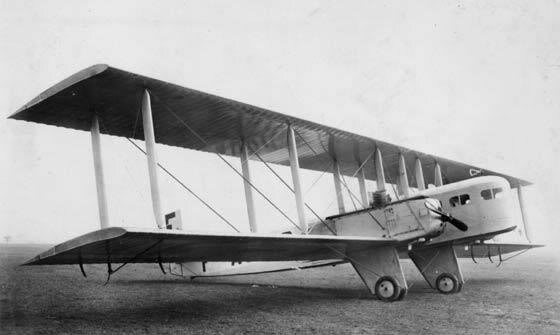 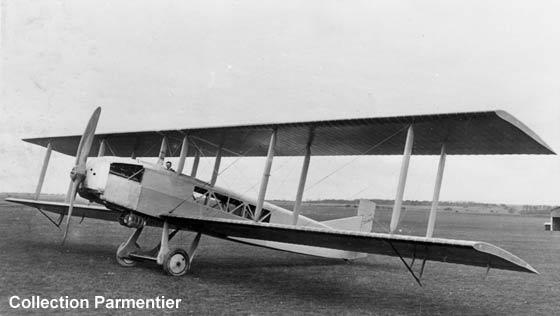 They de­signed and con­structed air­craft and en­gines from 1908 until 1936; dur­ing the French na­tion­al­iza­tion and ra­tio­nal­iza­tion of its aero­nau­ti­cal in­dus­try, Far­man’s as­sets were as­signed to the Société Na­tionale de Con­struc­tions Aéro­nau­tiques du Cen­tre (SNCAC). 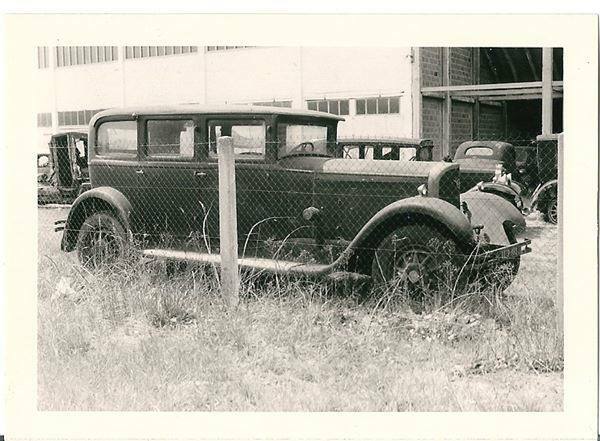 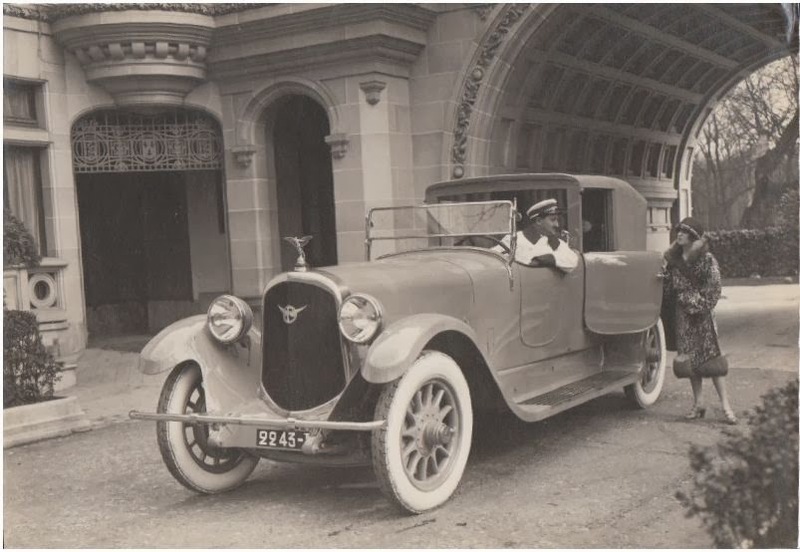 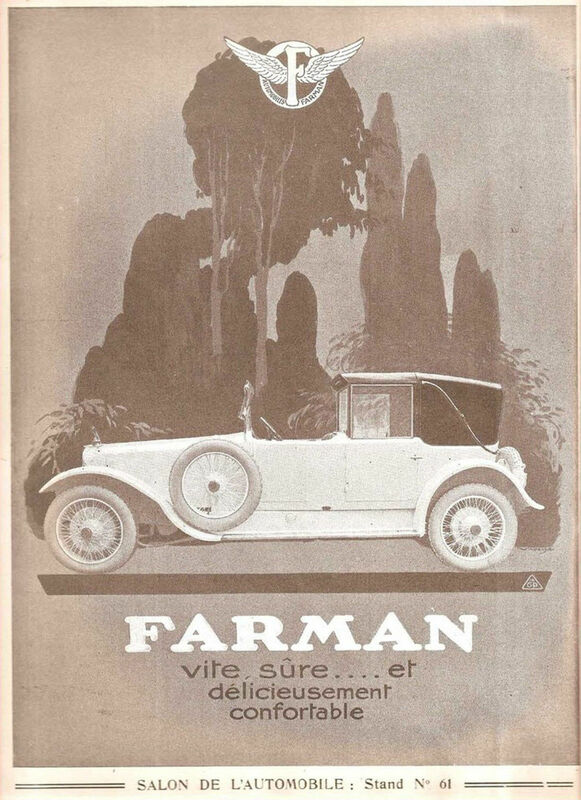 In 1941 the Far­man broth­ers reestab­lished the firm as the “Société Anonyme des Usines Farman” (SAUF), but only three years later it was ab­sorbed by Sud-Ouest. 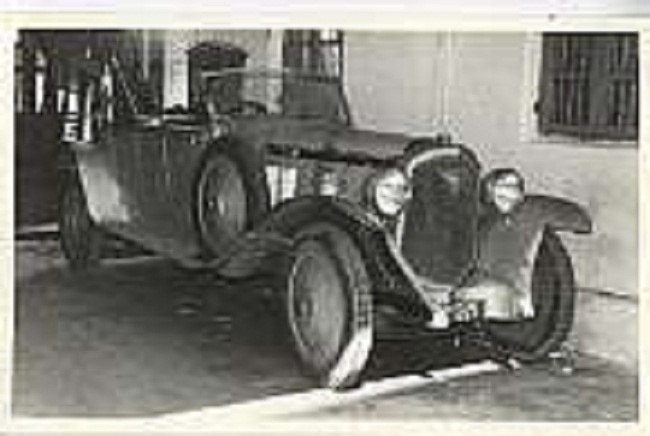 Mau­rice’s son, Mar­cel Far­man, reestab­lished the SAUF in 1952, but his ef­fort proved un­suc­cess­ful and the firm was dis­solved in 1956. 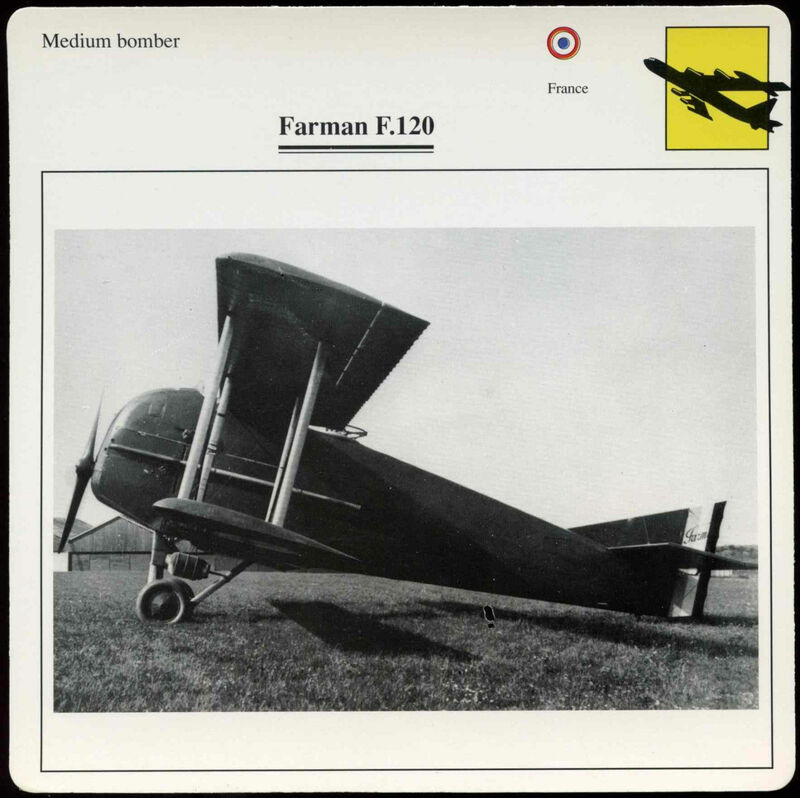 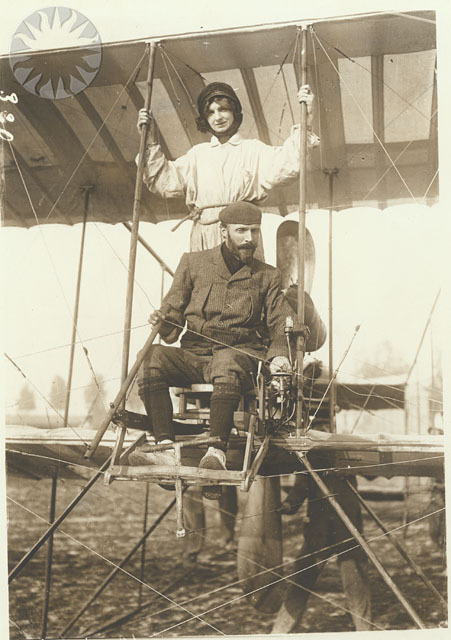 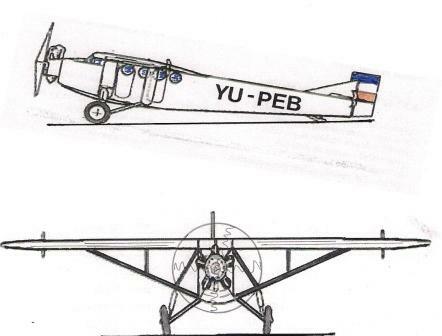 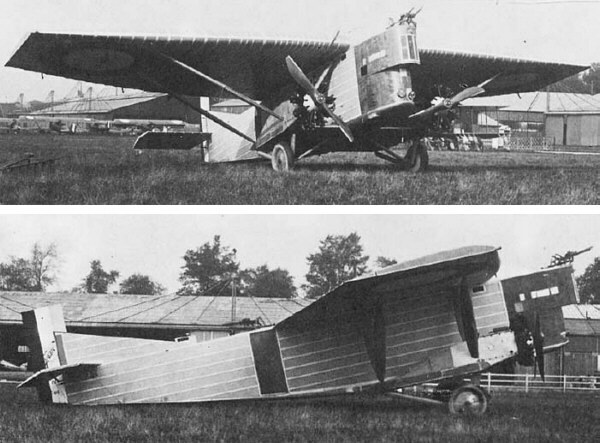 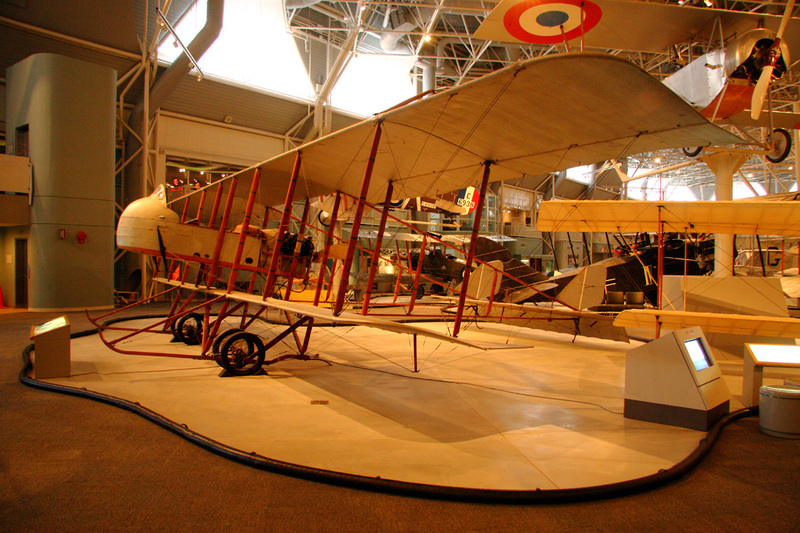 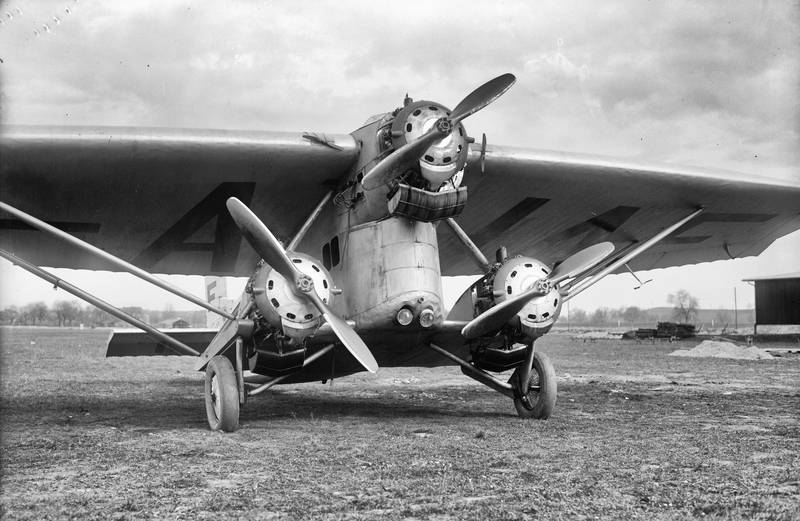 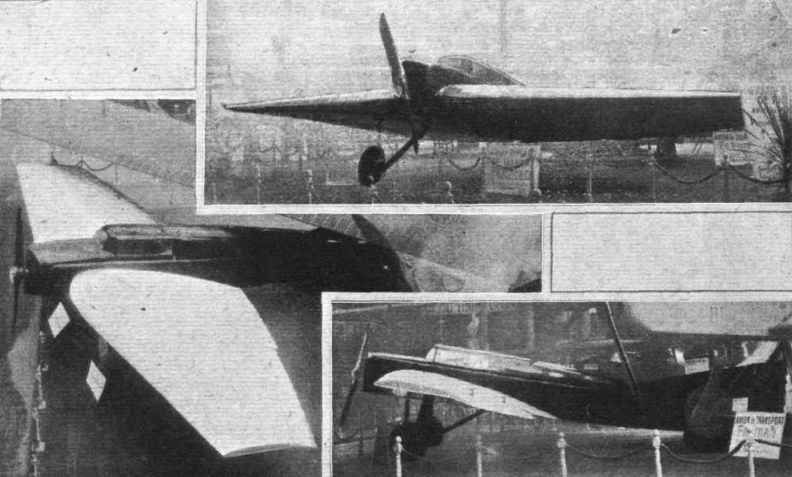 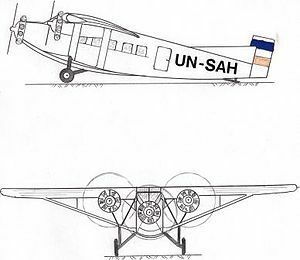 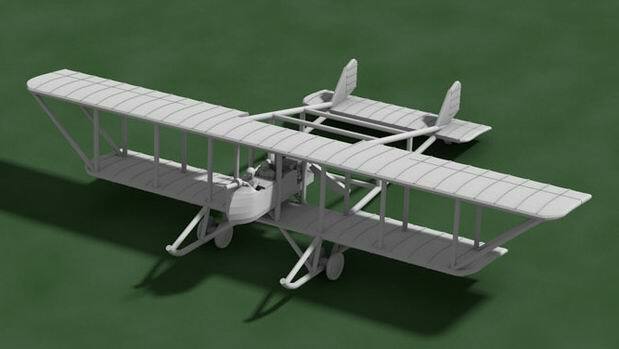 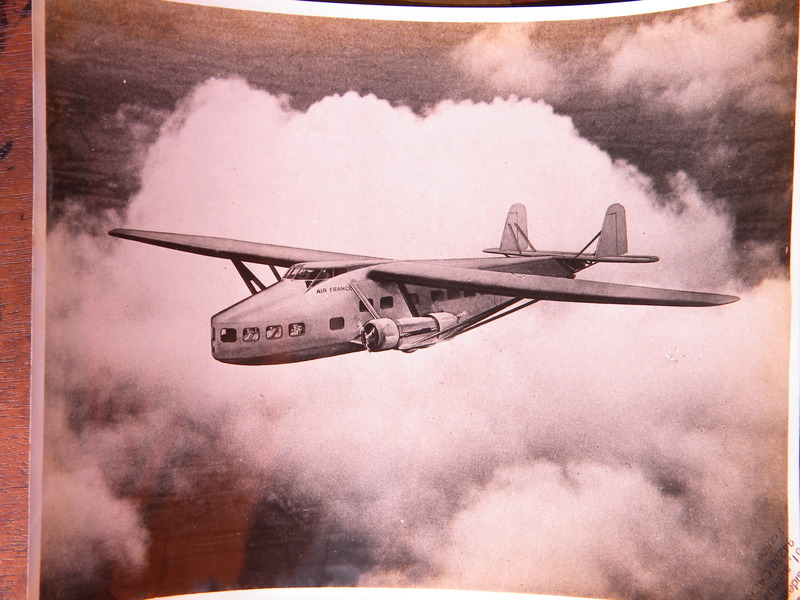 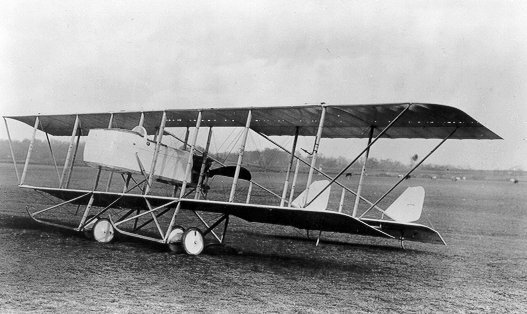 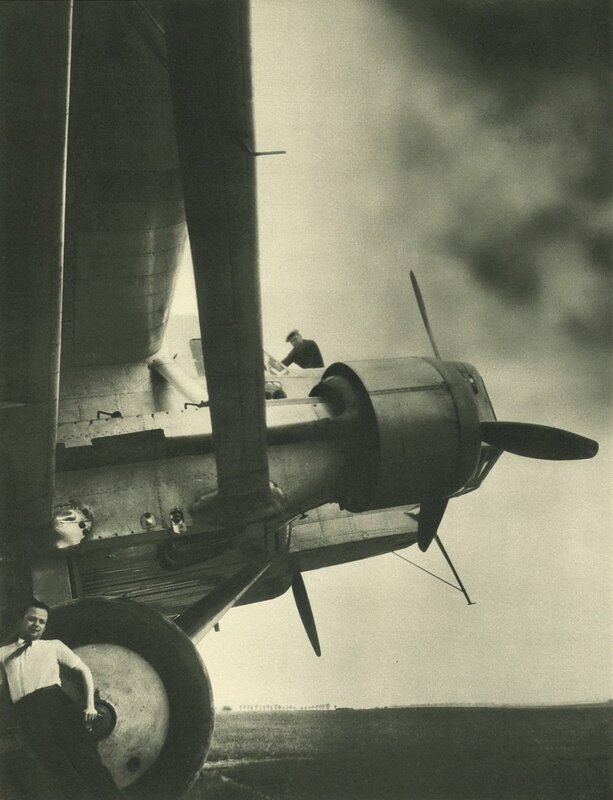 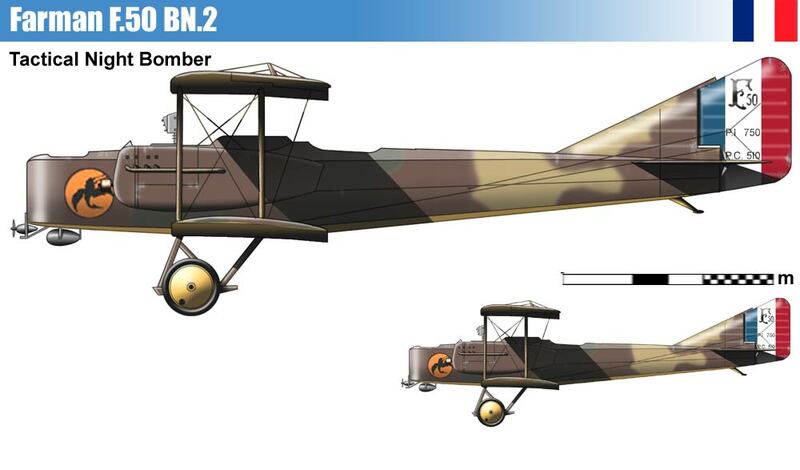 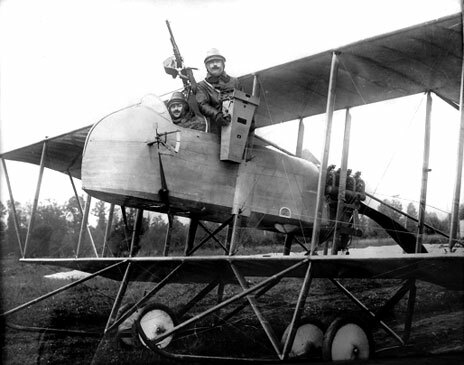 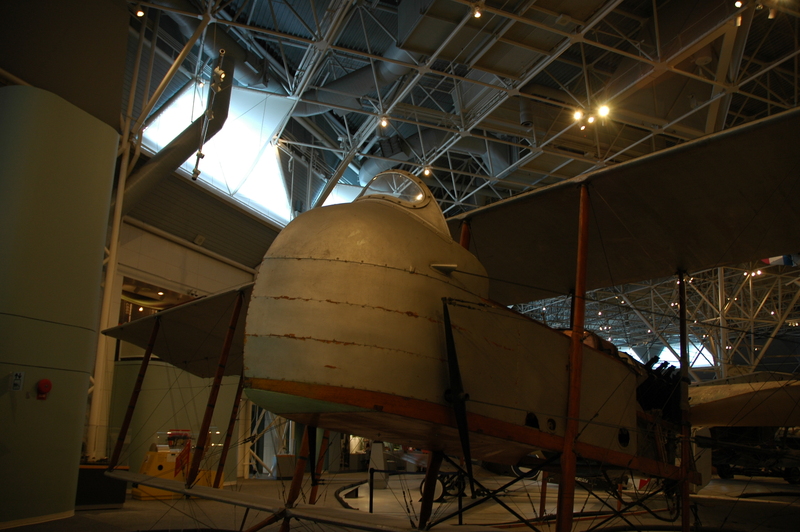 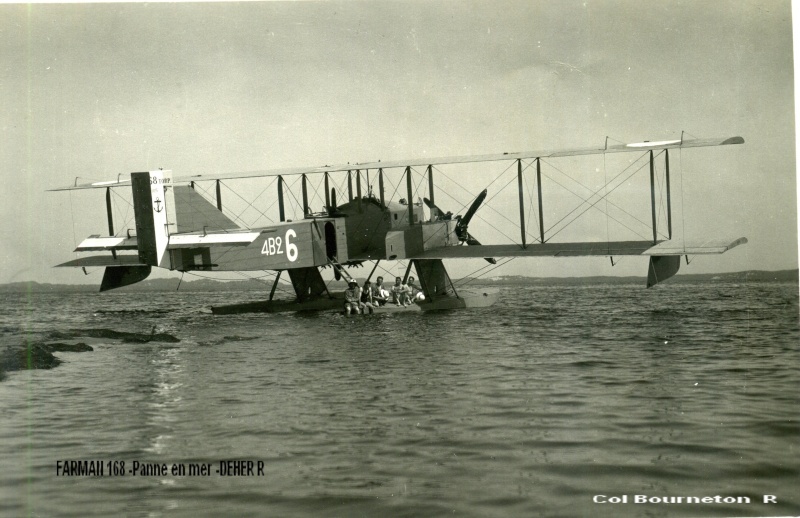 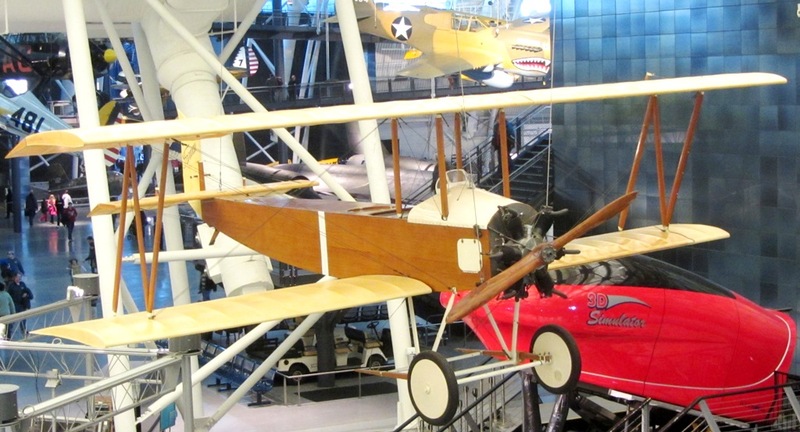 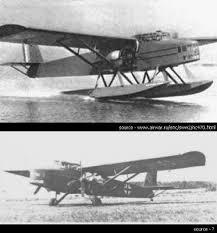 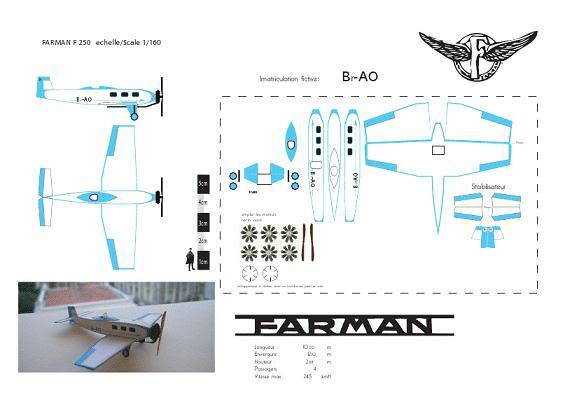 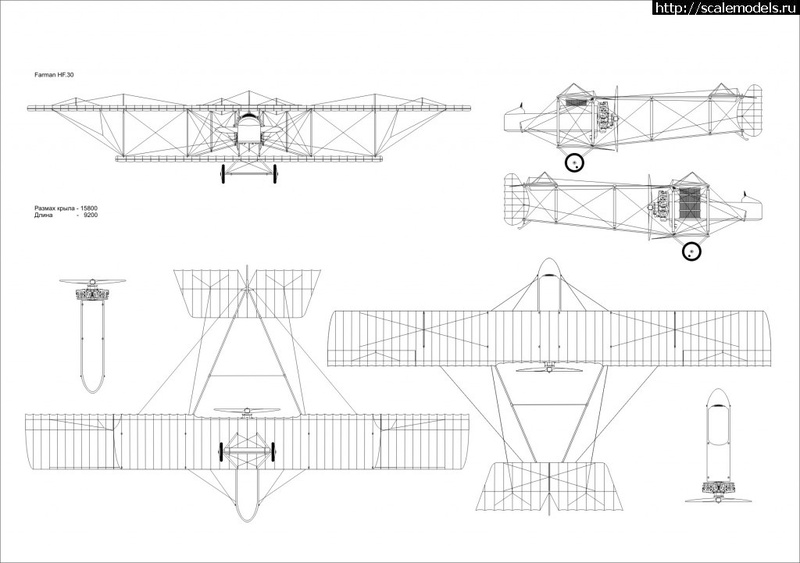 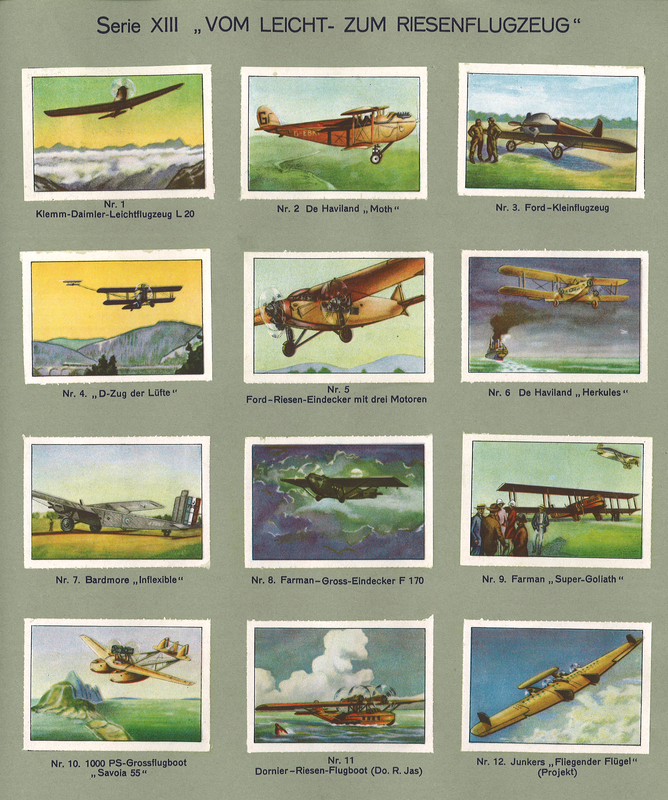 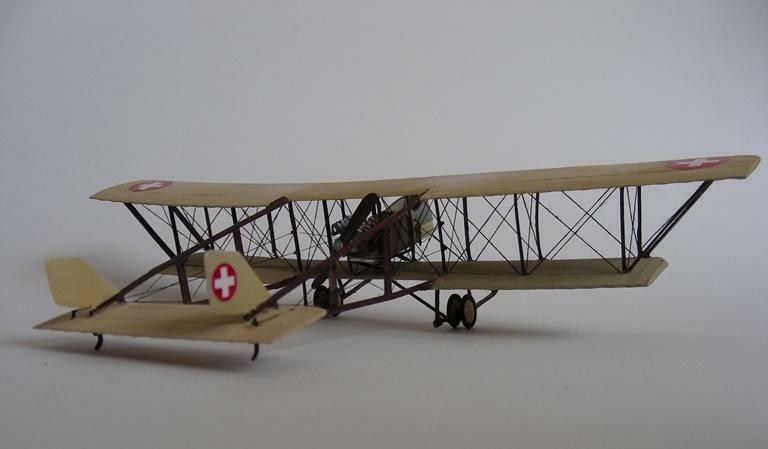 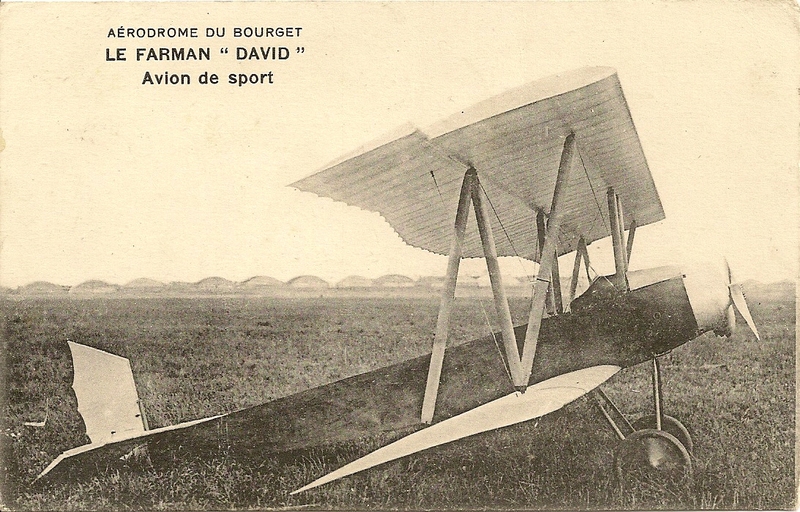 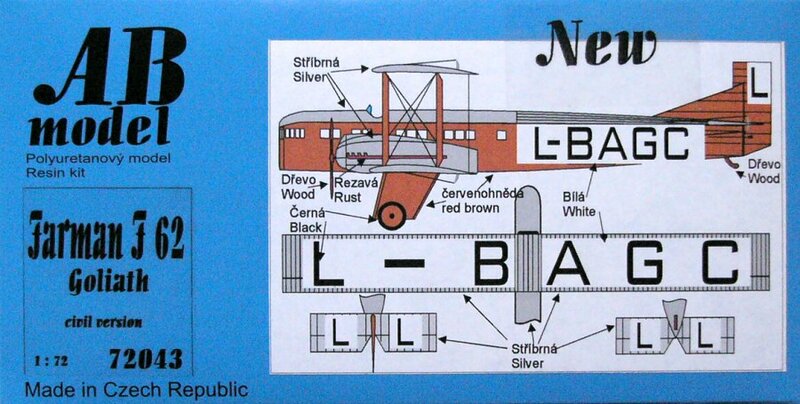 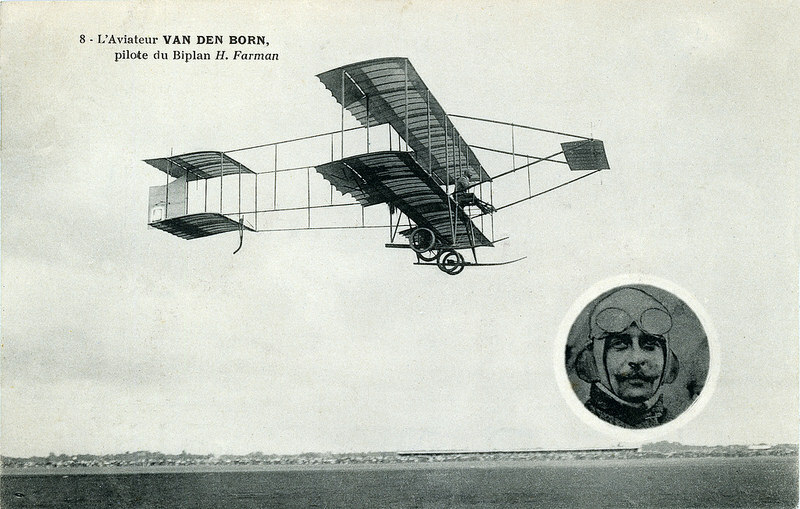 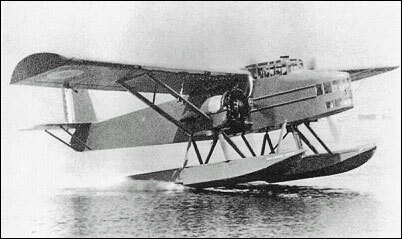 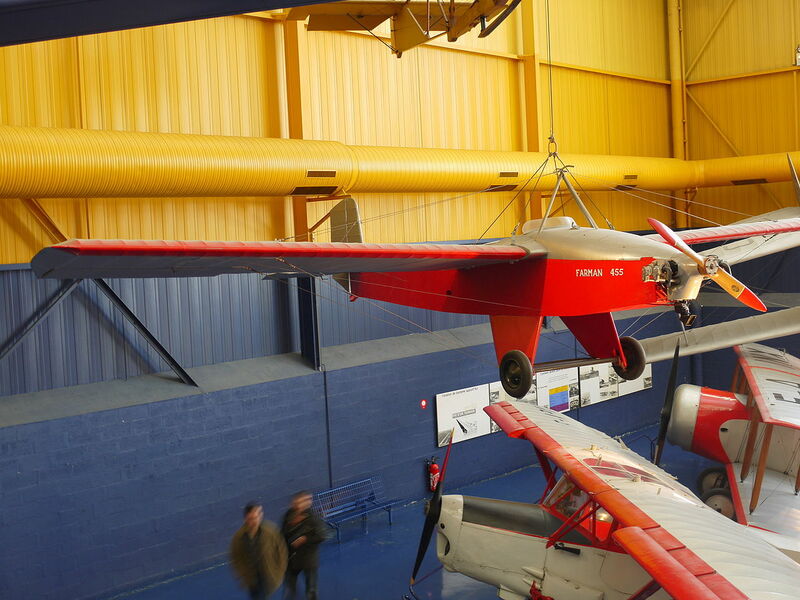 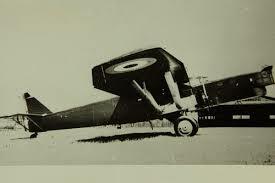 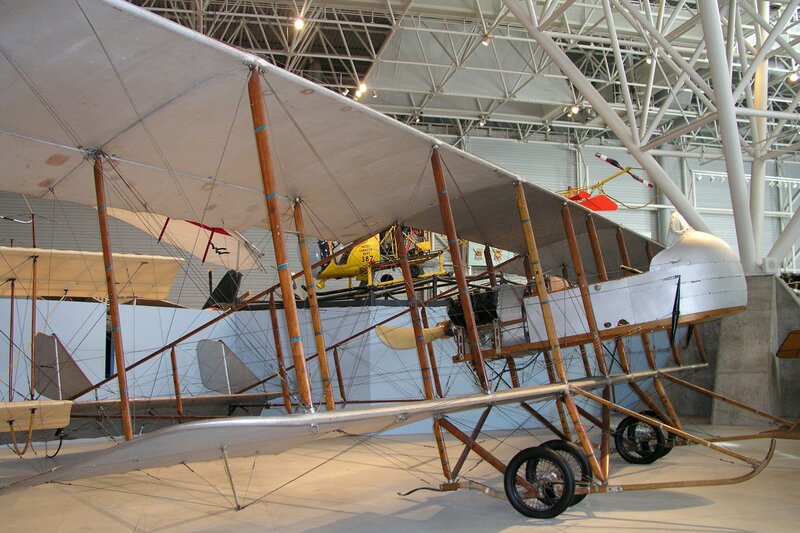 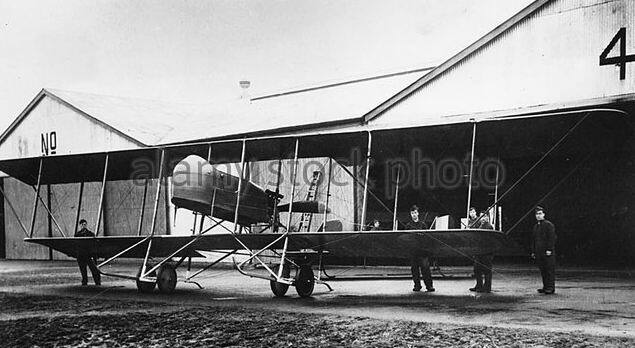 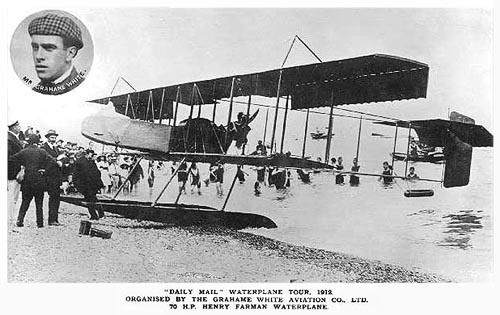 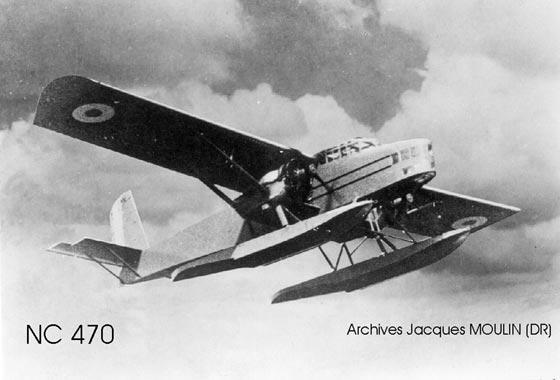 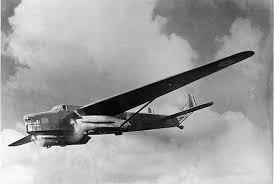 The Far­man broth­ers de­signed and built more than 200 types of air­craft be­tween 1908 and 1941. 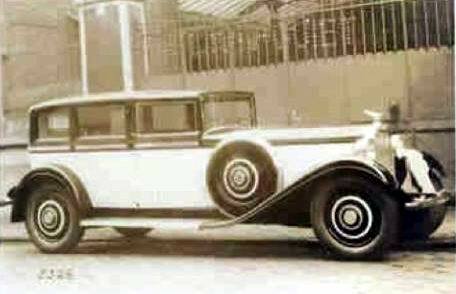 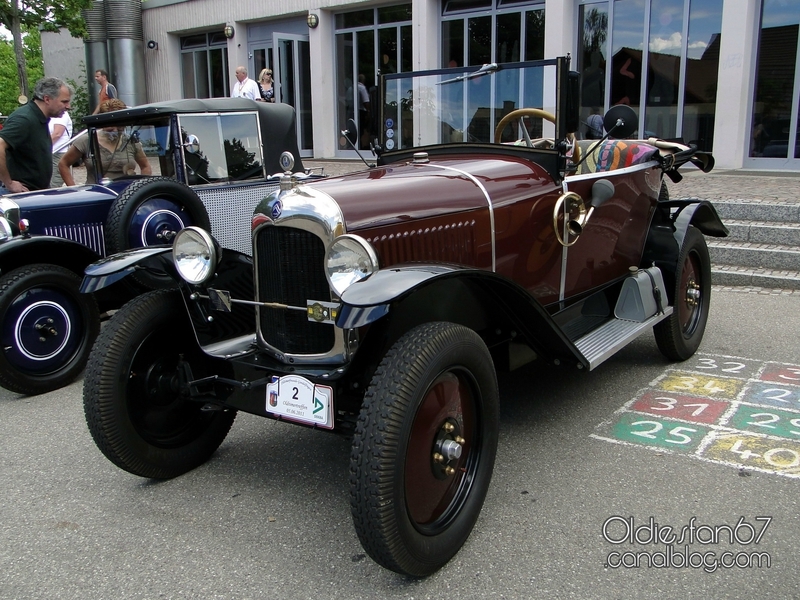 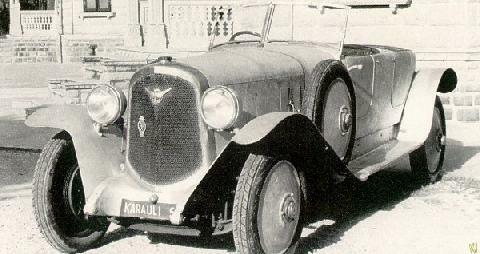 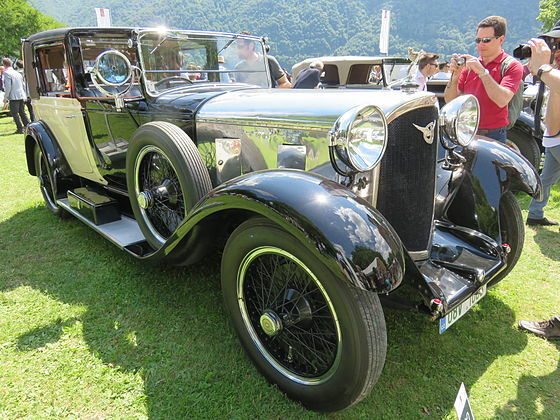 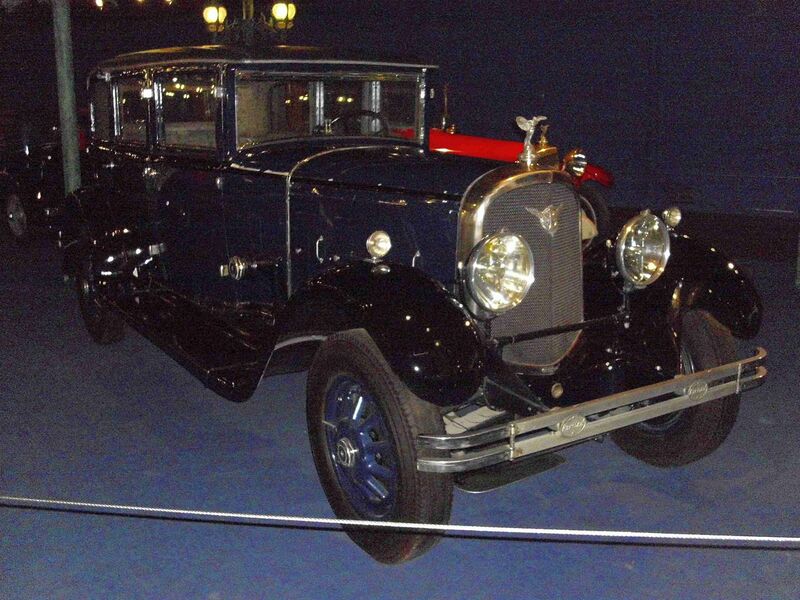 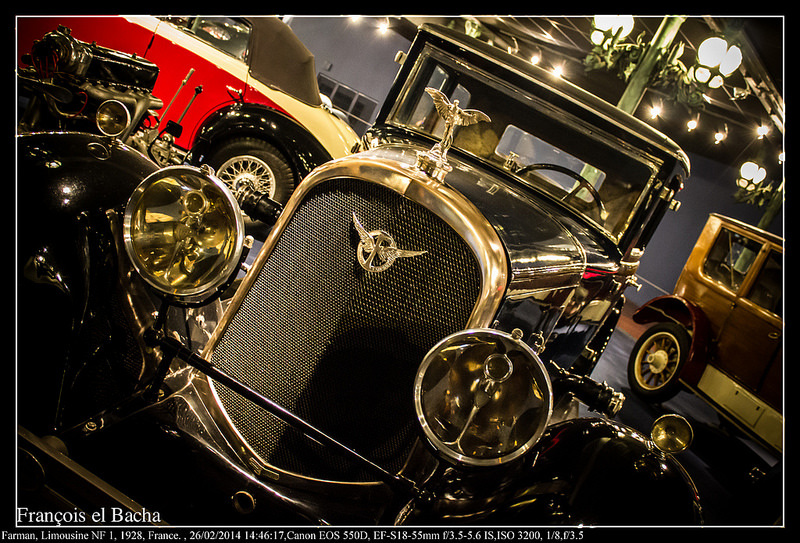 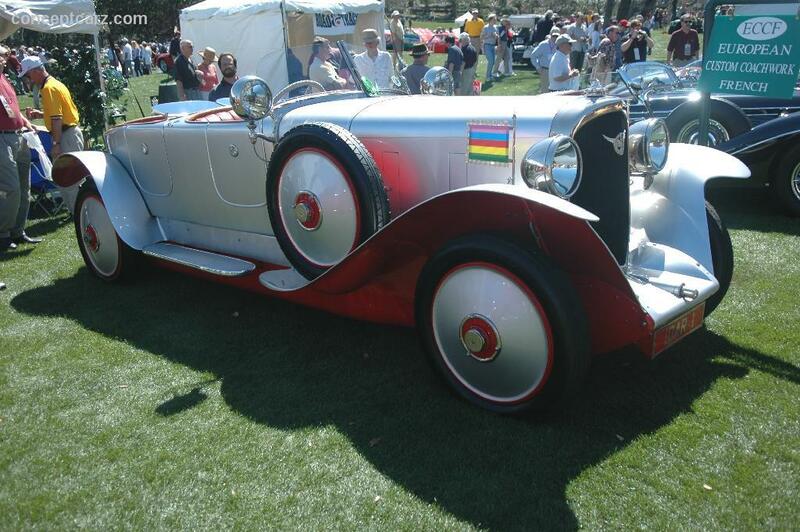 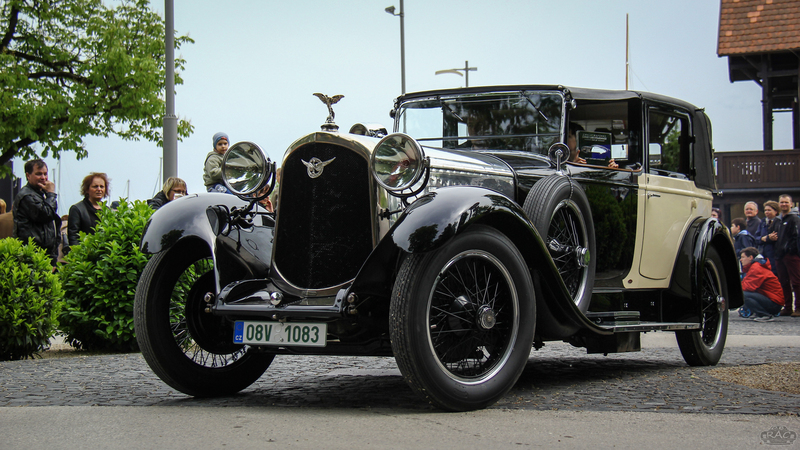 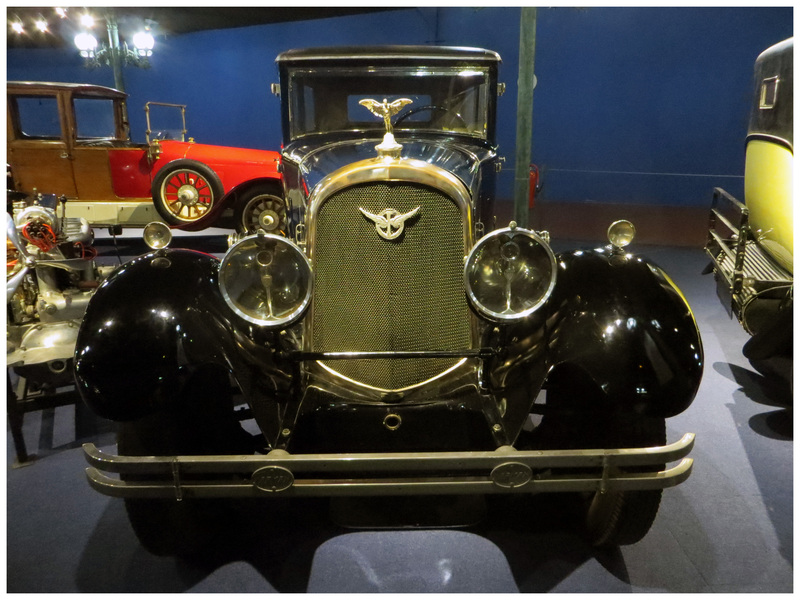 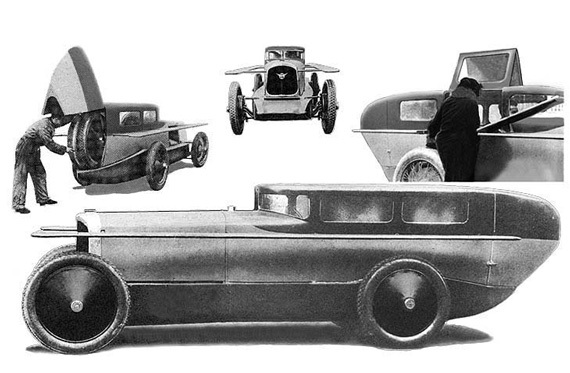 They also built cars until 1931. 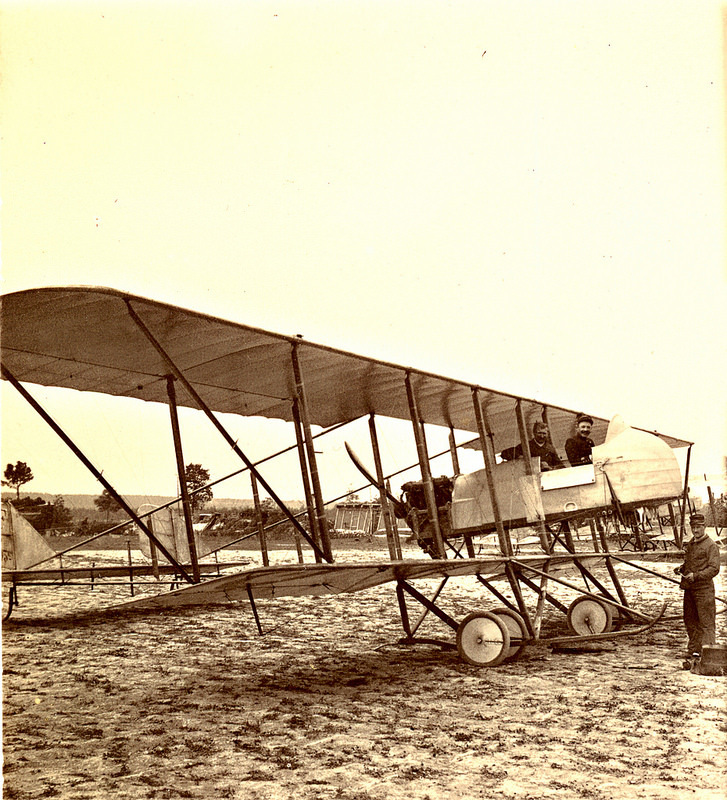 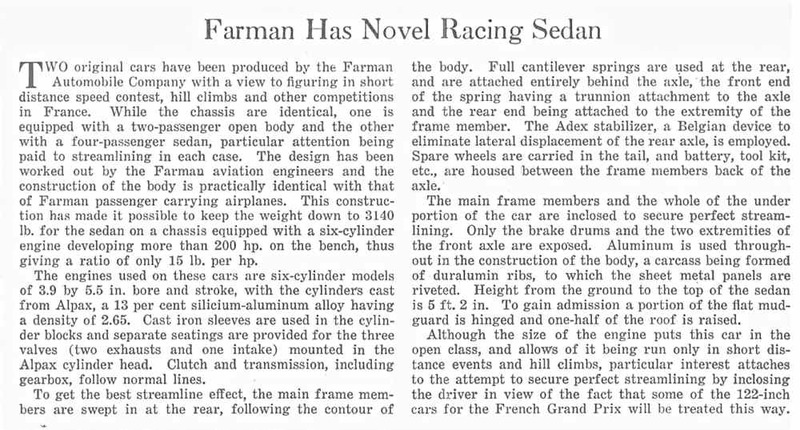 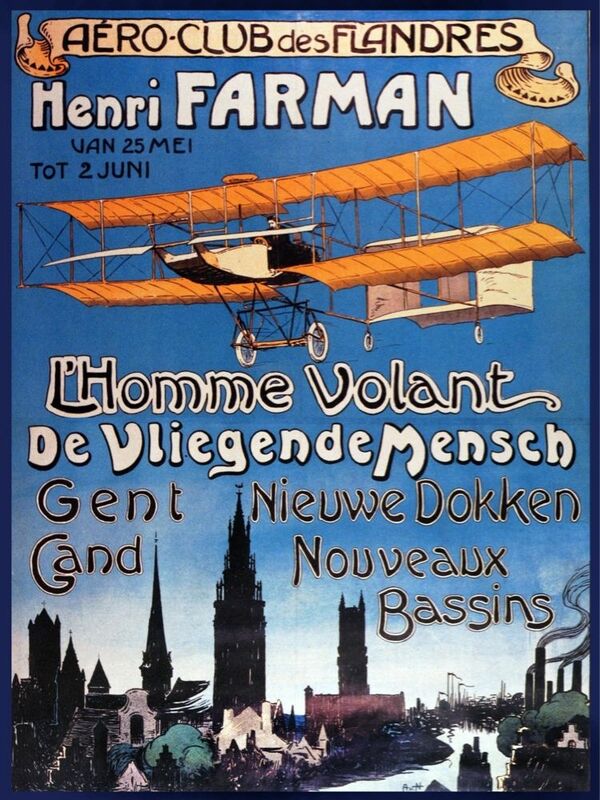 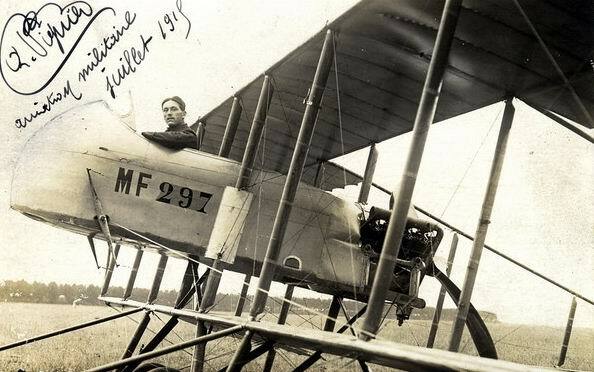 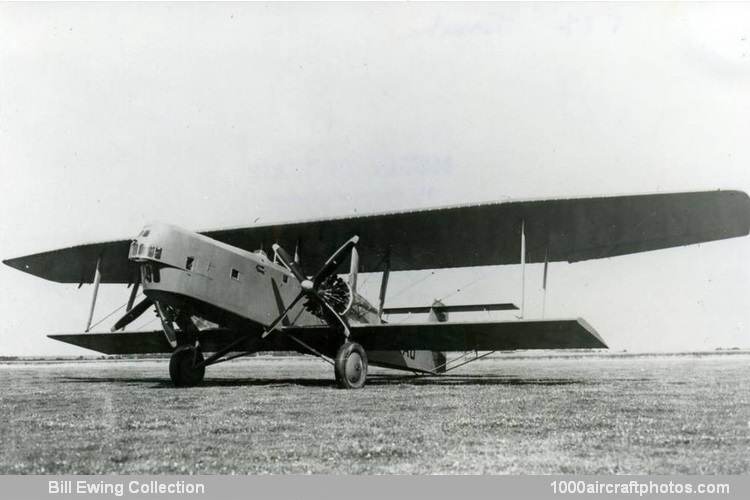 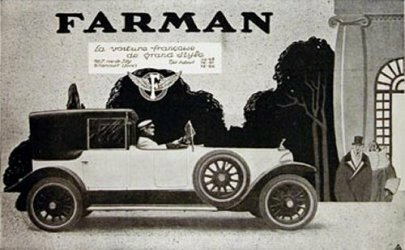 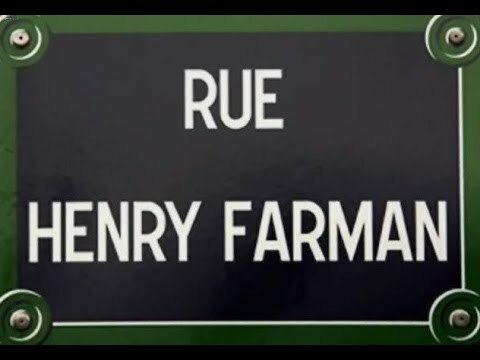 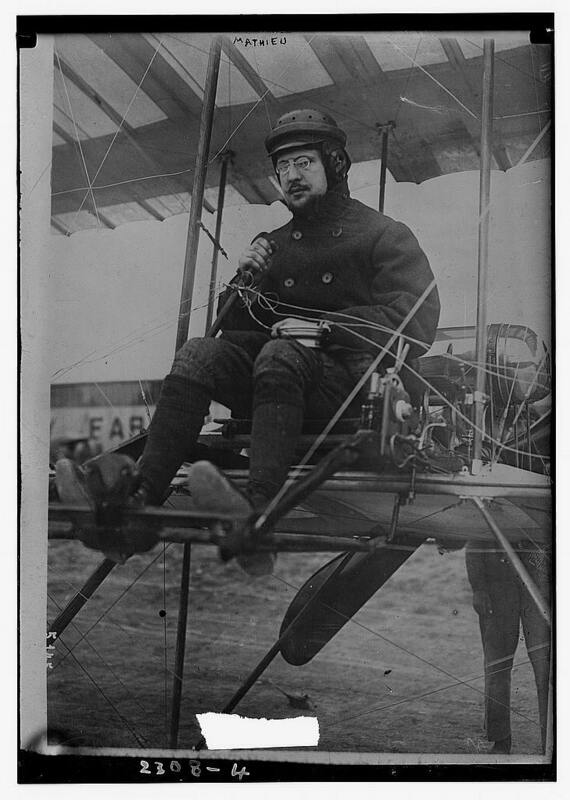 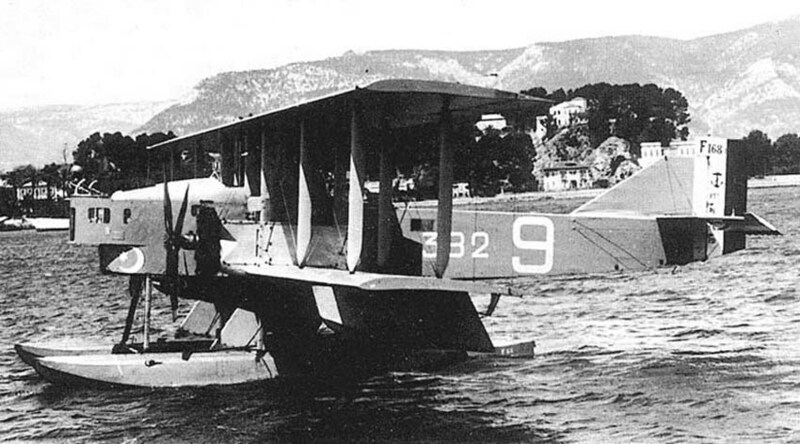 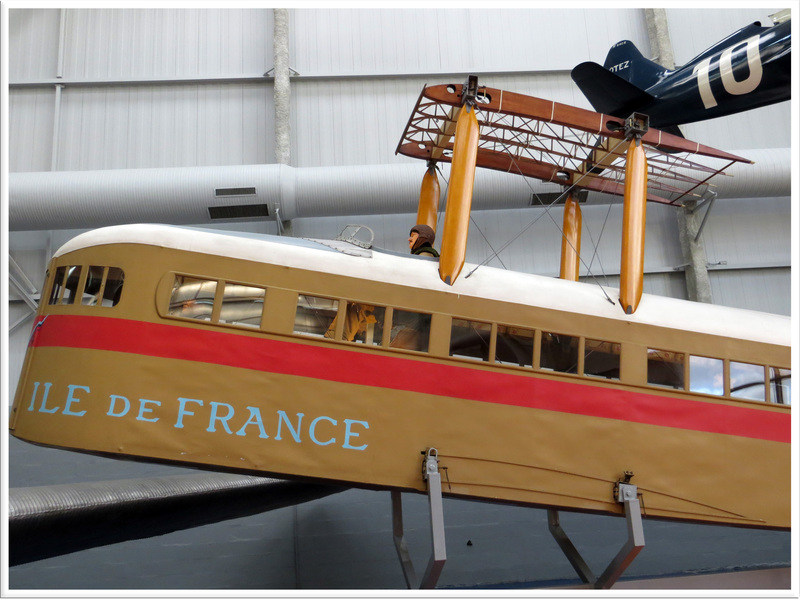 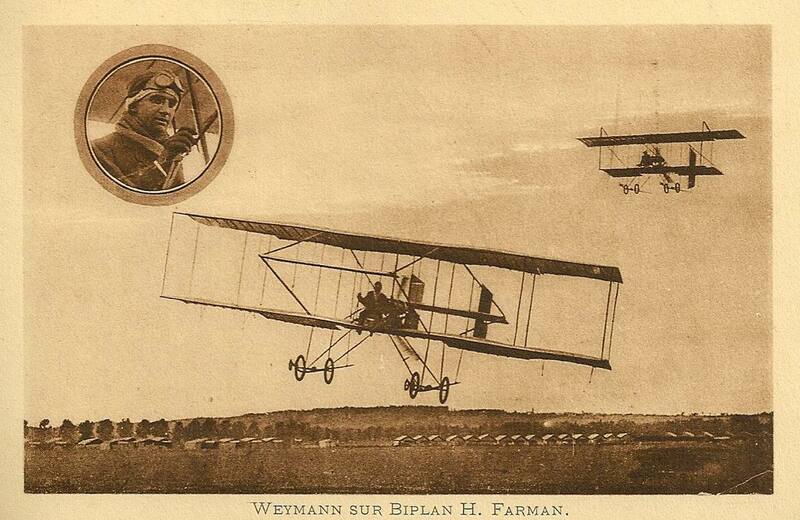 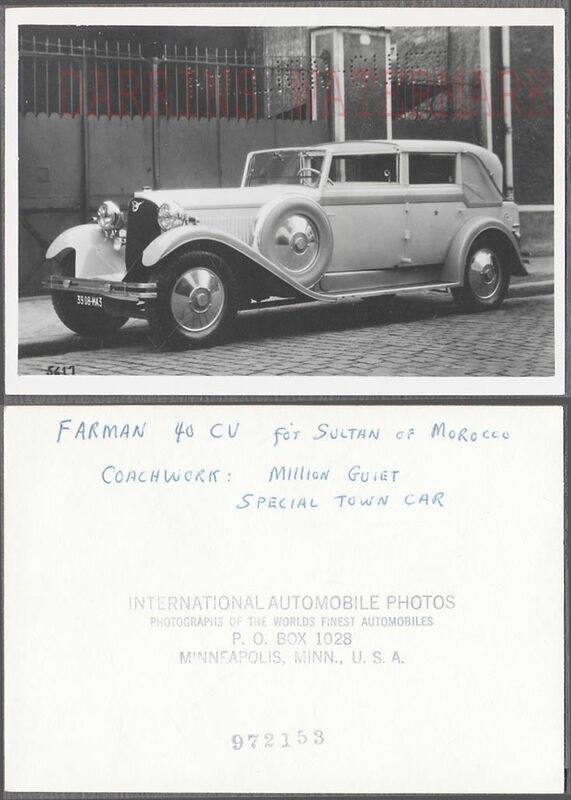 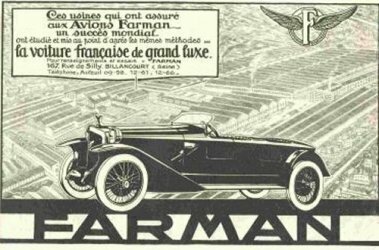 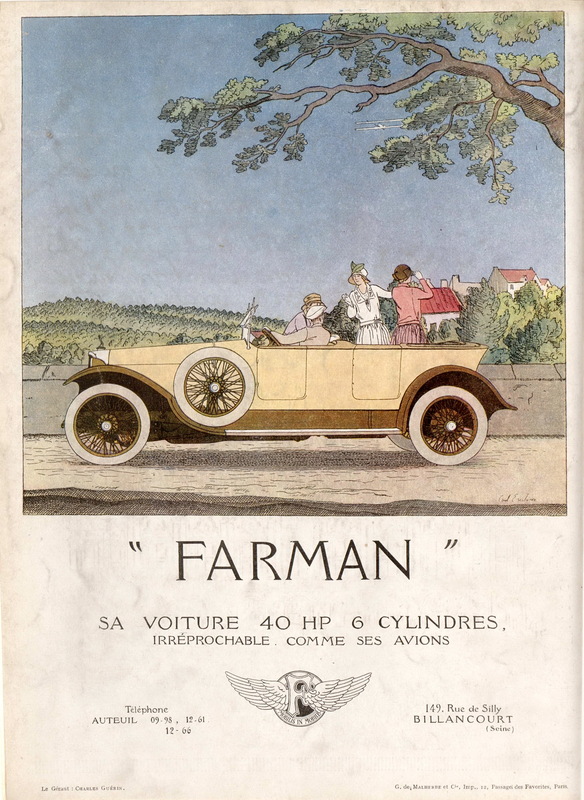 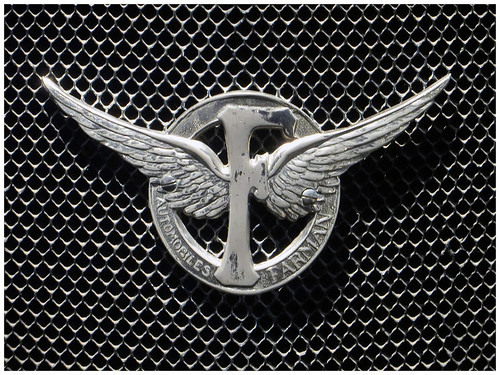 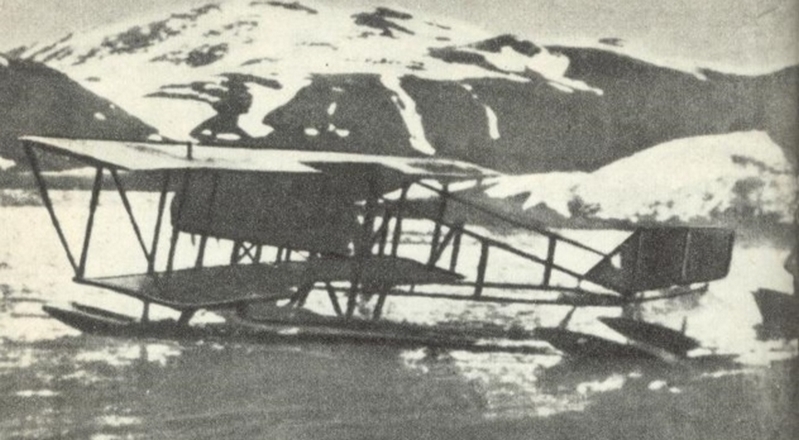 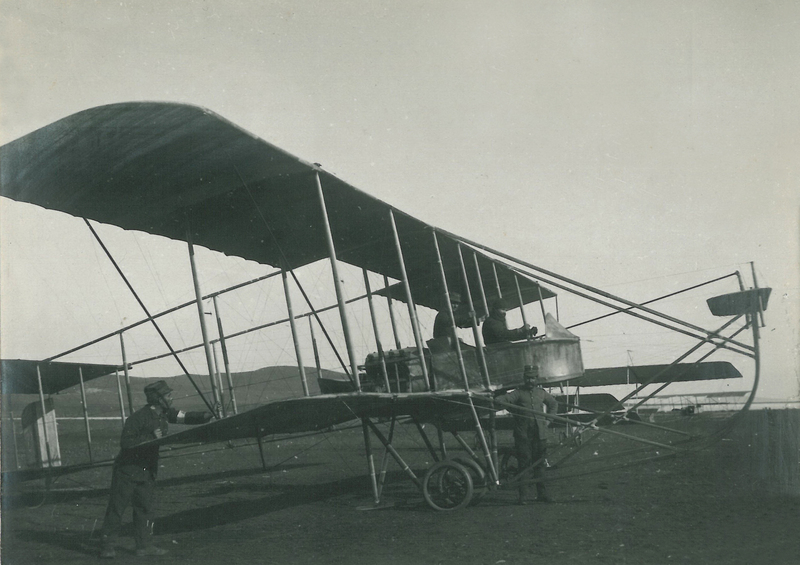 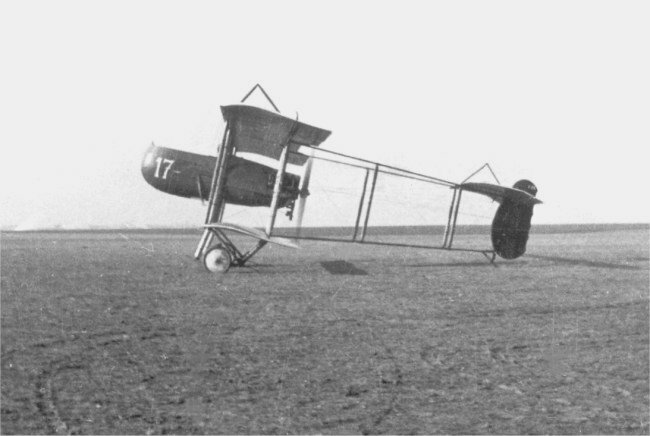 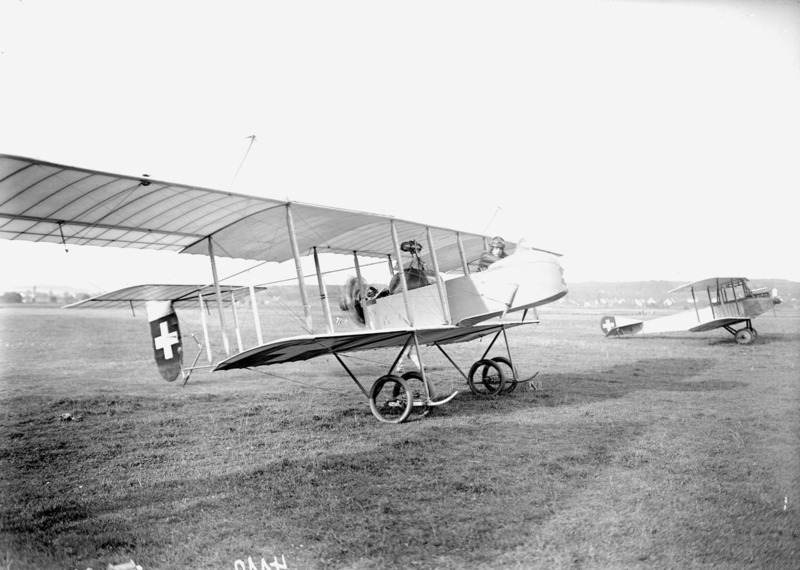 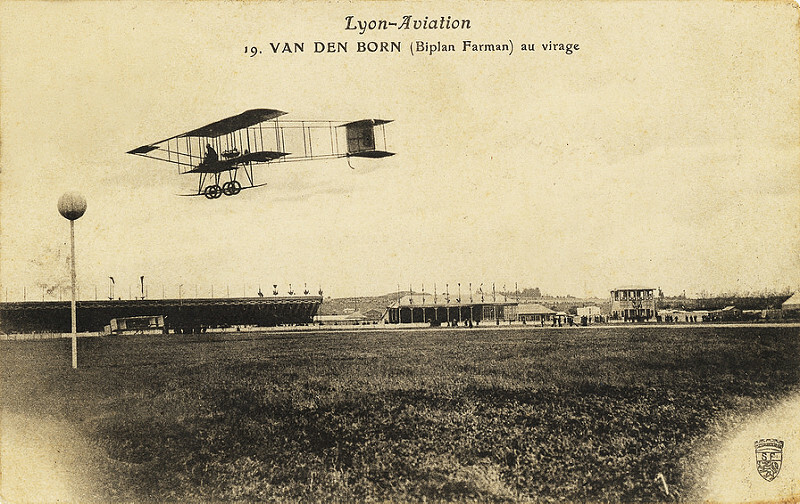 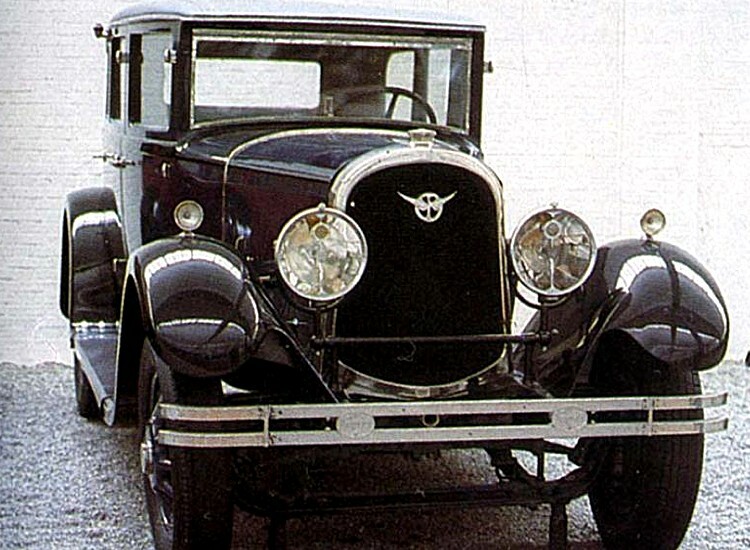 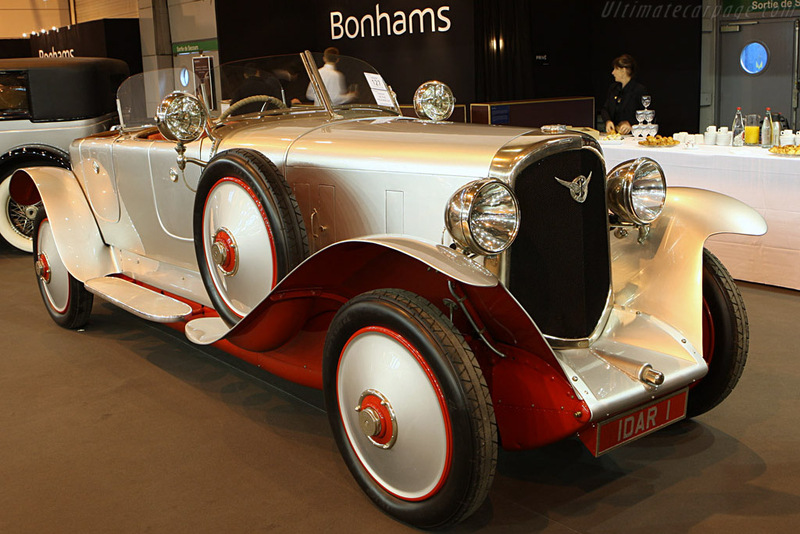 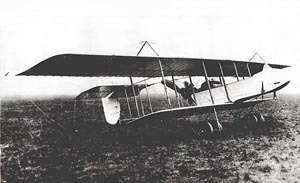 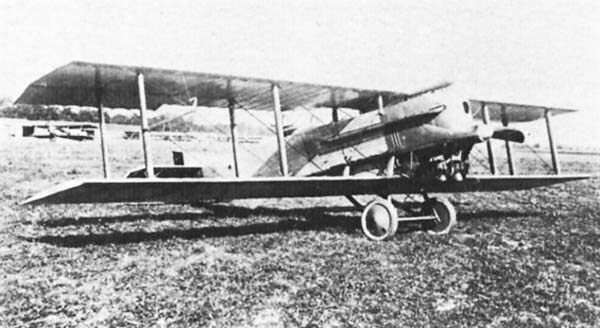 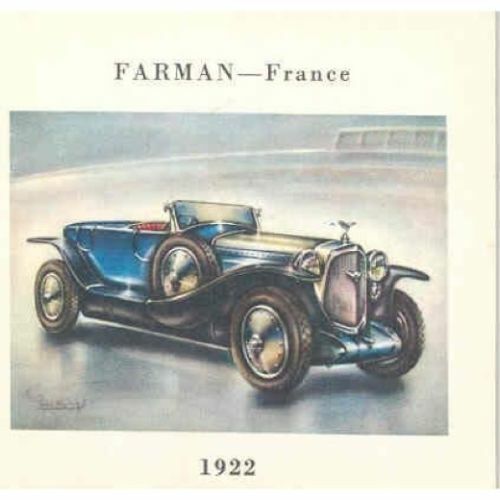 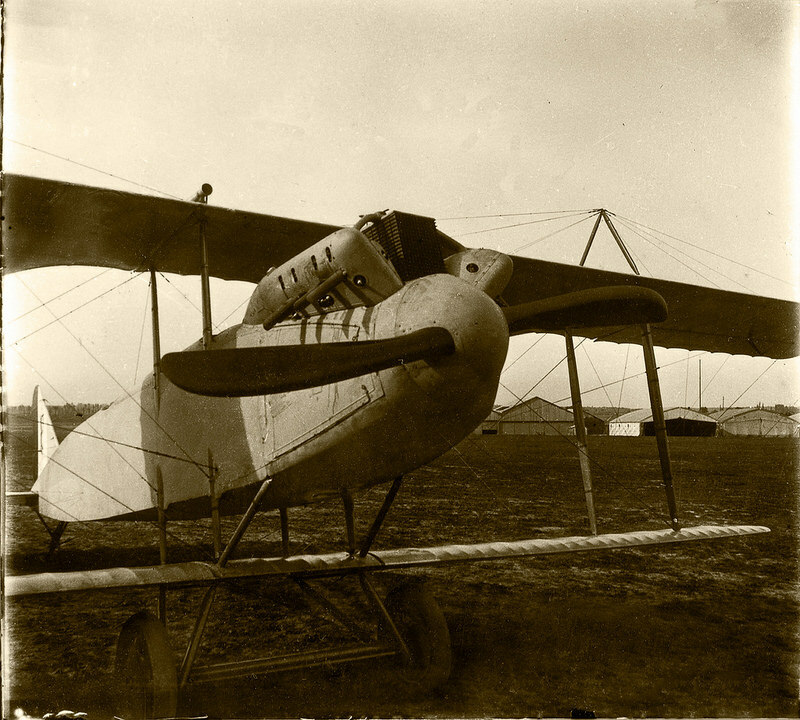 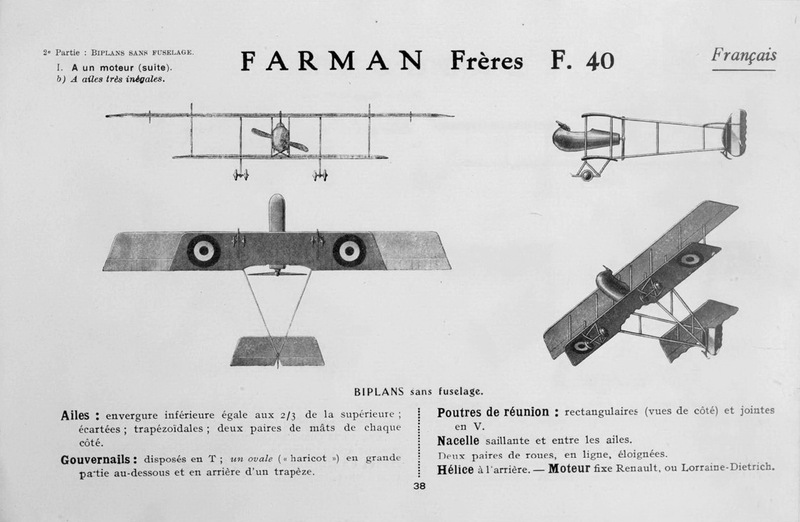 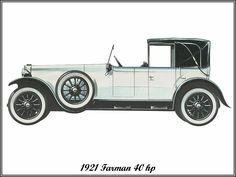 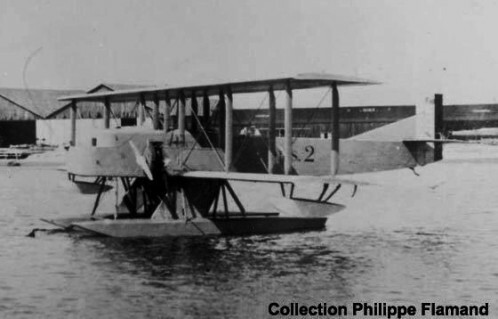 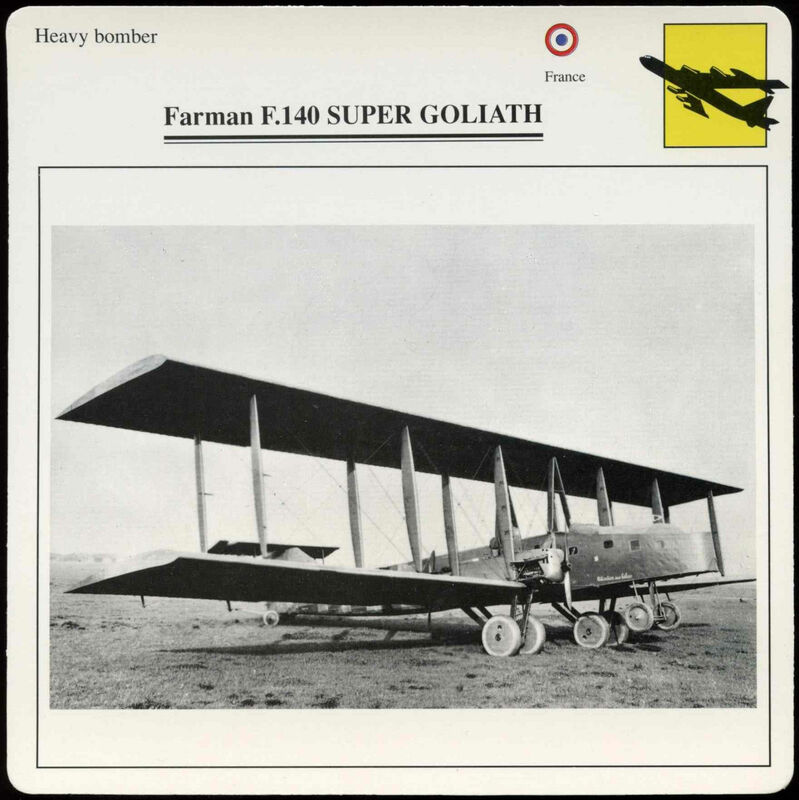 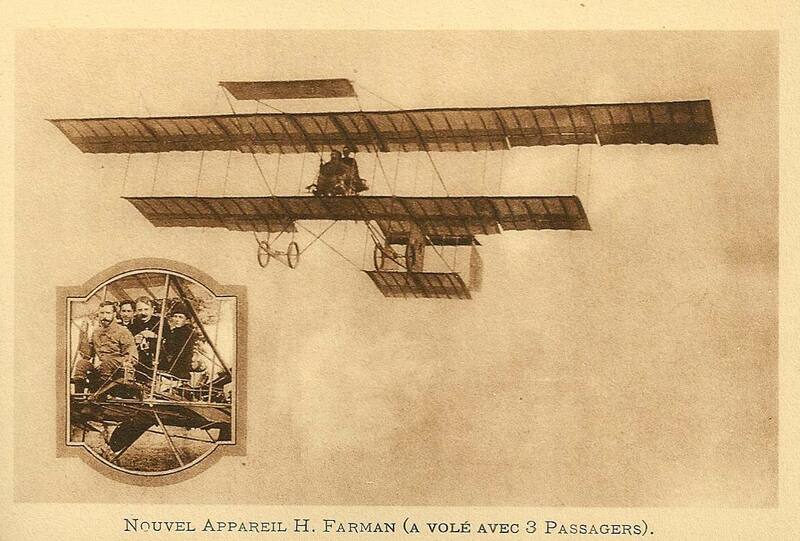 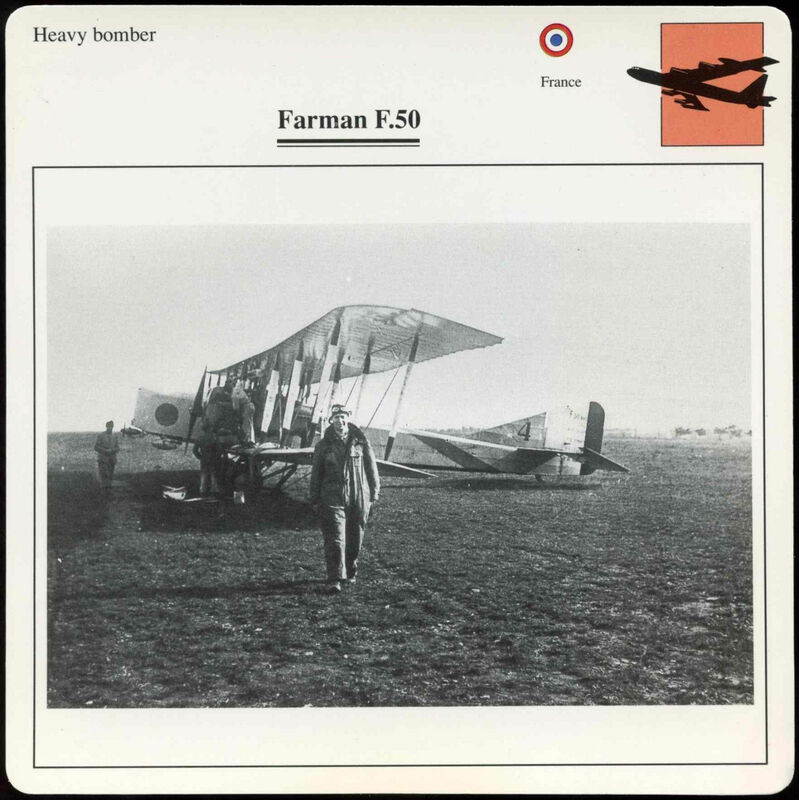 In 1907, Henry Far­man bought his first air­craft from the Voisin; and soon he began to im­prove its de­sign of the air­craft, as a re­sult it was known as ei­ther Far­man I or Voisin-Far­man I. 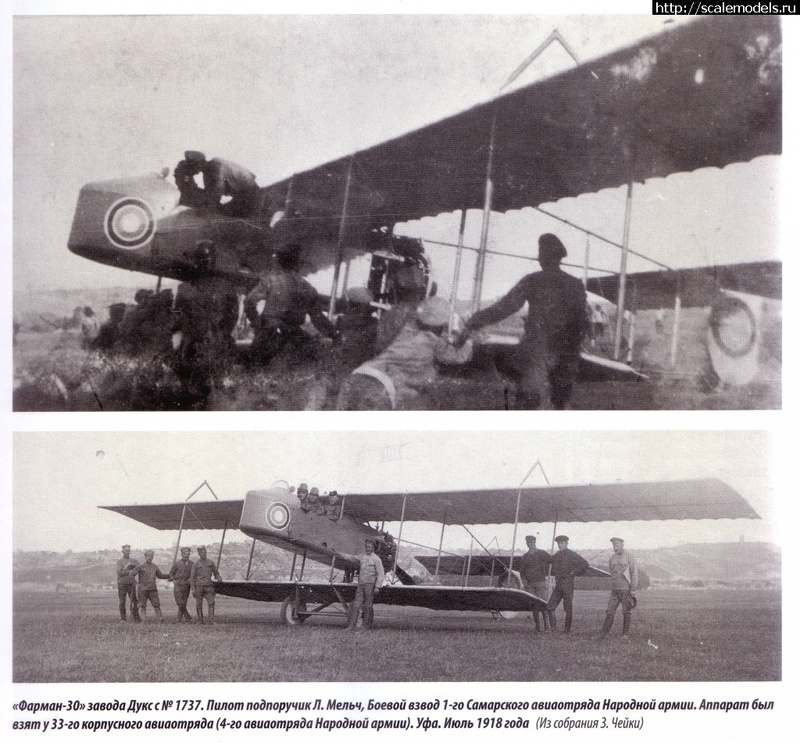 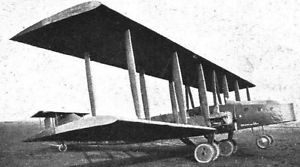 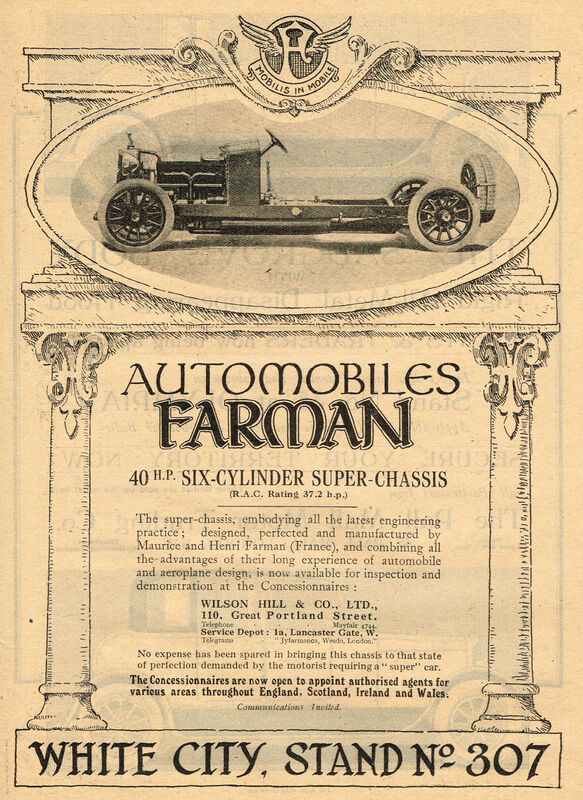 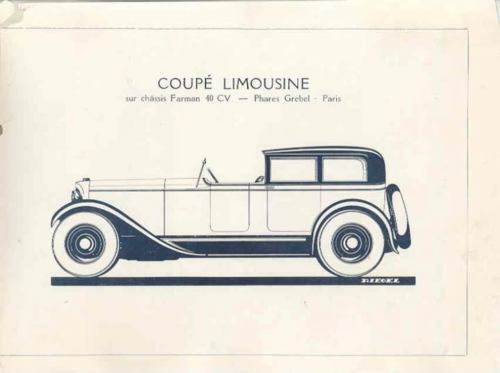 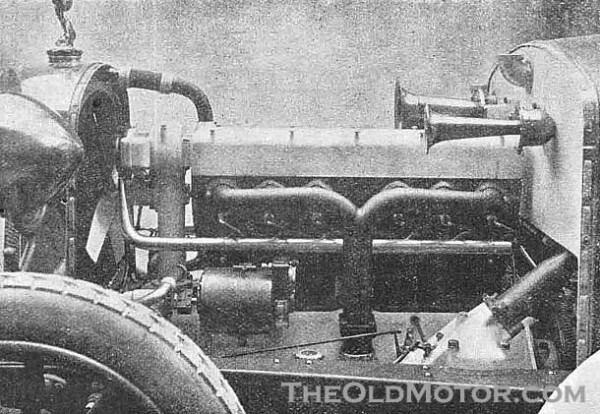 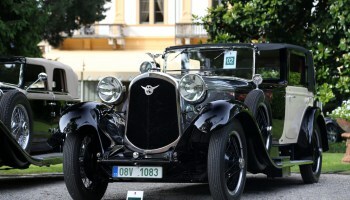 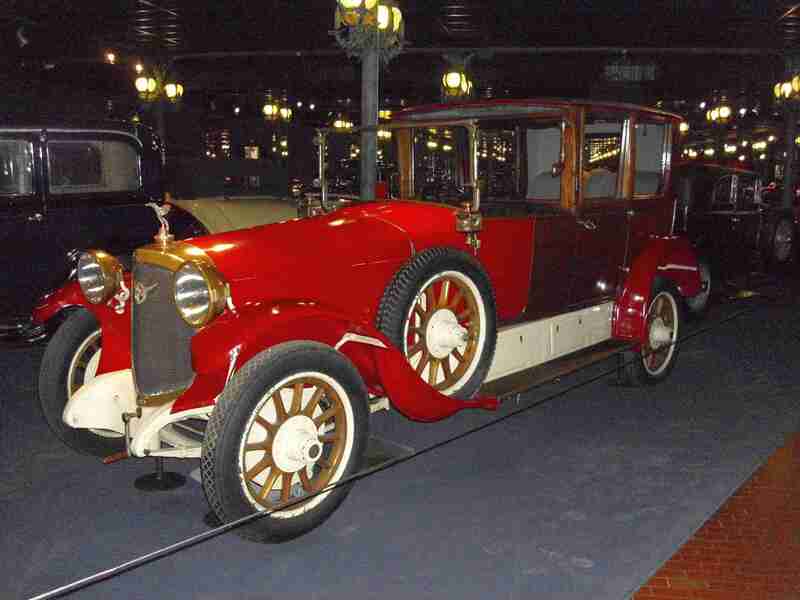 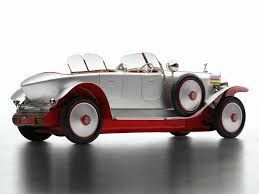 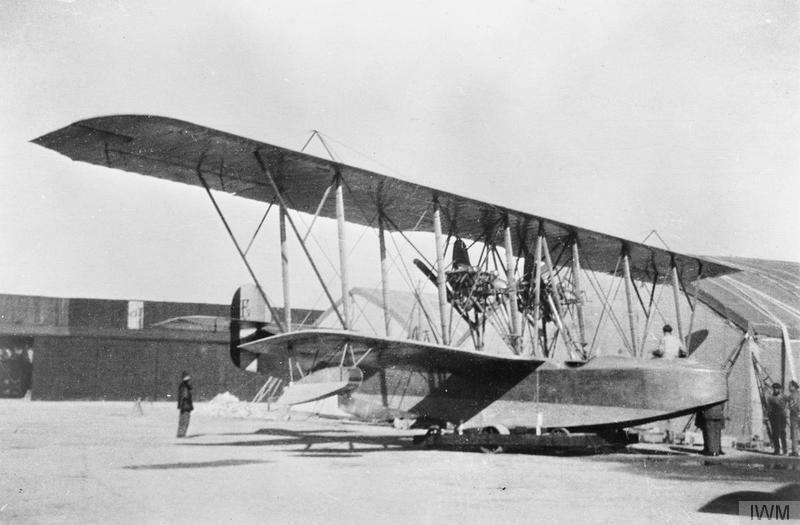 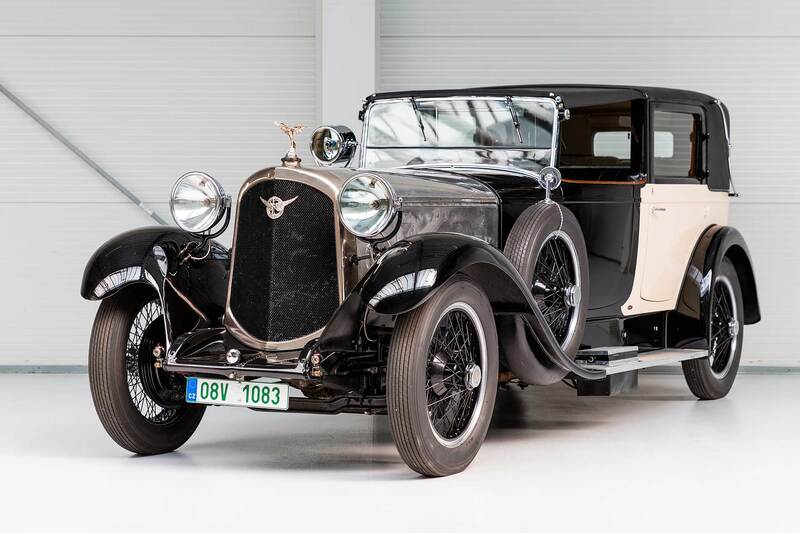 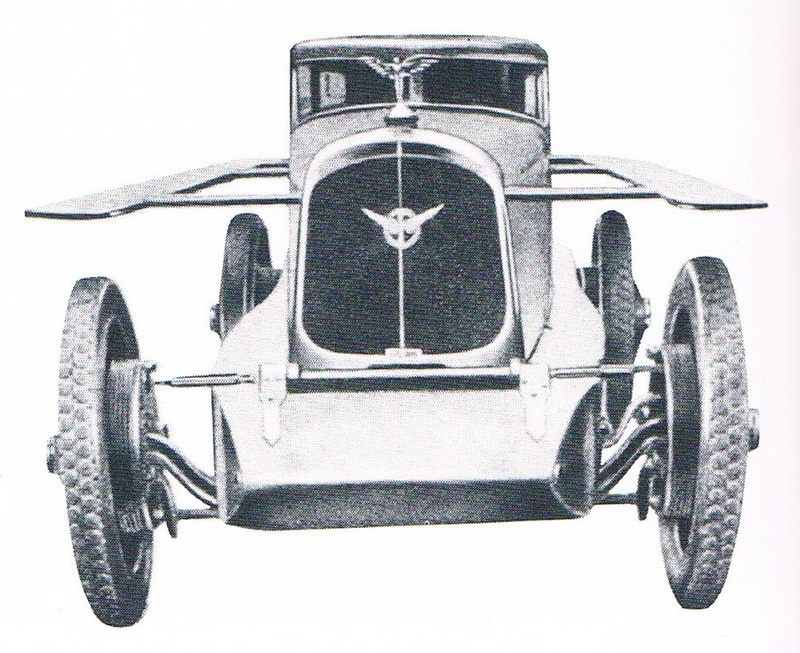 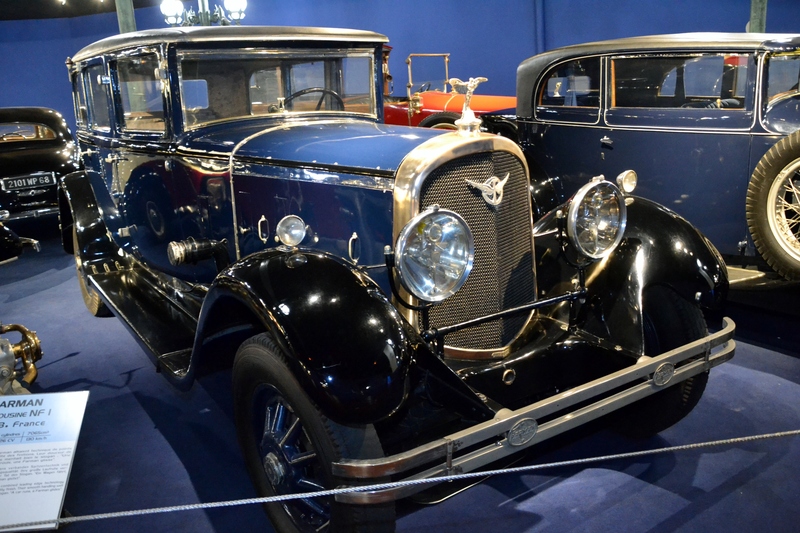 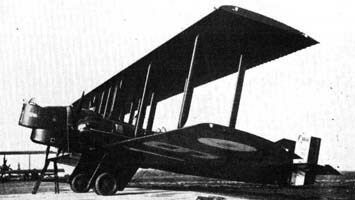 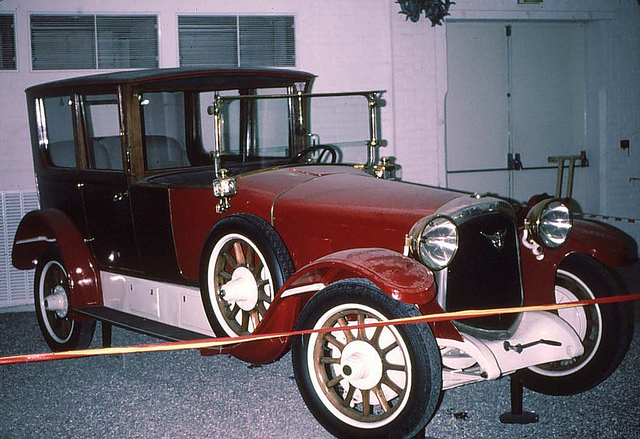 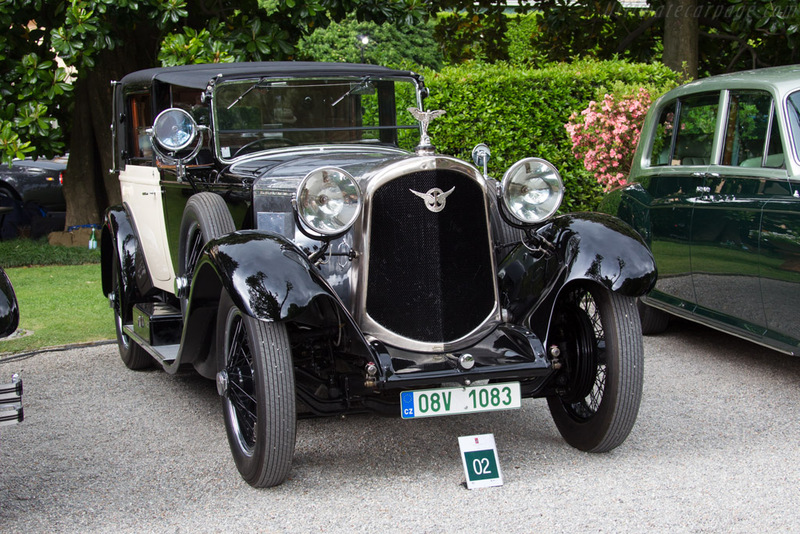 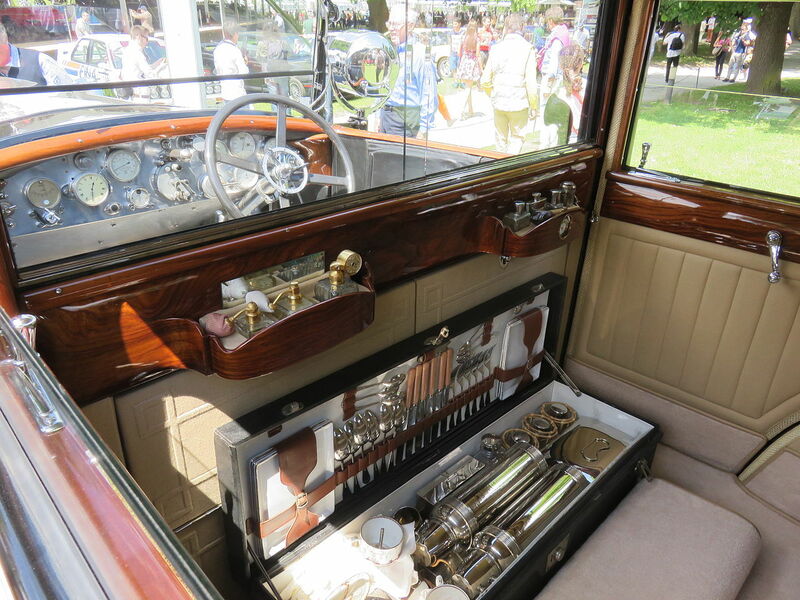 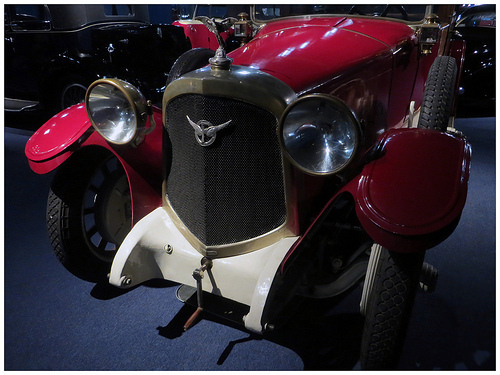 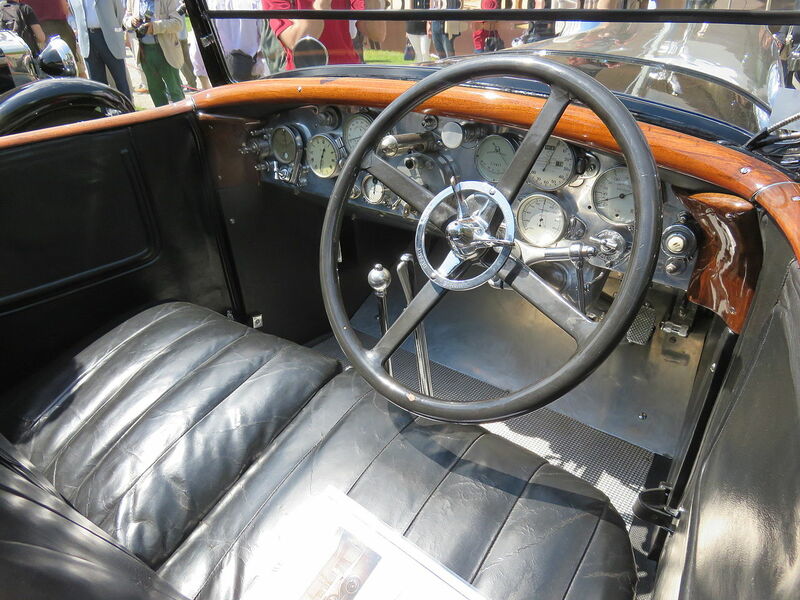 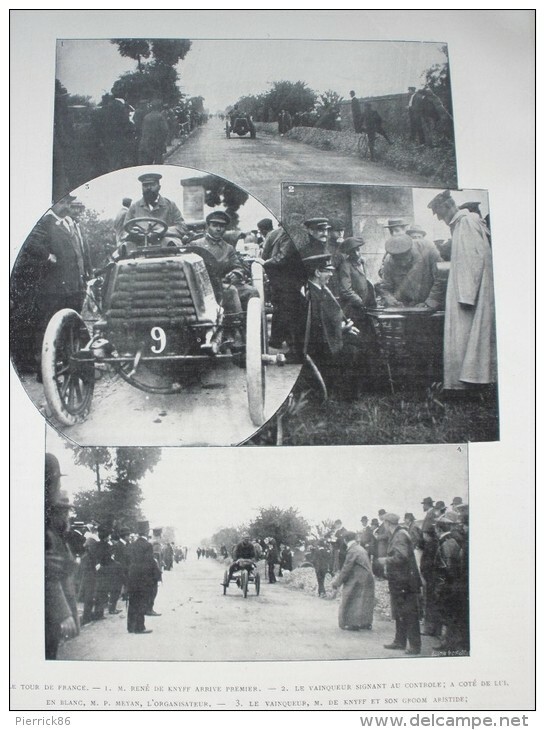 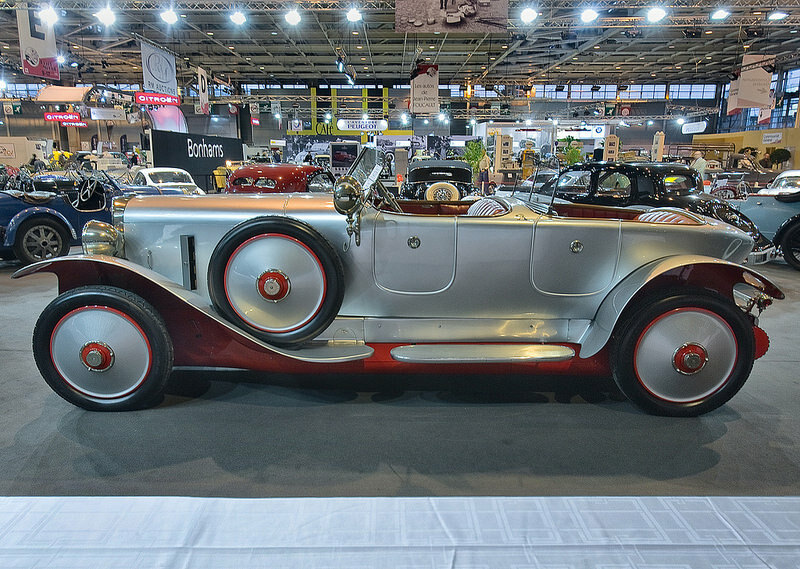 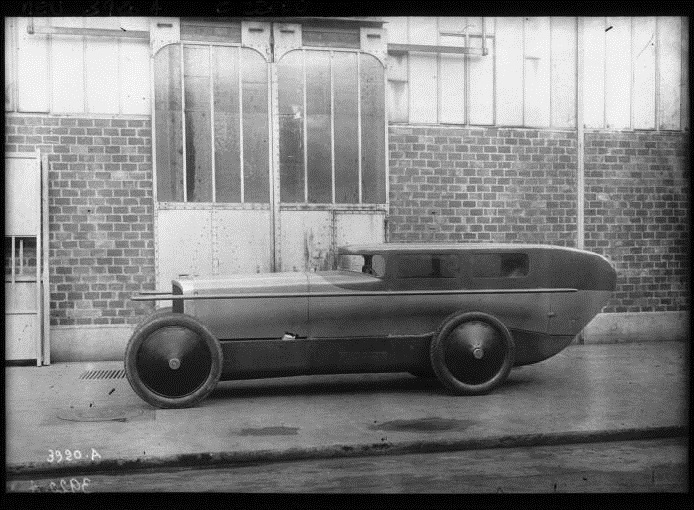 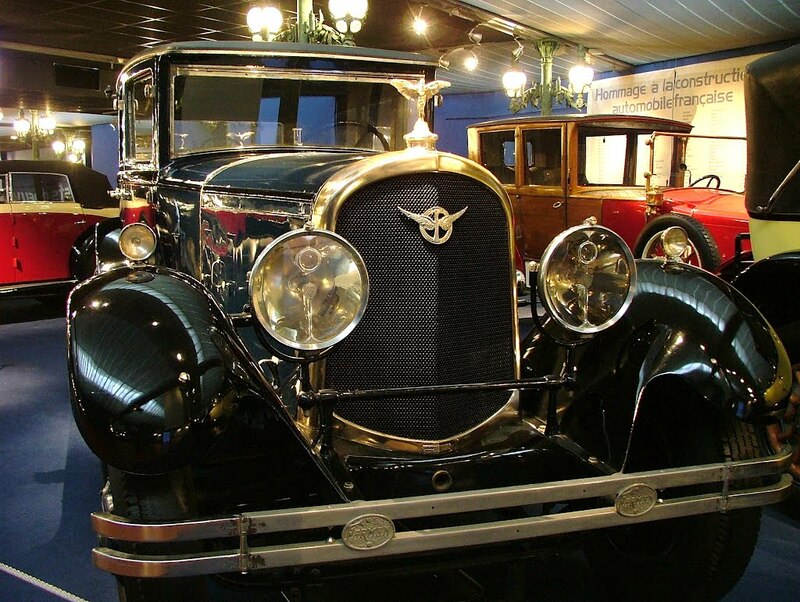 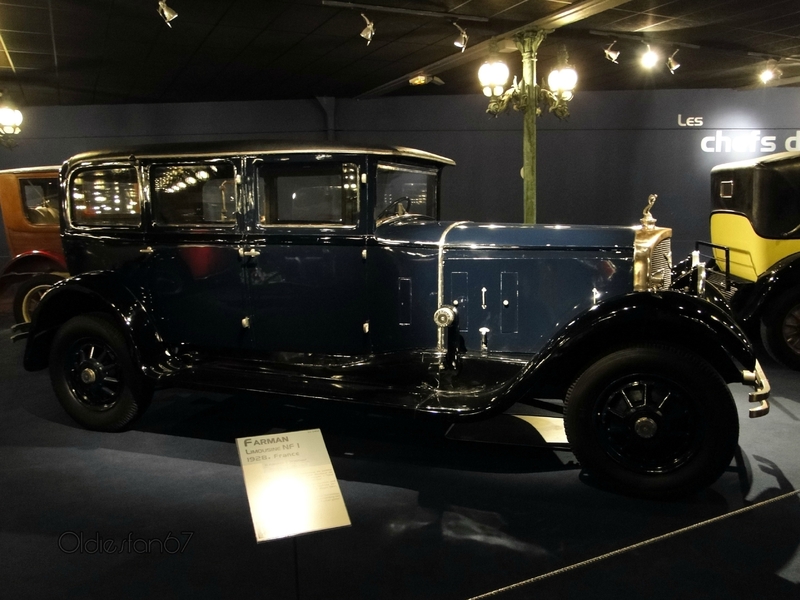 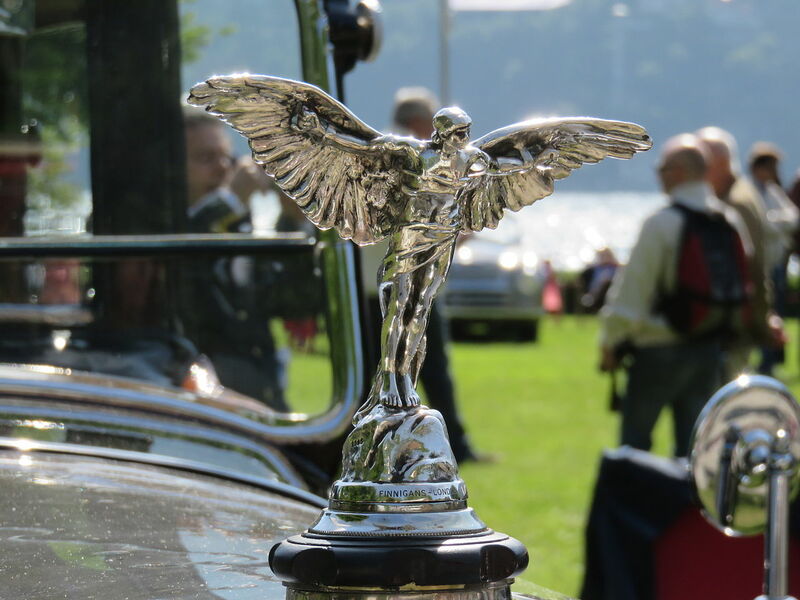 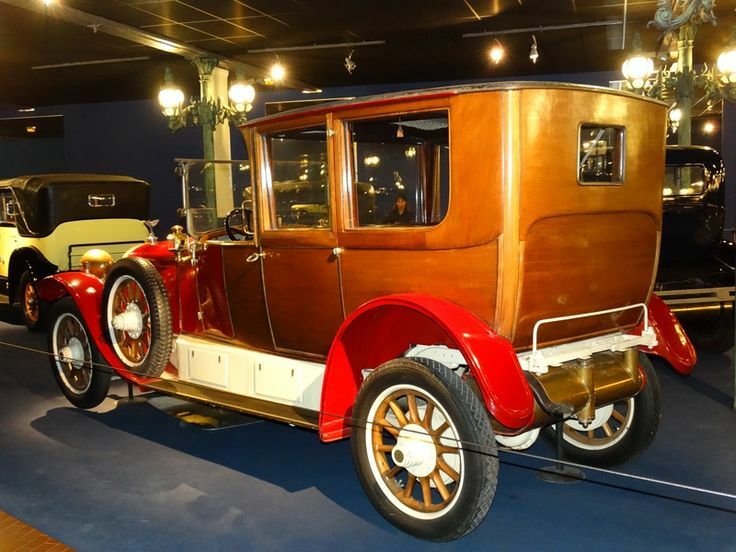 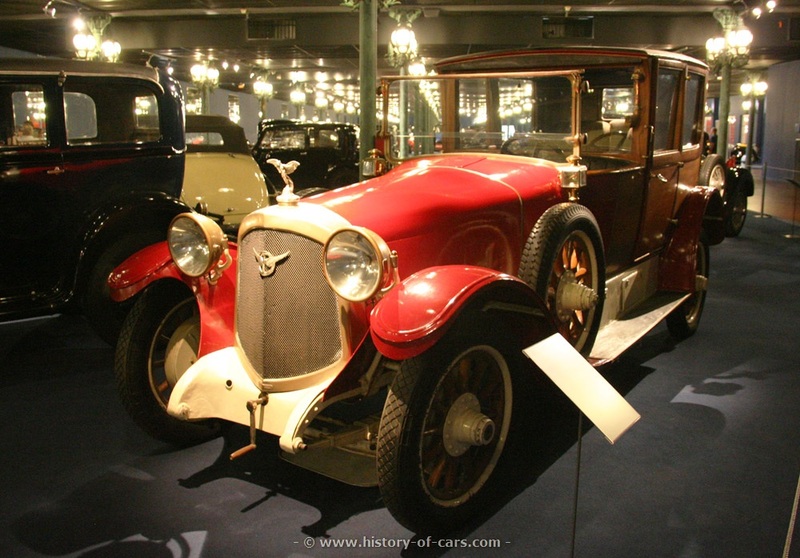 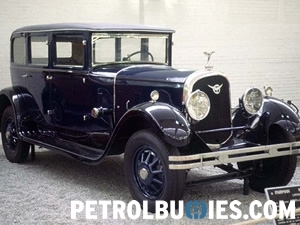 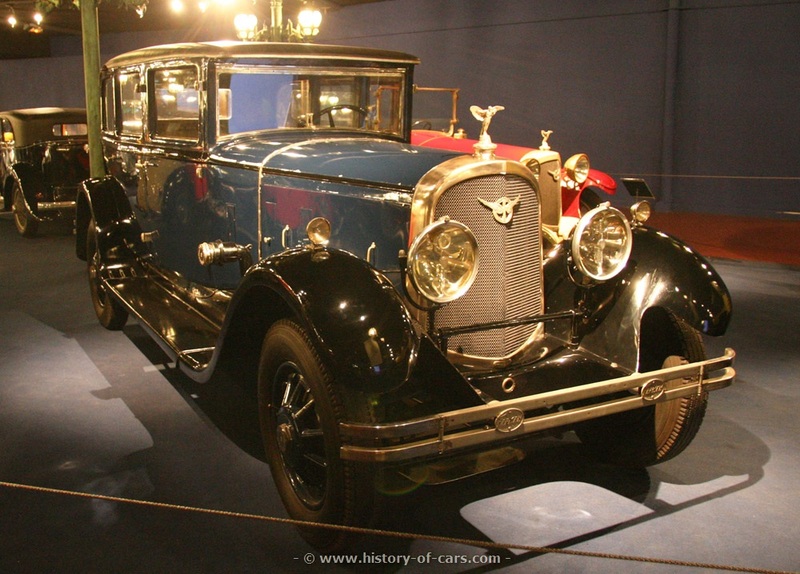 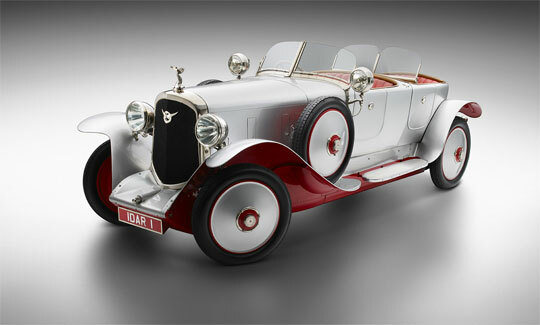 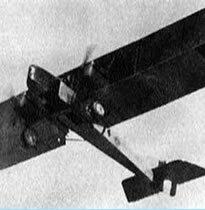 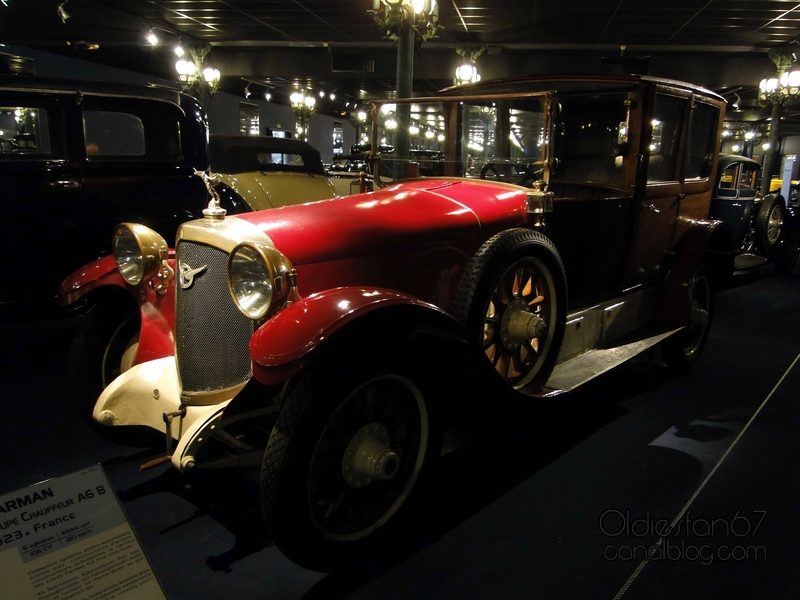 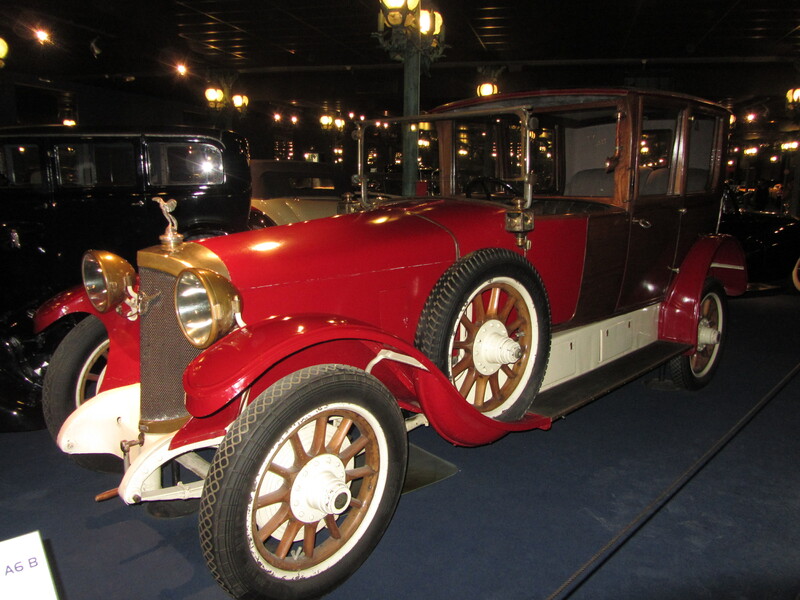 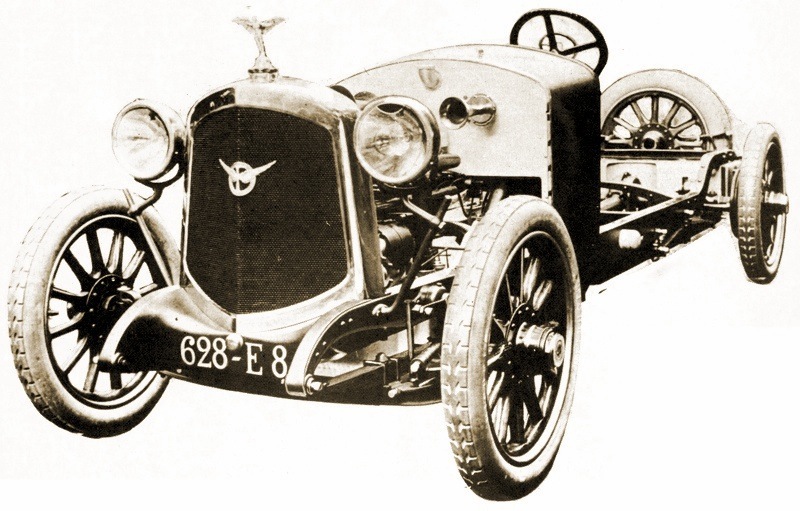 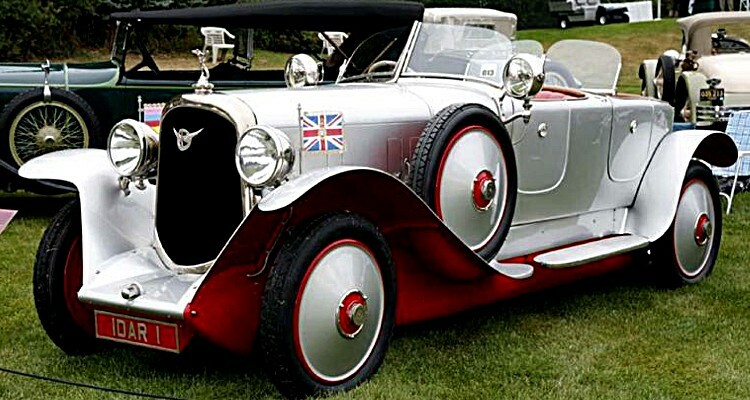 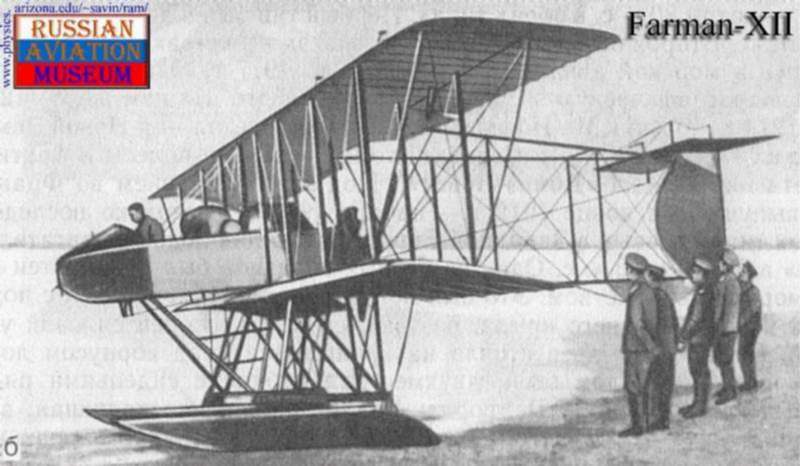 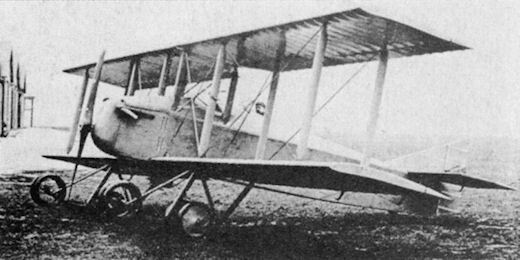 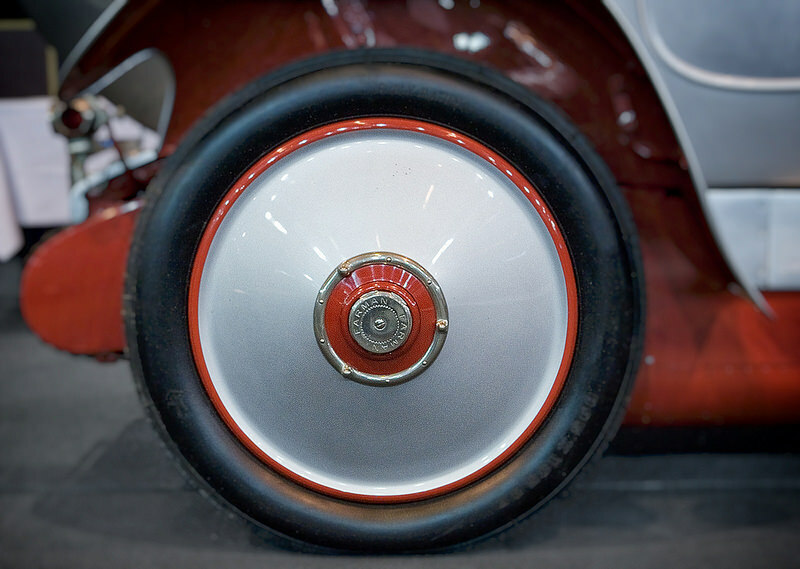 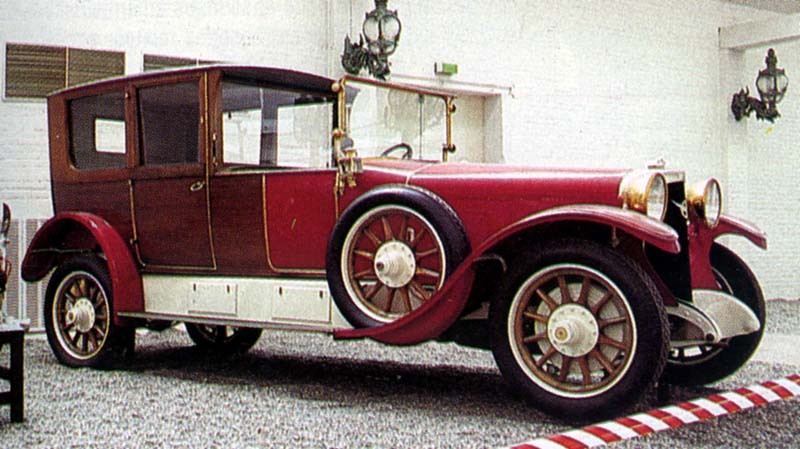 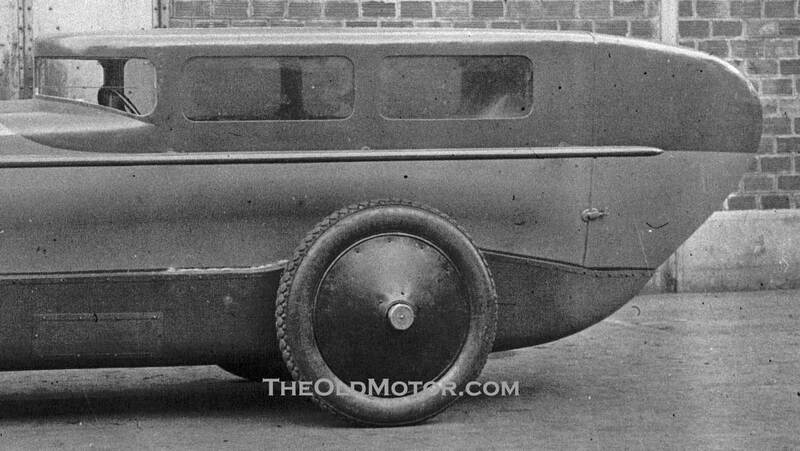 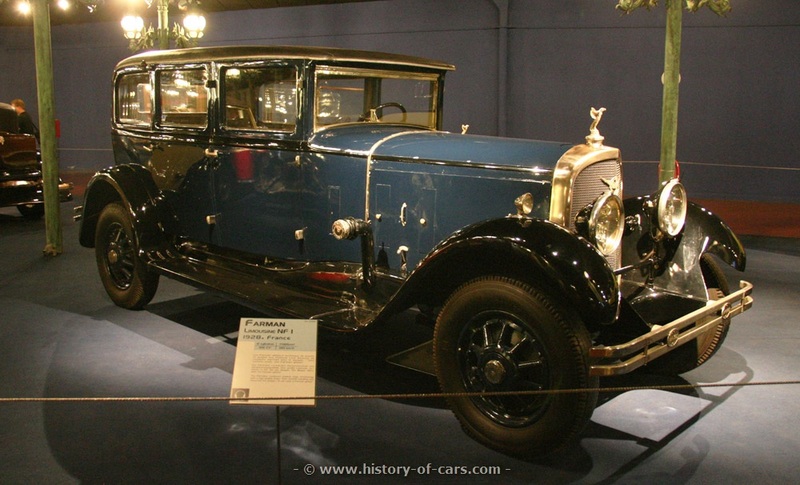 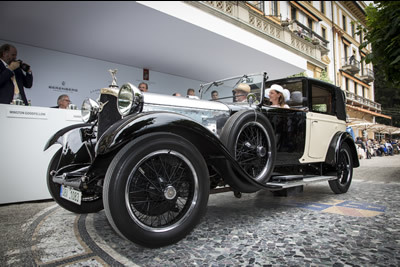 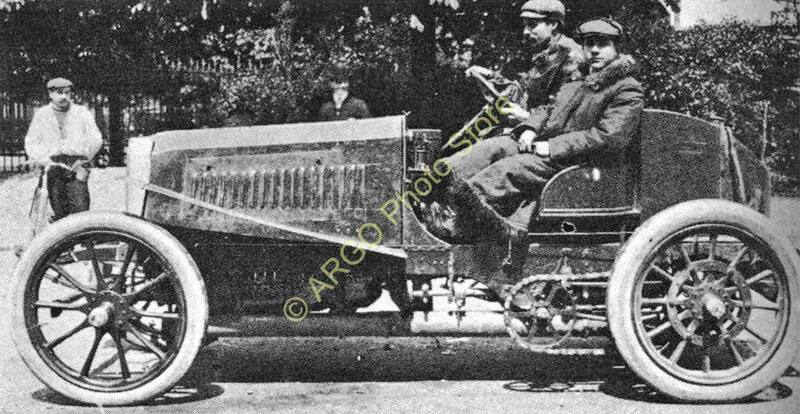 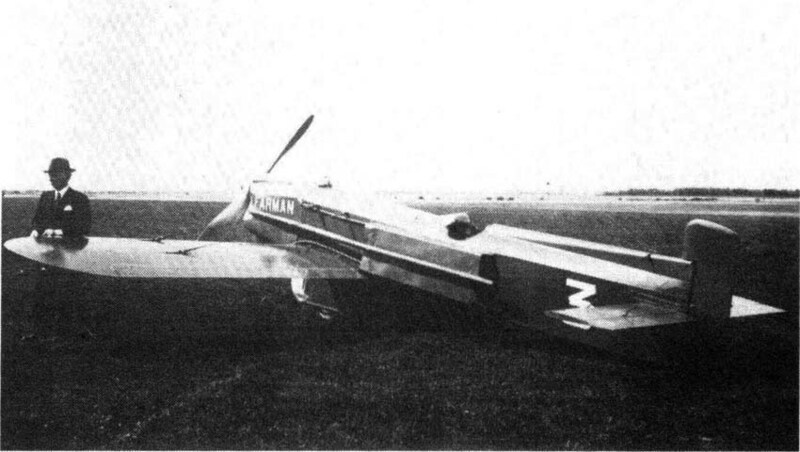 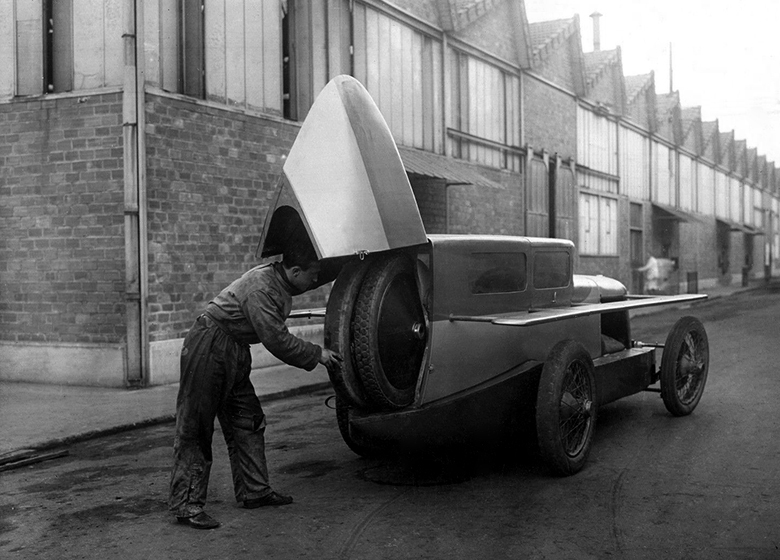 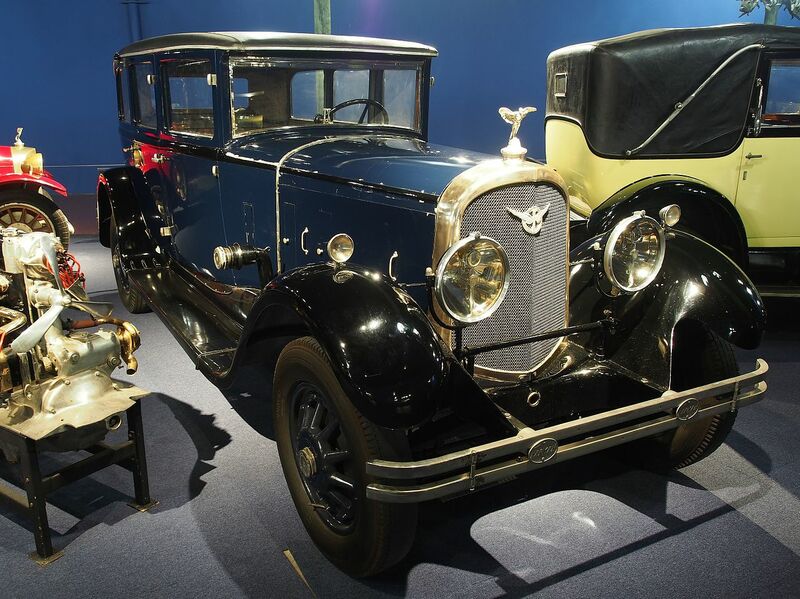 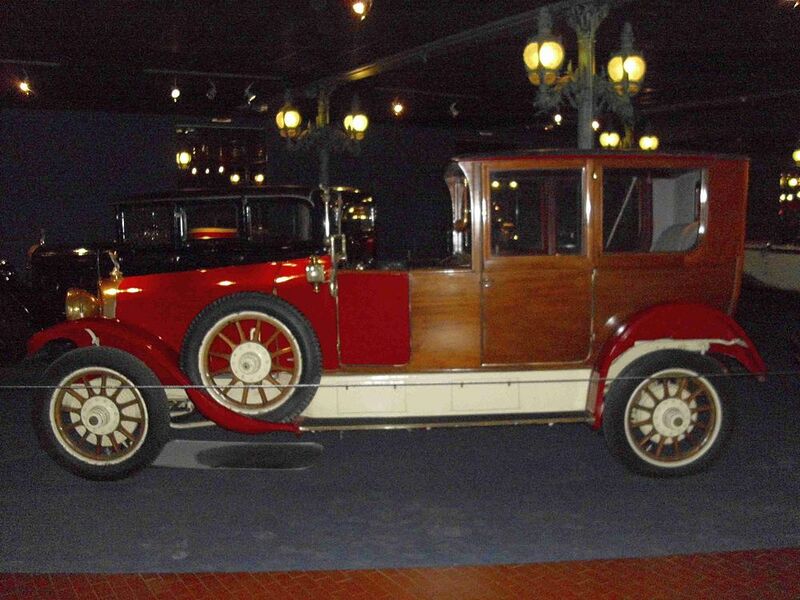 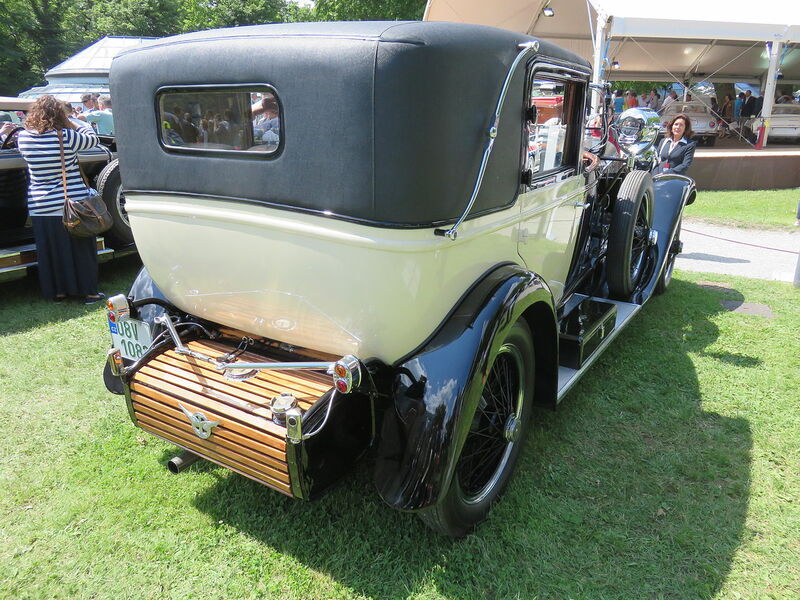 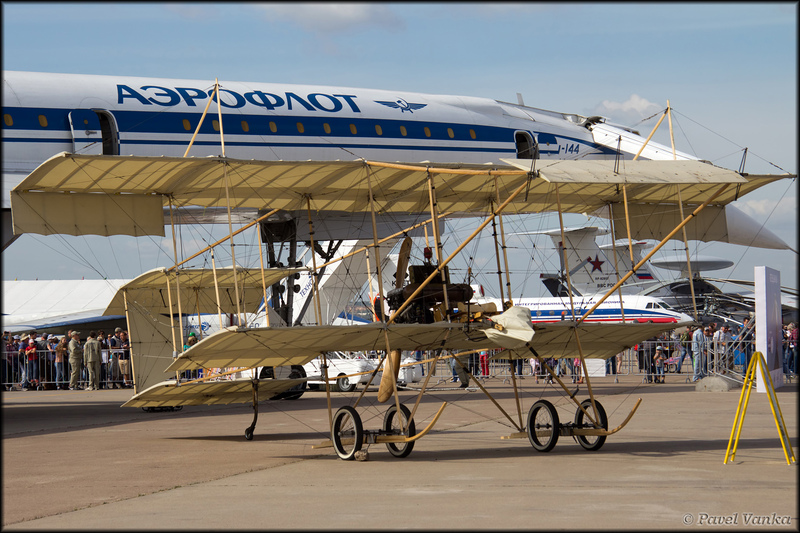 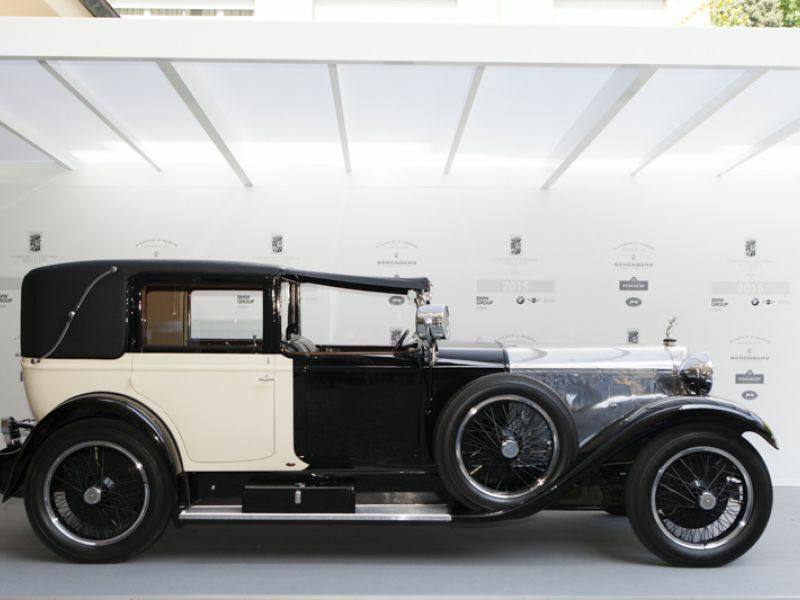 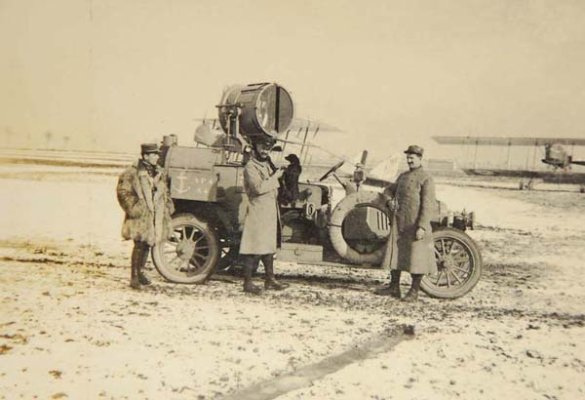 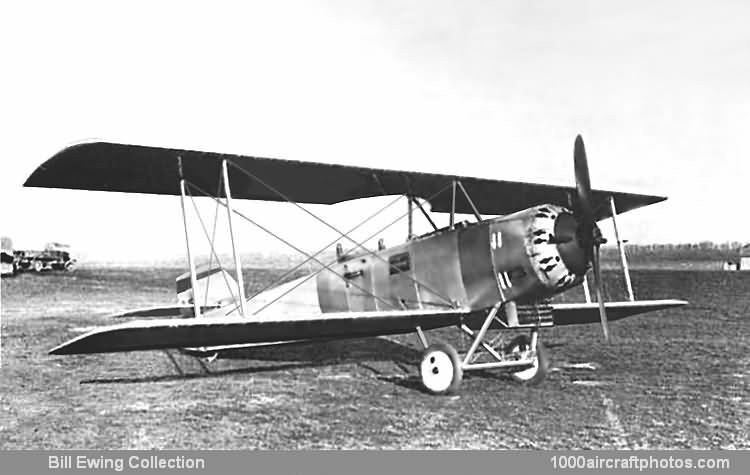 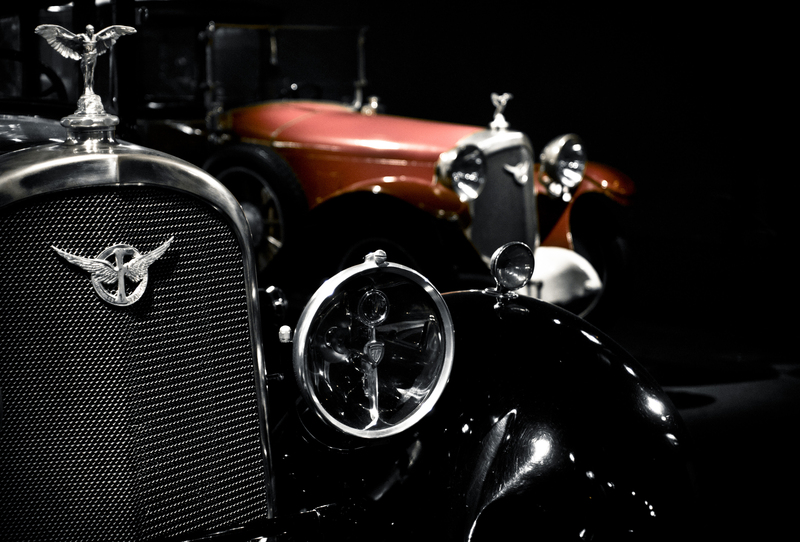 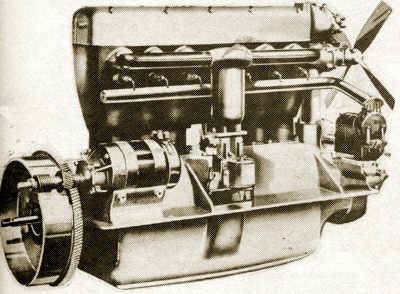 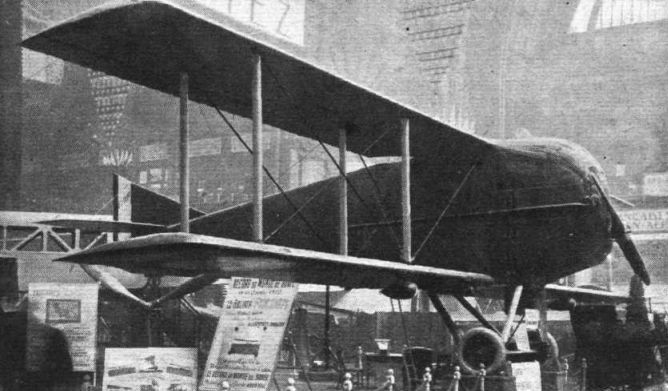 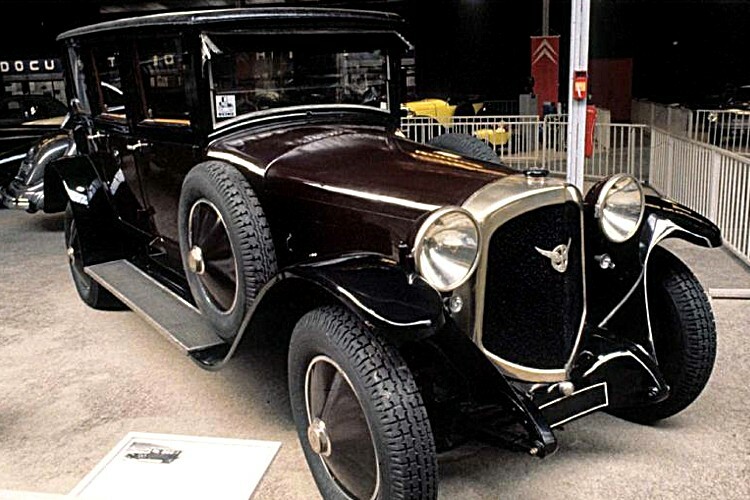 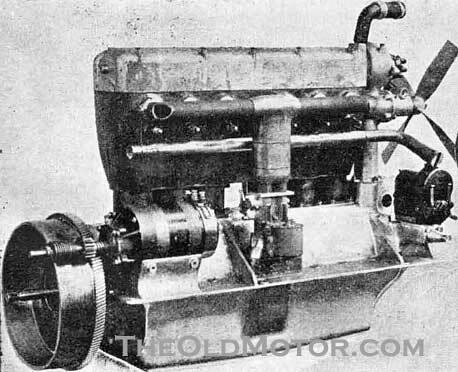 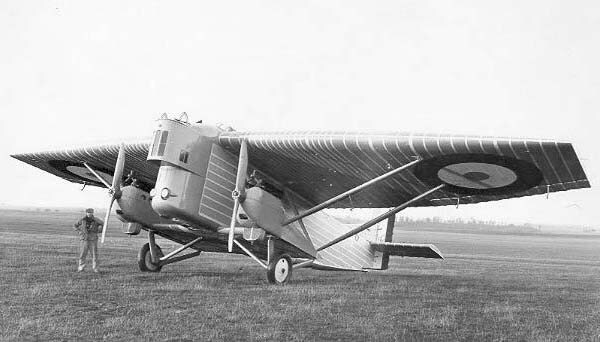 In 1908, after fur­ther mod­i­fi­ca­tions which in­cluded re-cov­er­ing it with ‘Con­ti­nen­tal’ rub­ber­ized fab­ric and ad­di­tion of side-cur­tains, the air­craft was re-des­ig­nated Far­man I-bis. 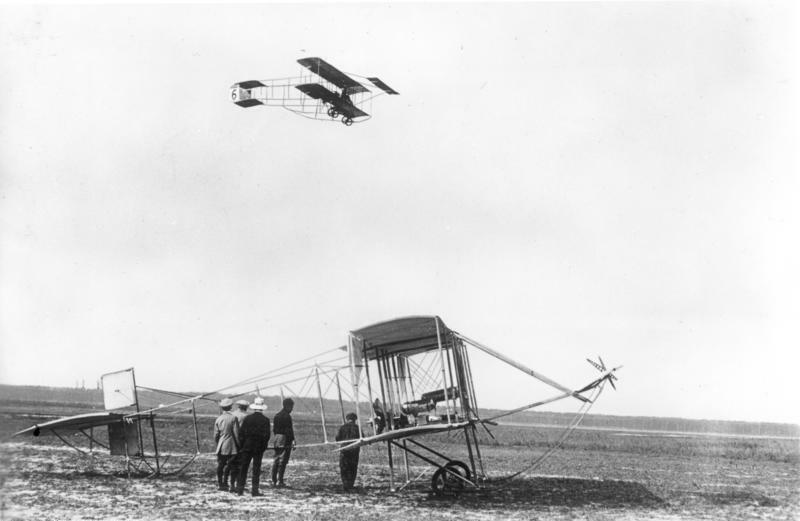 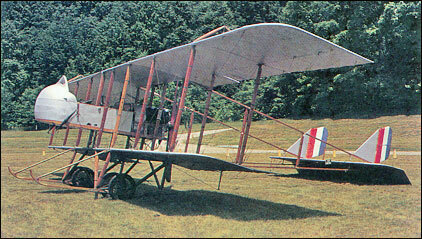 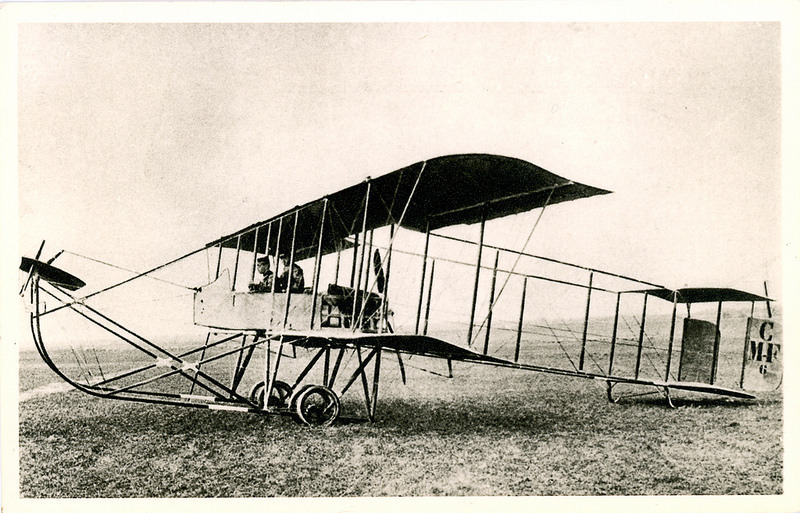 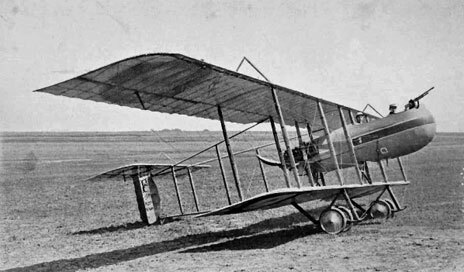 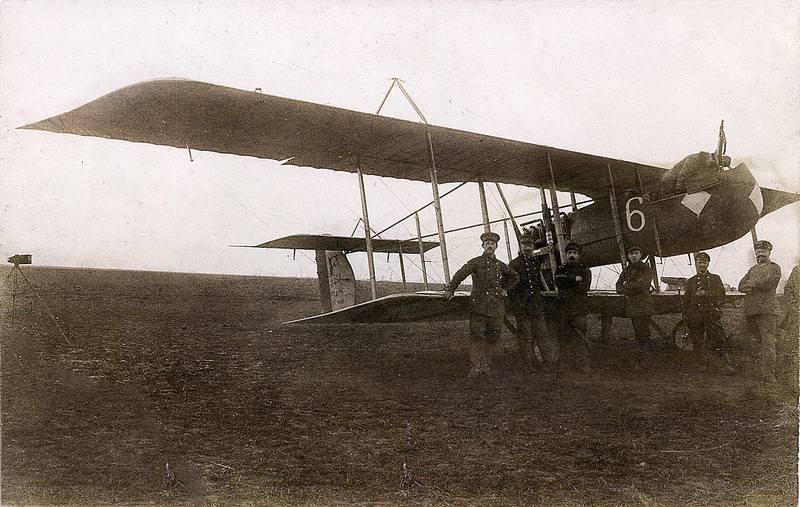 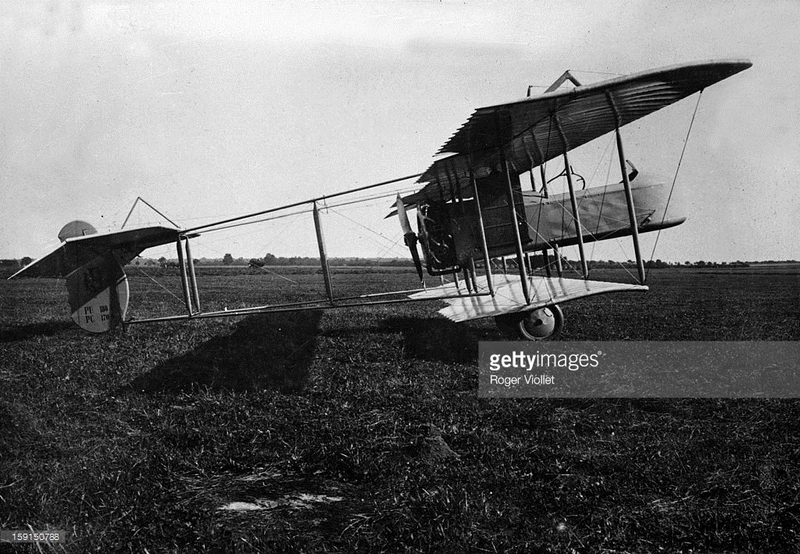 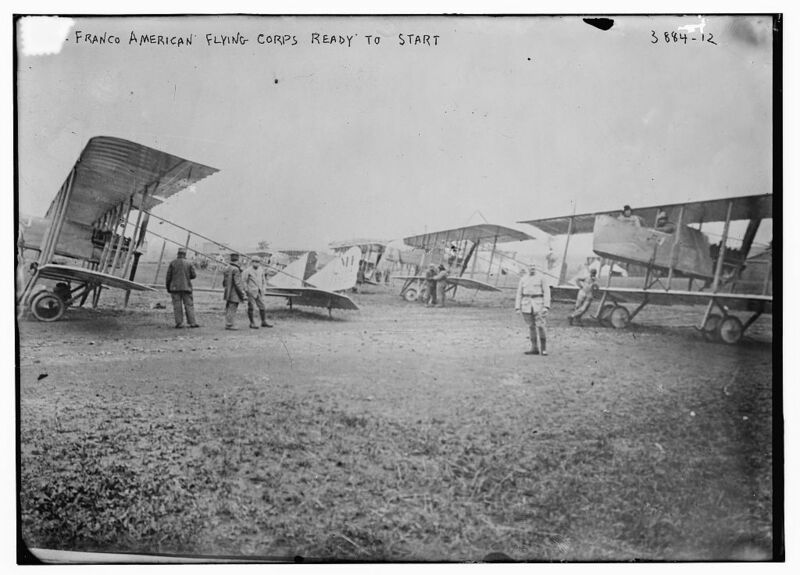 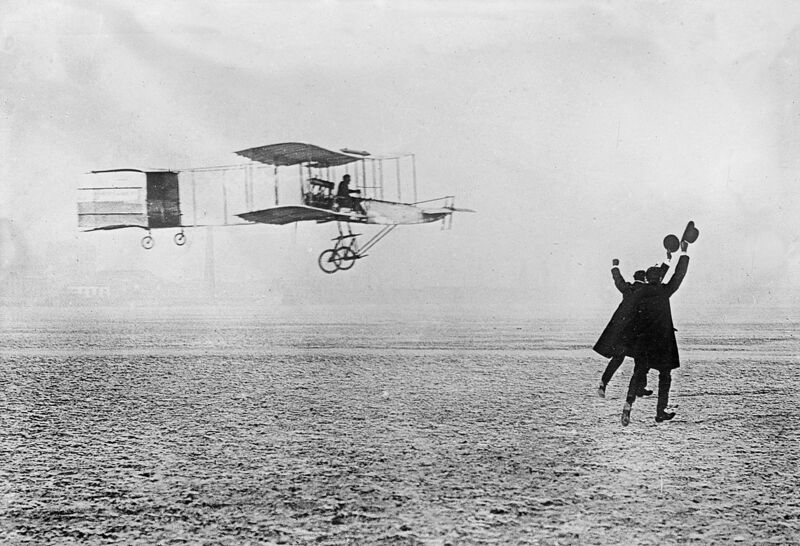 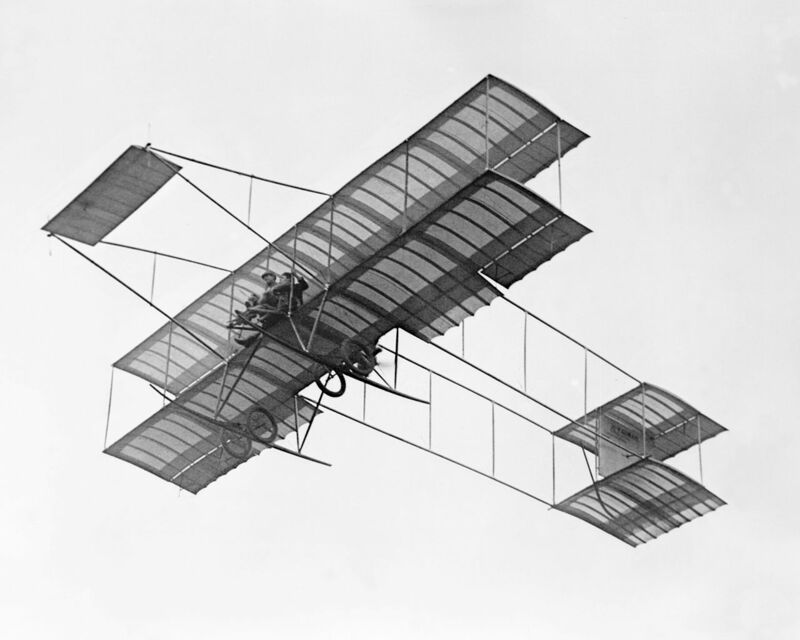 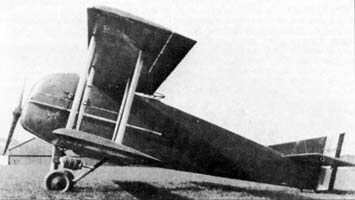 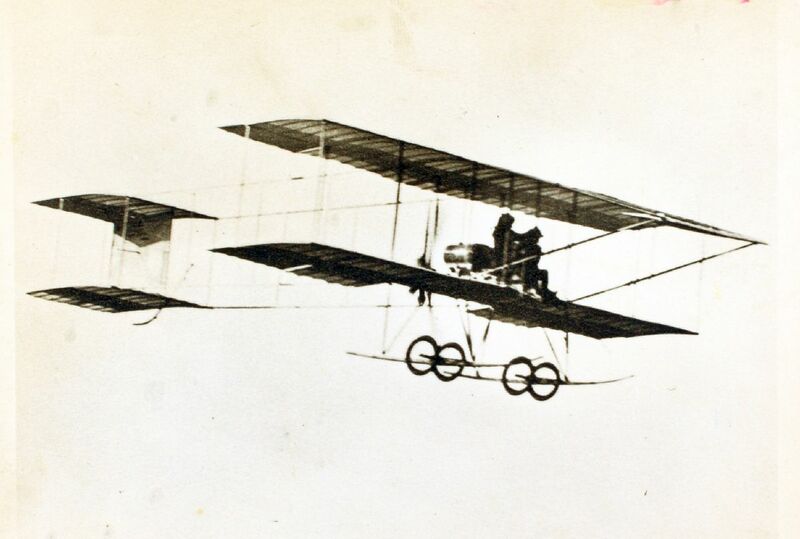 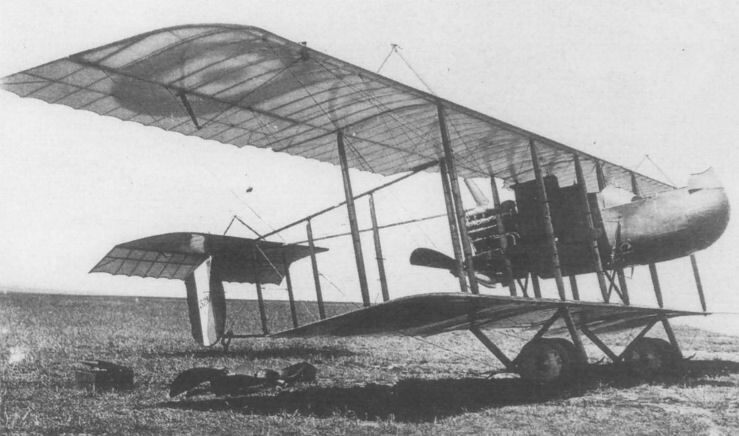 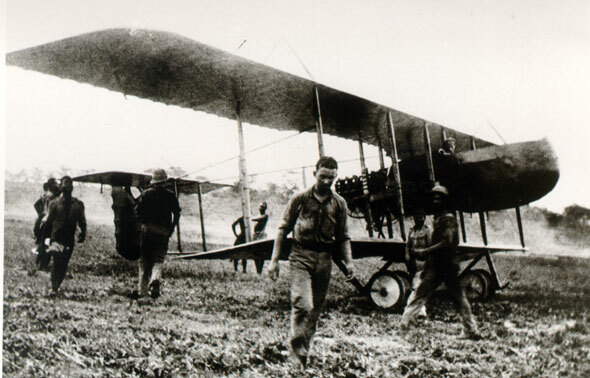 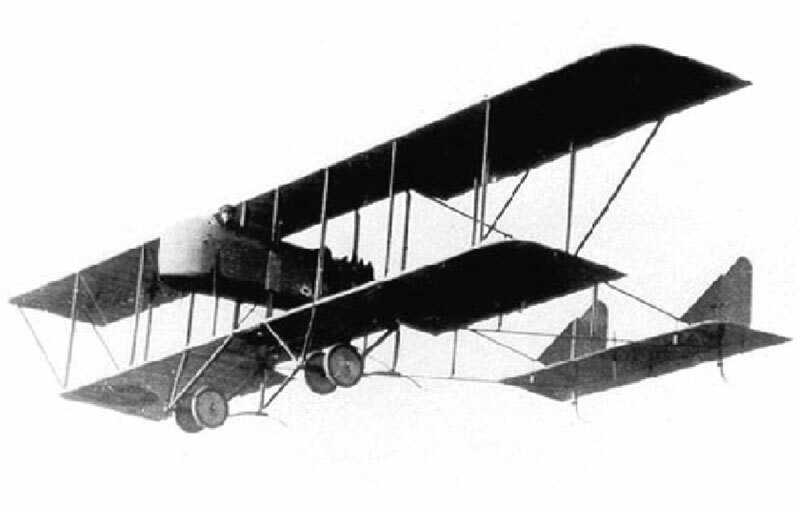 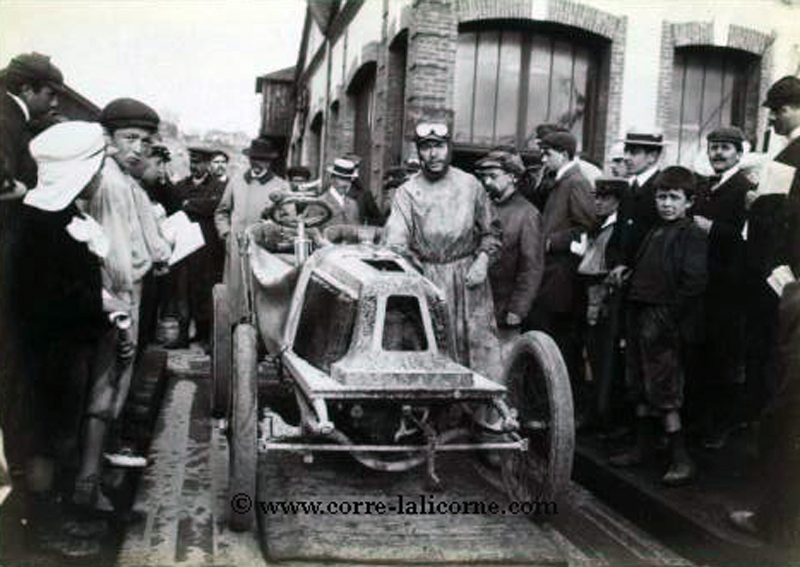 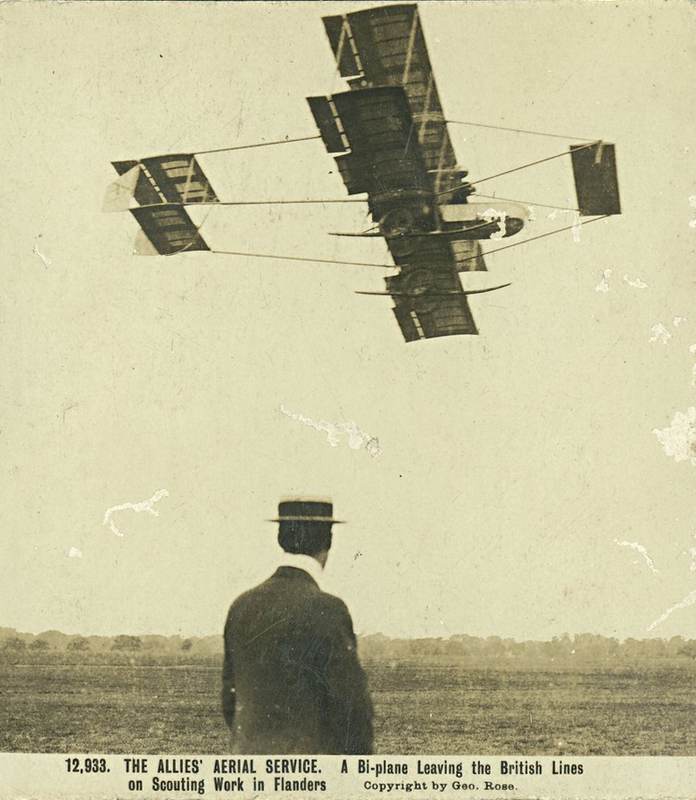 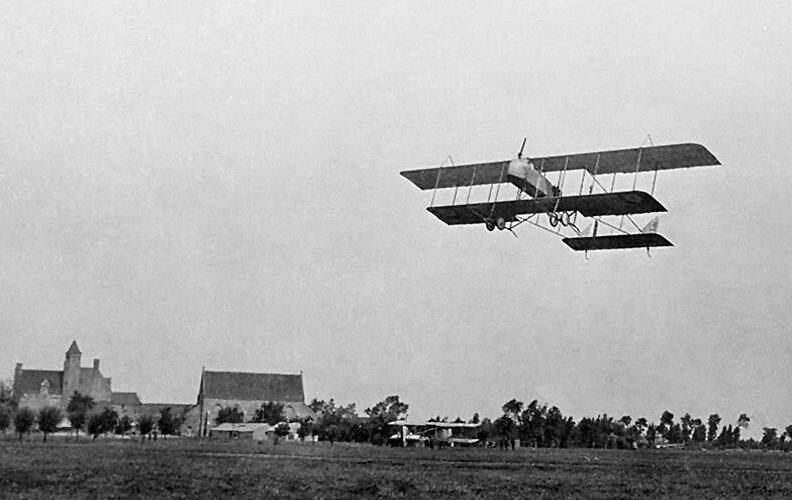 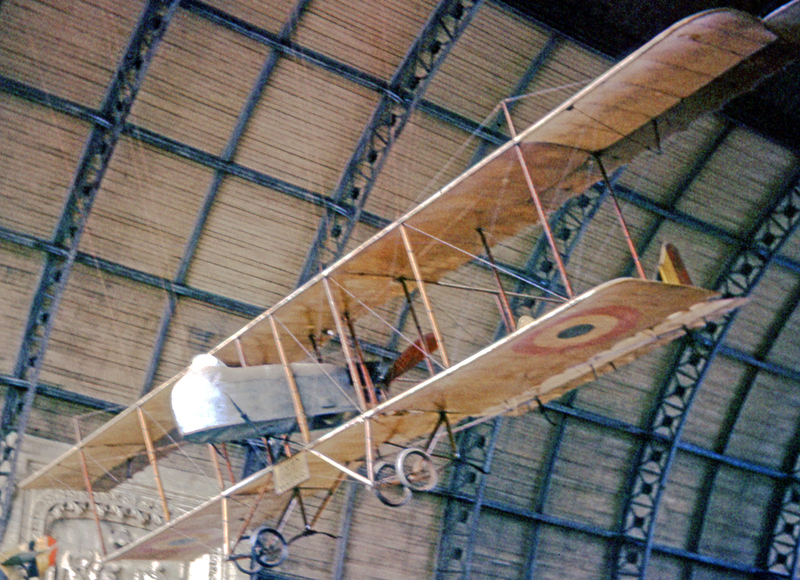 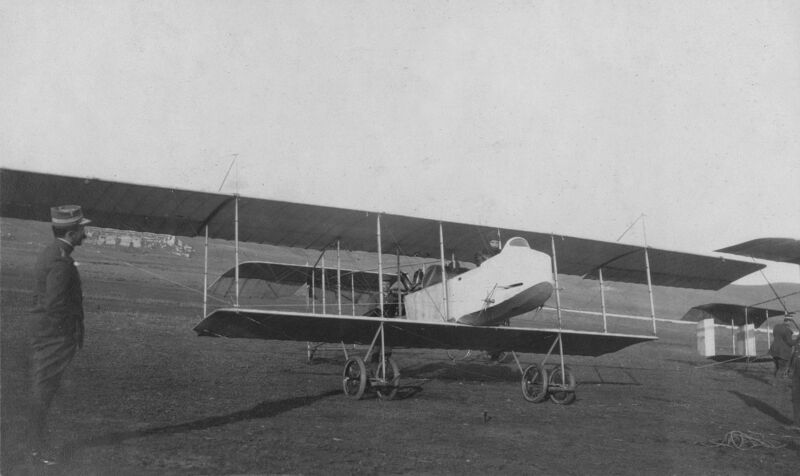 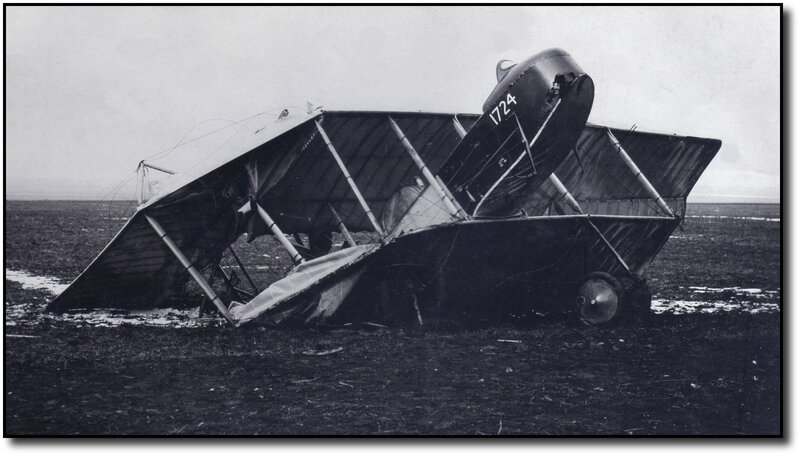 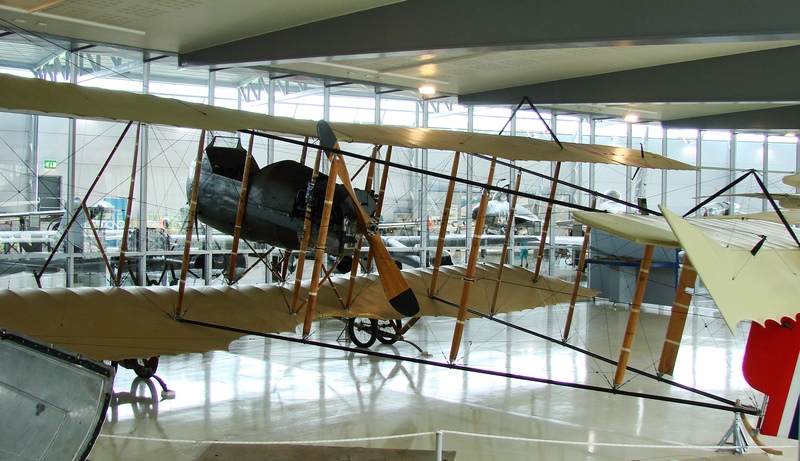 Ailerons were fit­ted after Wilbur Wright’s fly­ing demon­stra­tion at Le Mans in Au­gust 1908.
the Bird of Passage. 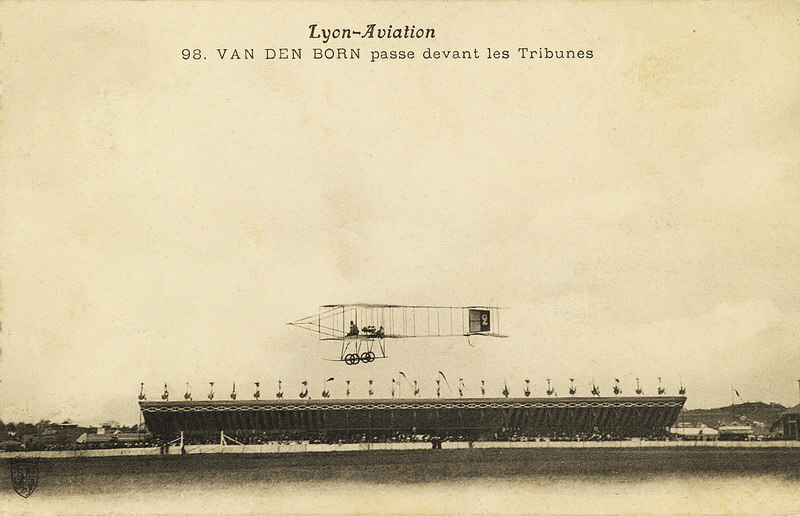 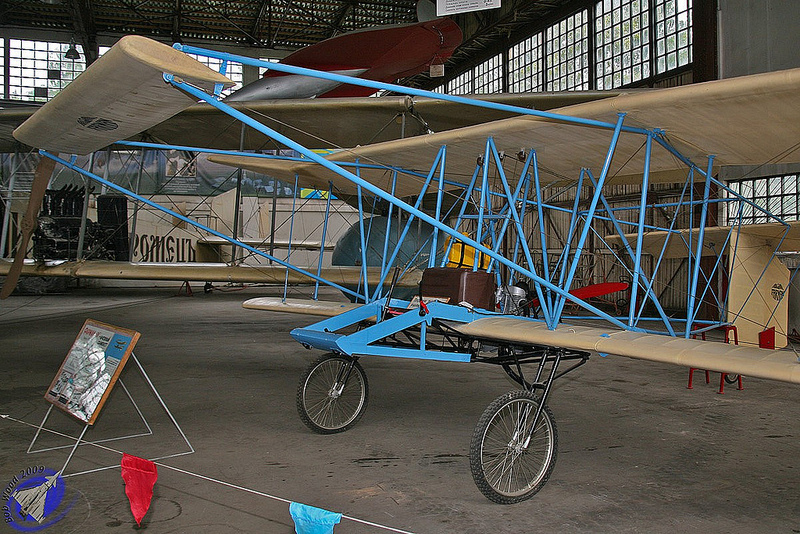 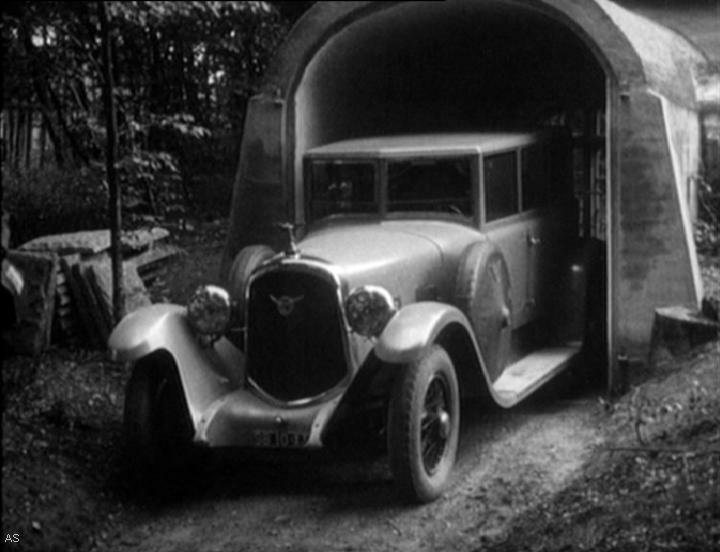 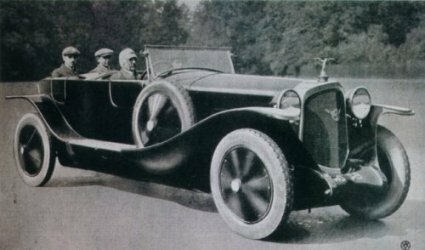 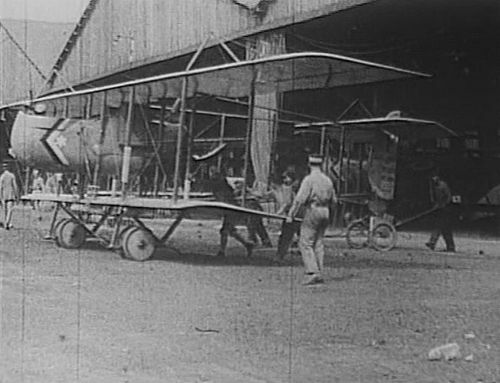 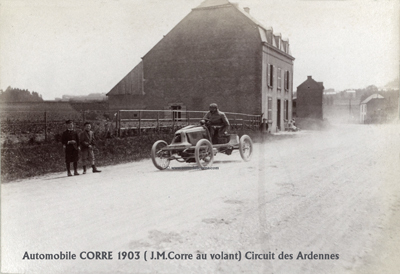 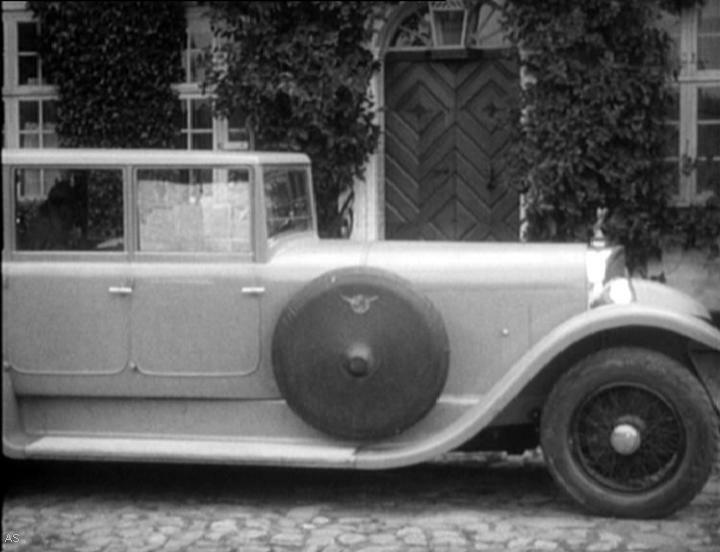 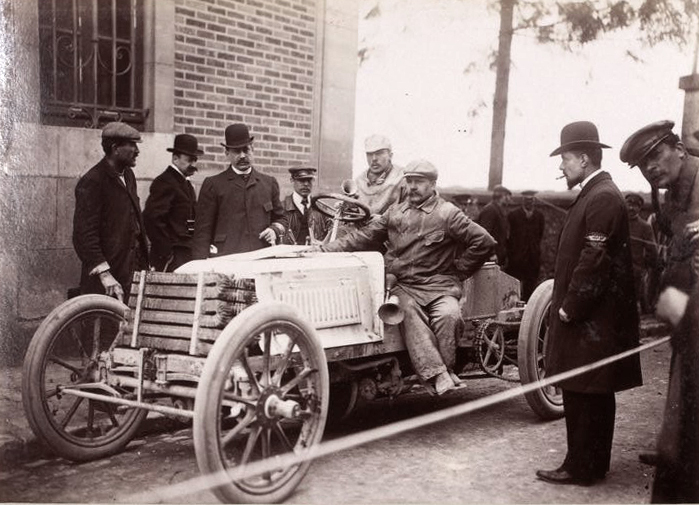 This episode an­gered Far­man, who in early 1909 ended his as­so­ci­a­tion with Voisin and started build­ing his own aircraft. 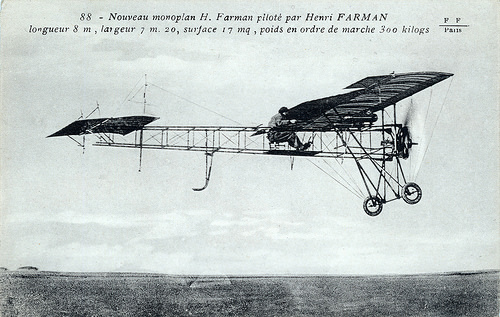 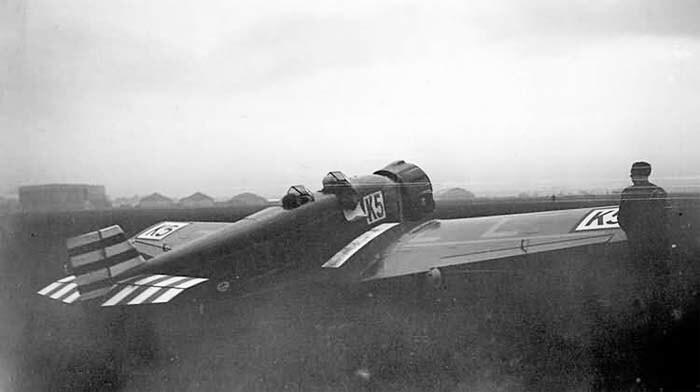 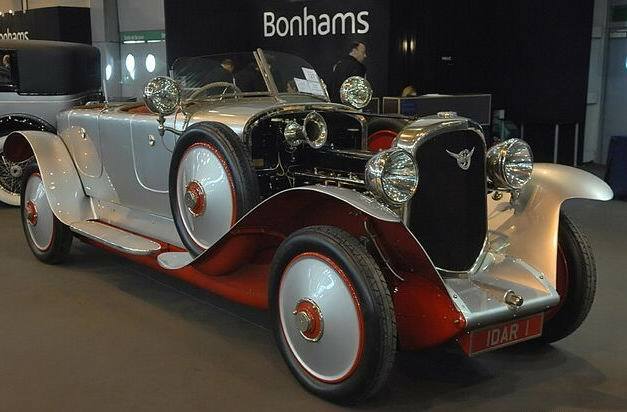 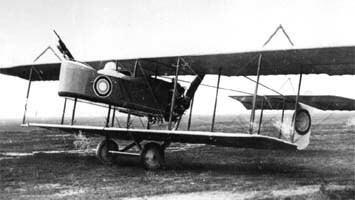 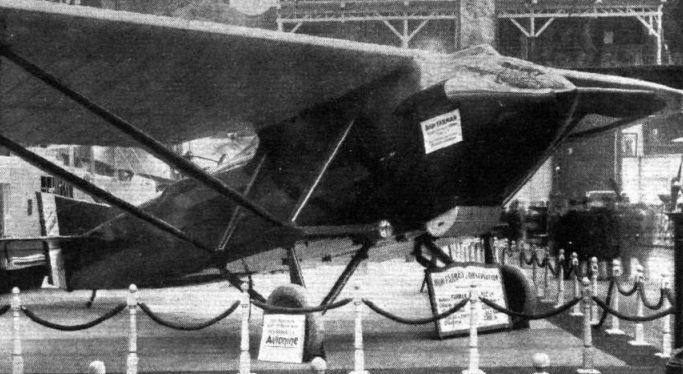 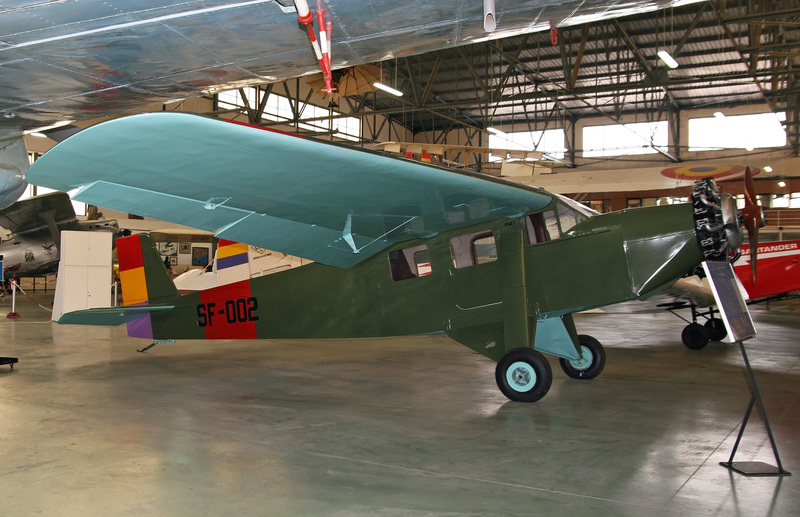 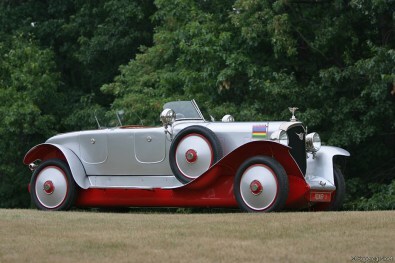 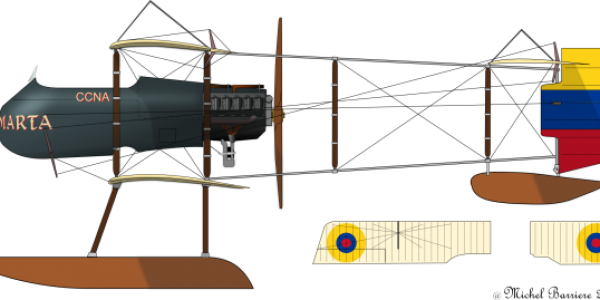 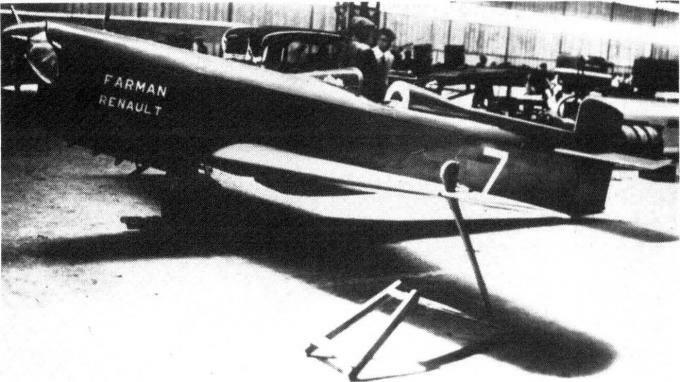 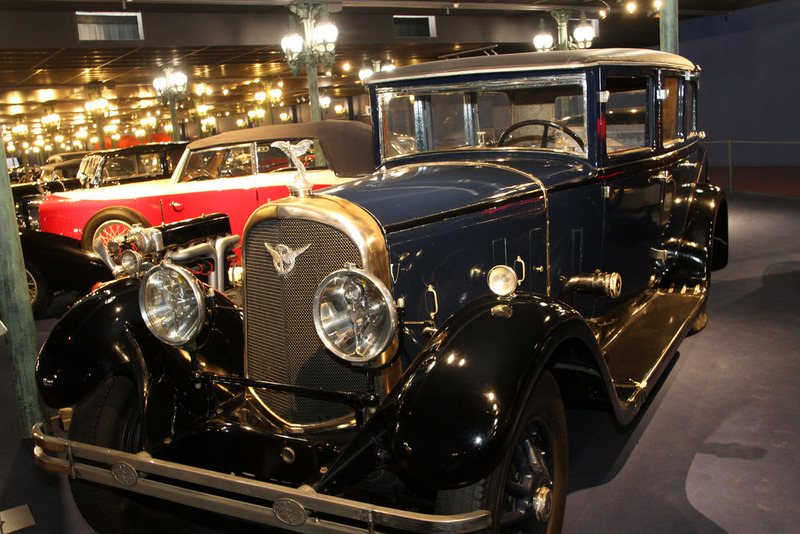 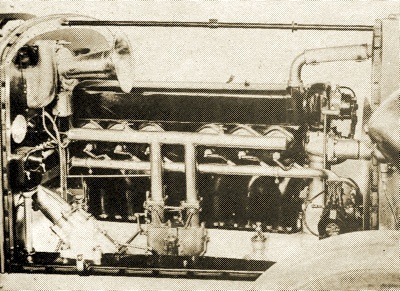 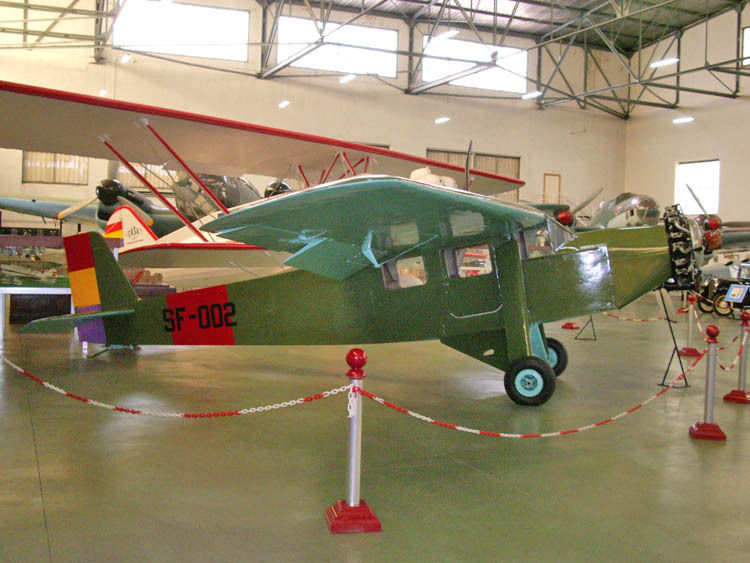 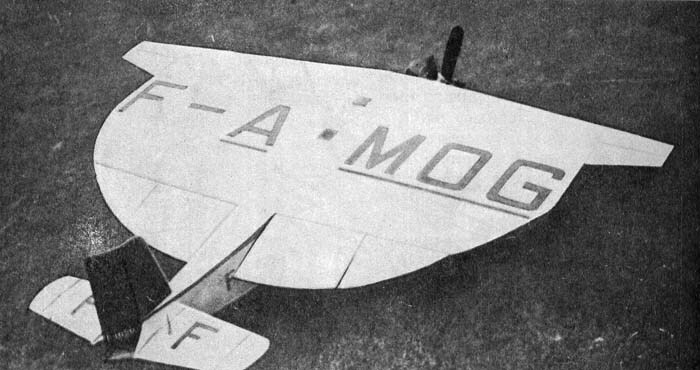 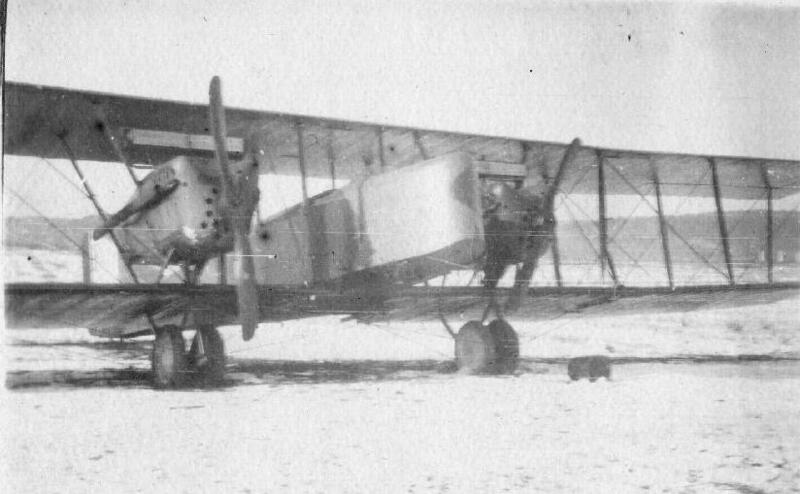 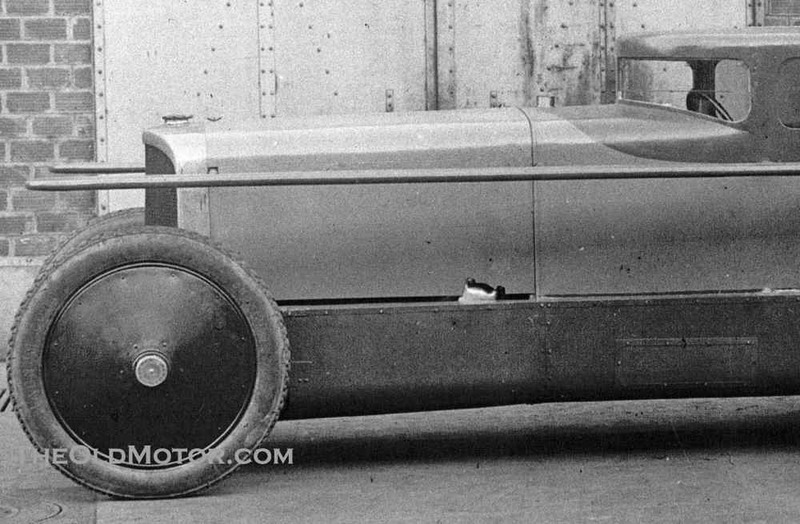 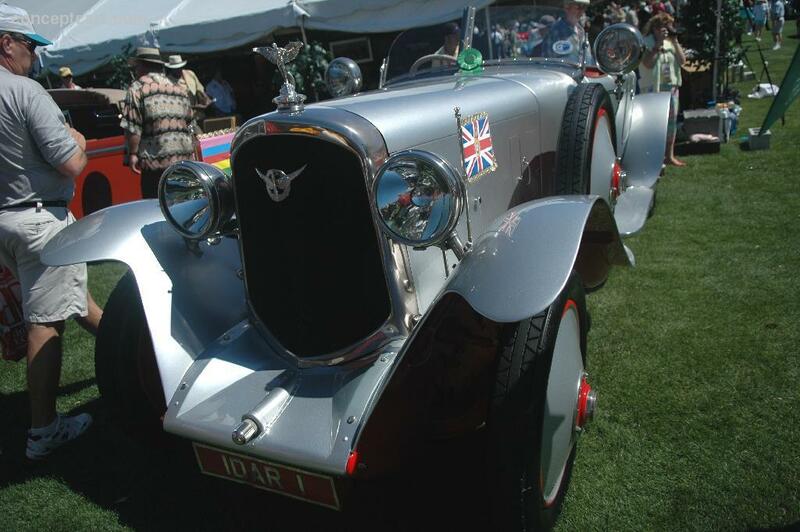 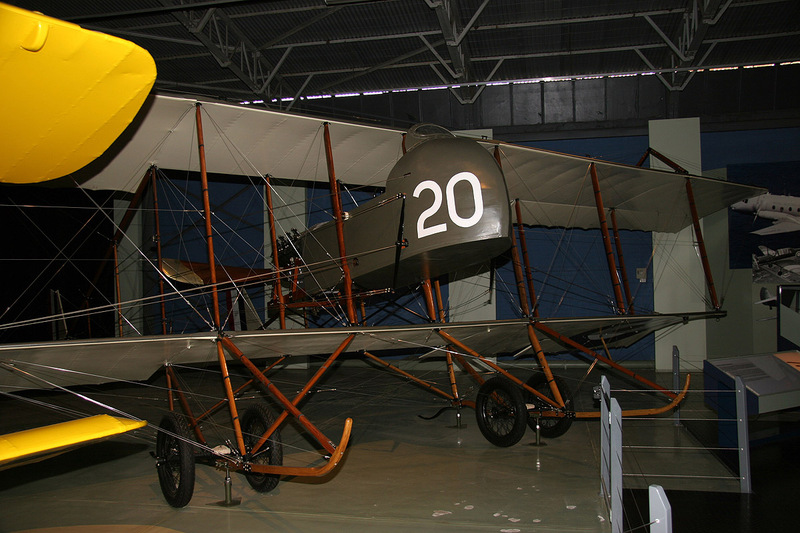 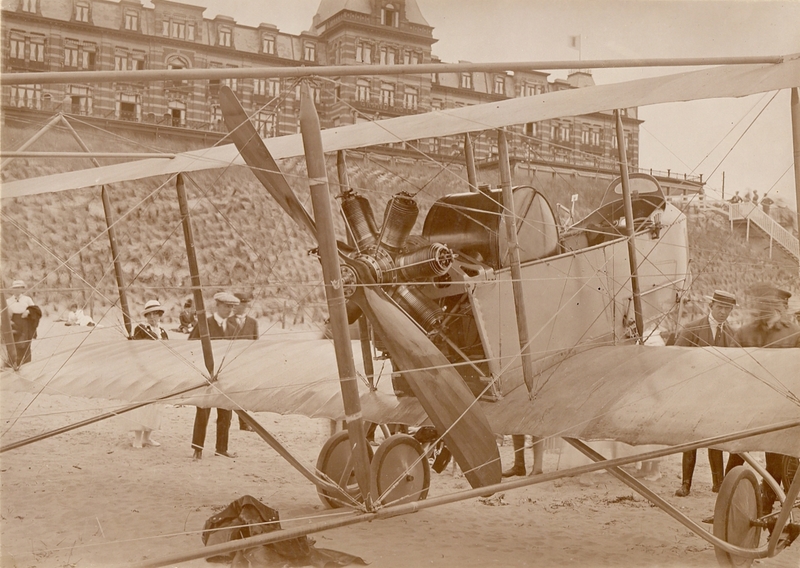 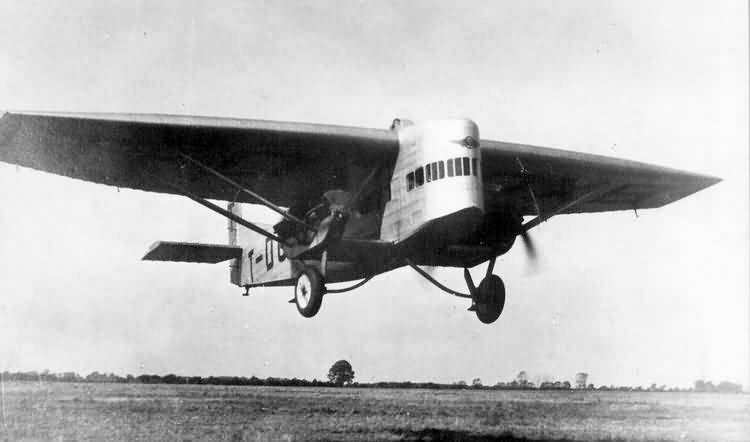 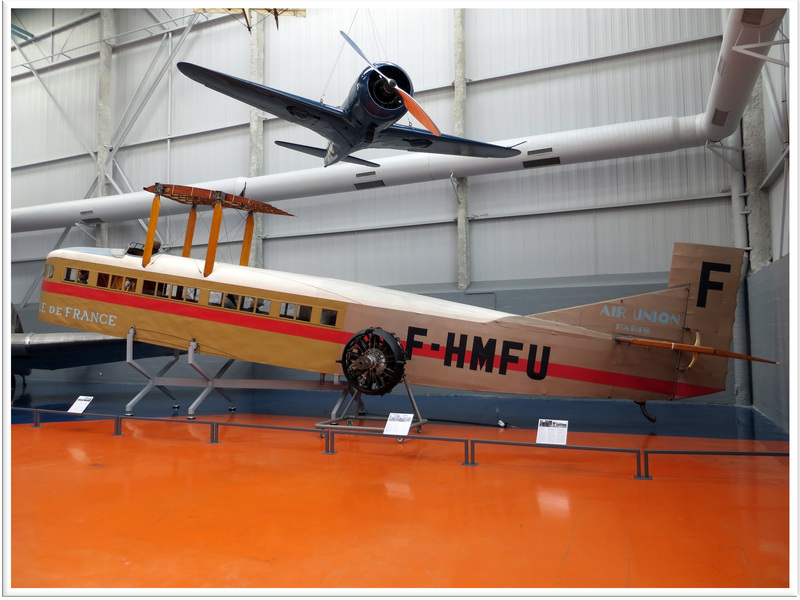 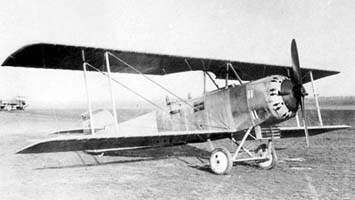 Air­craft de­signed and built by Henry Far­man had a HF pre­fix, while ex­am­ples de­signed and built by his brother Mau­rice car­ried a MF prefix. 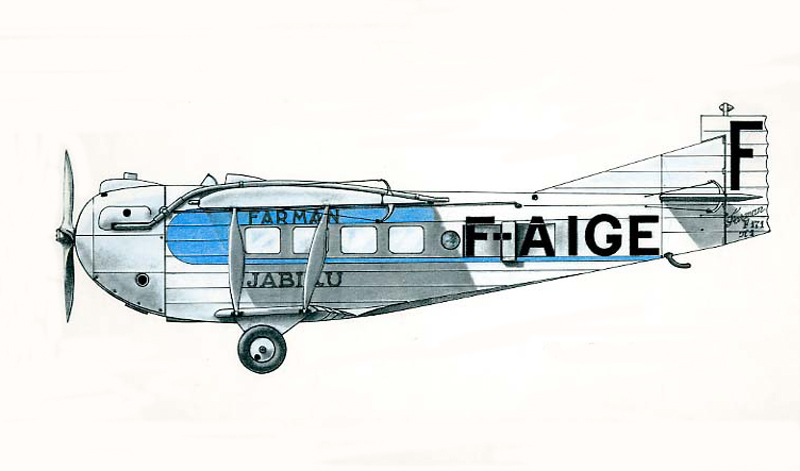 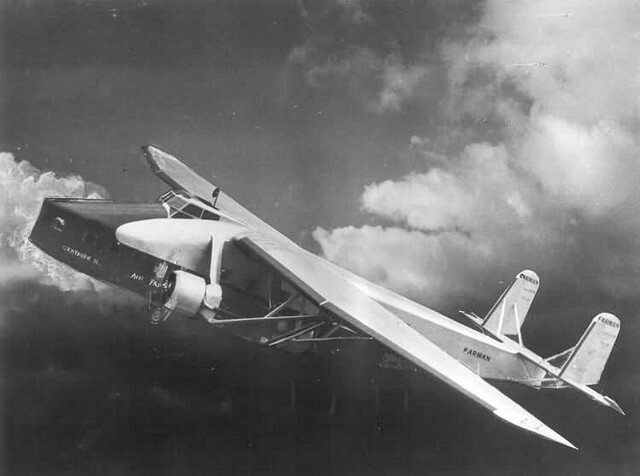 ^ “Brab’s” First Flights, Flight, 28 May 1964, p. 895. 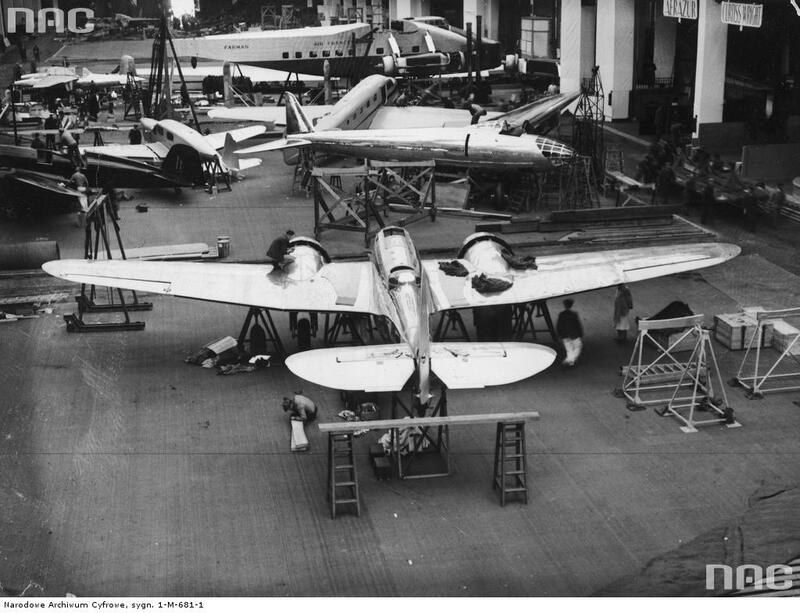 Die Eröffnung der II. 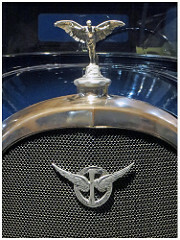 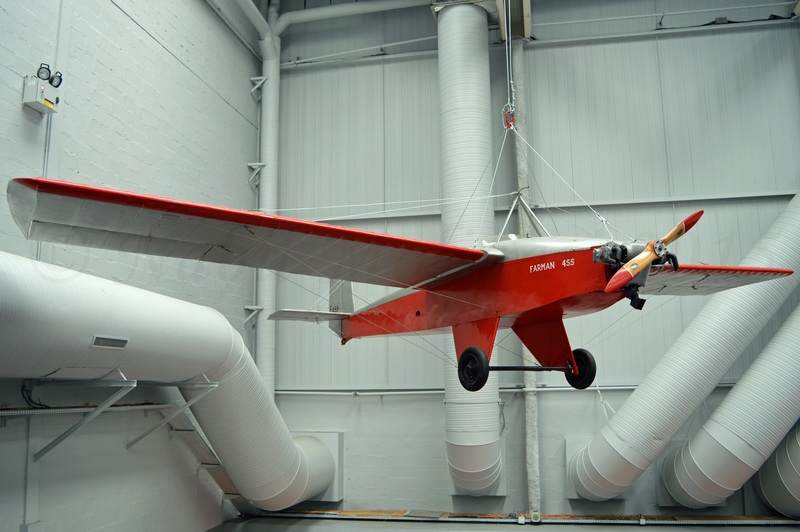 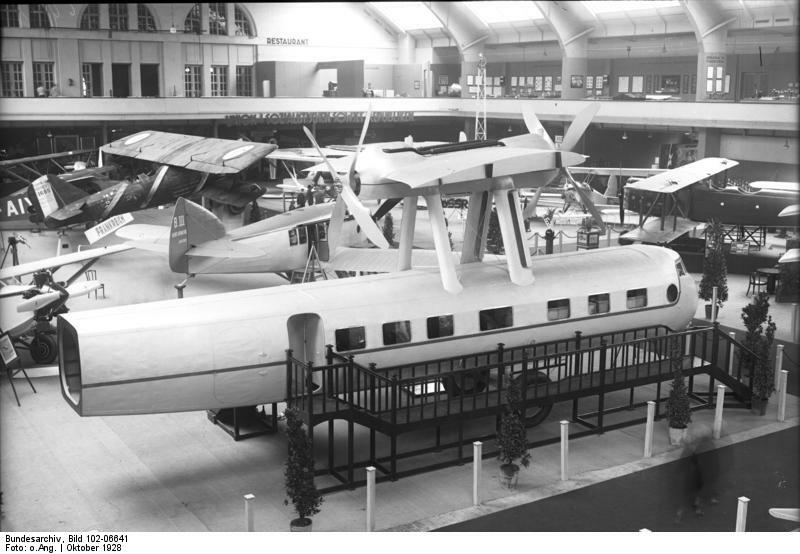 Internationalen Luftfahrt -Ausstellung in den Ausstellungshallen am Kaiserdamm in Berlin1 Blick in die Halle der ausländischen Flugzeuge auf der “ILA”. 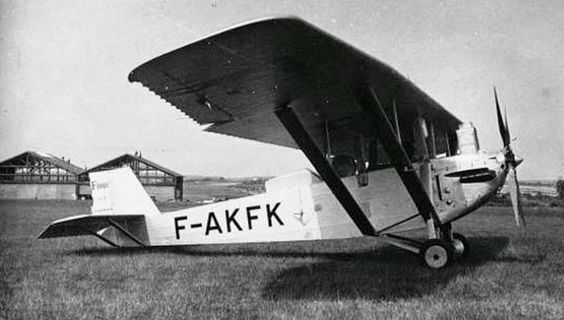 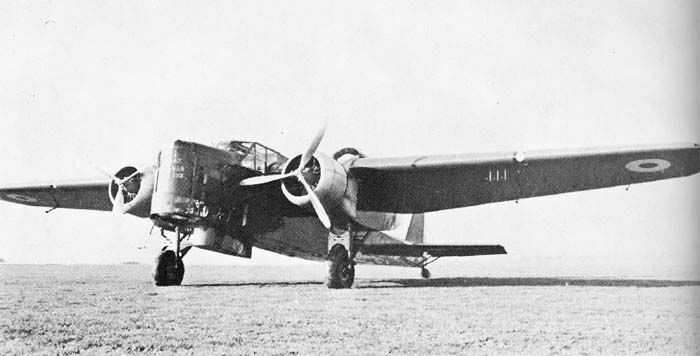 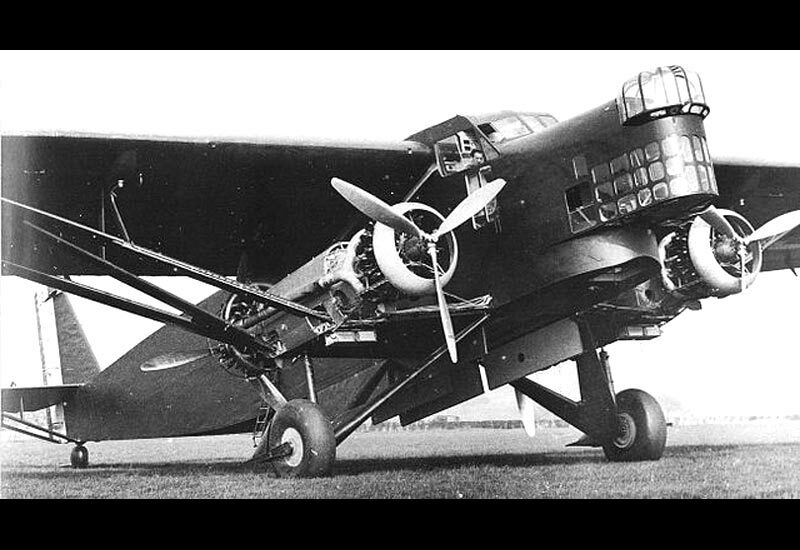 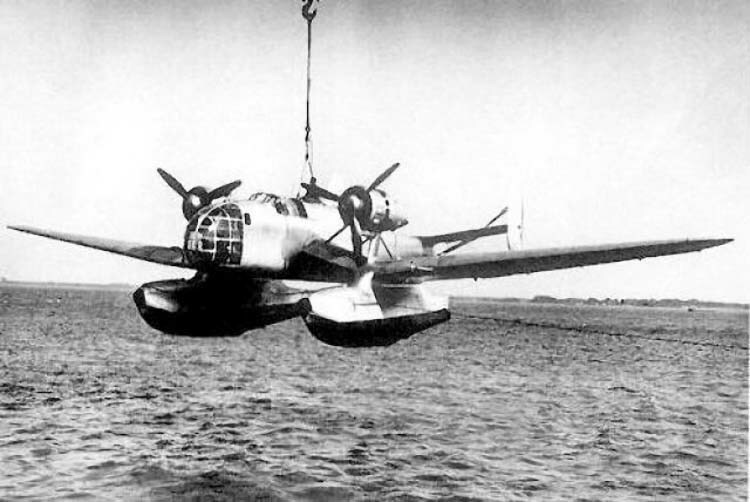 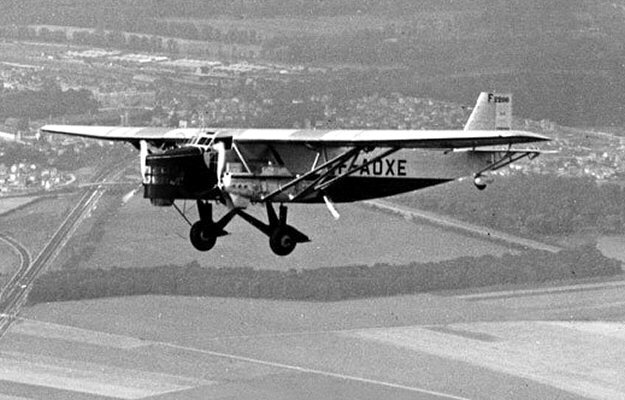 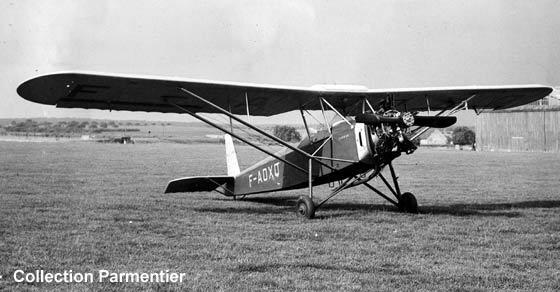 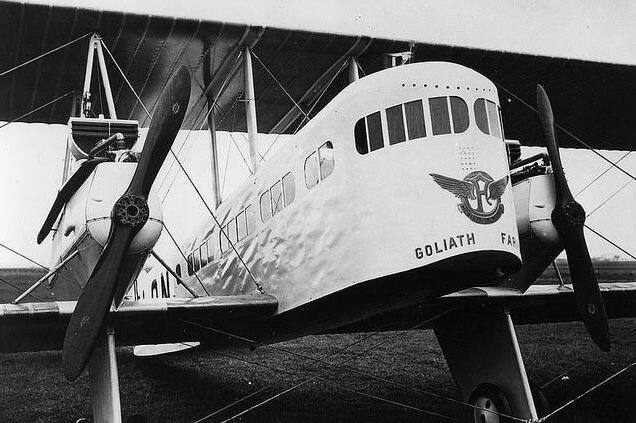 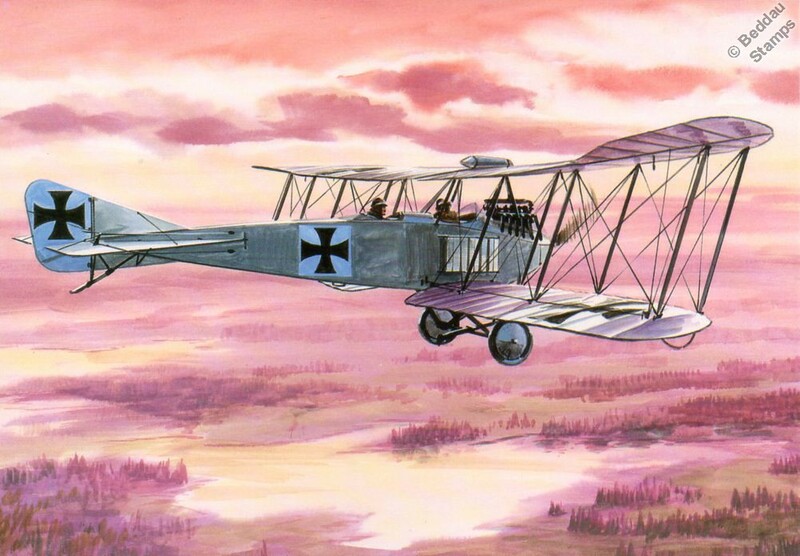 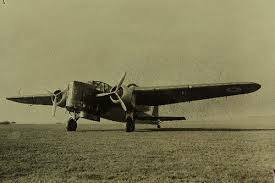 Im Vordergrund das neueste französische Farman-Gross-Flugzeug für mehr als 30 Passagiere eingereichtet. 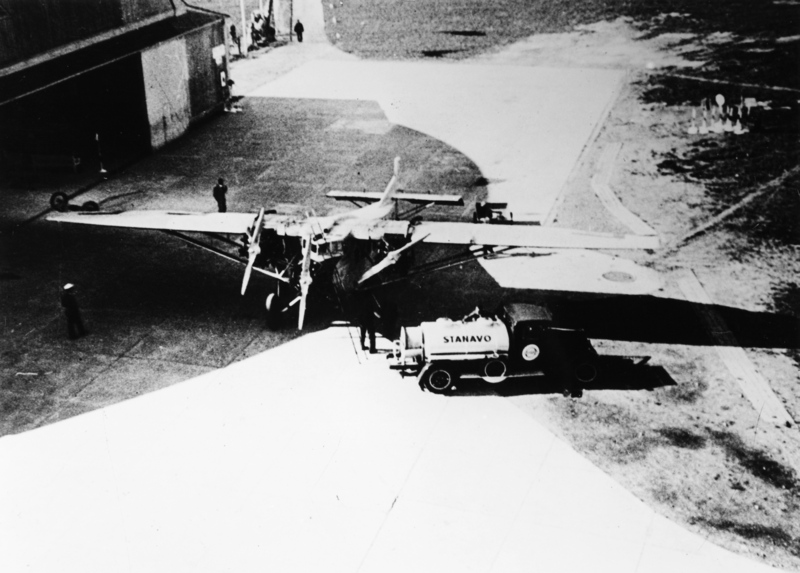 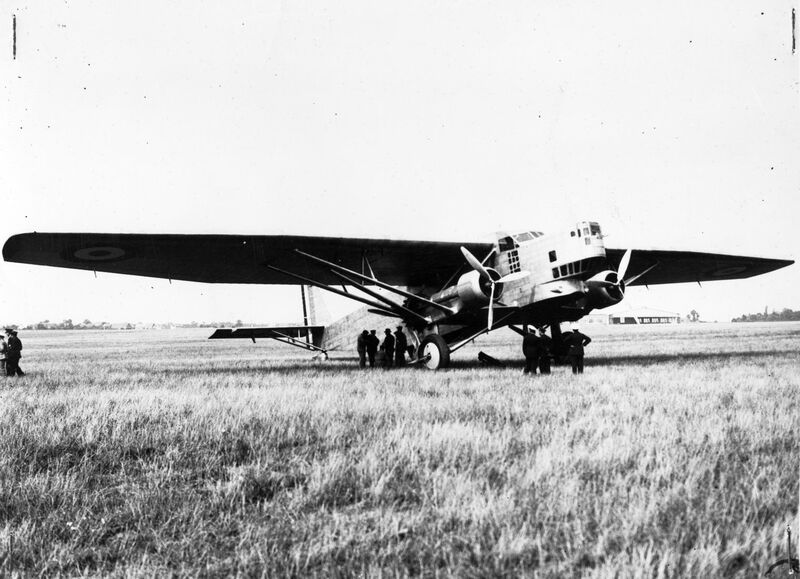 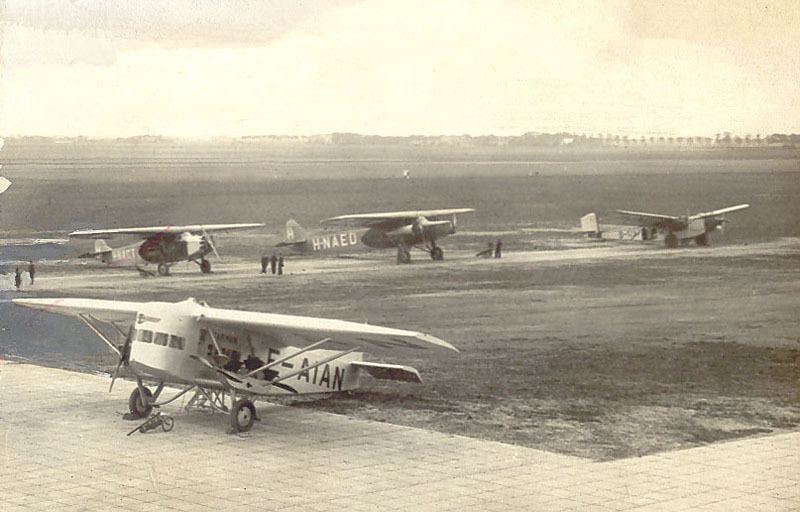 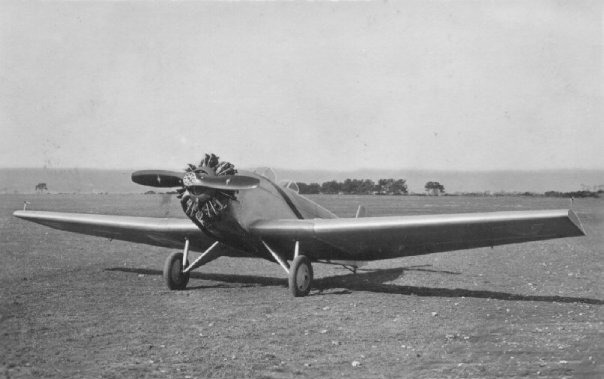 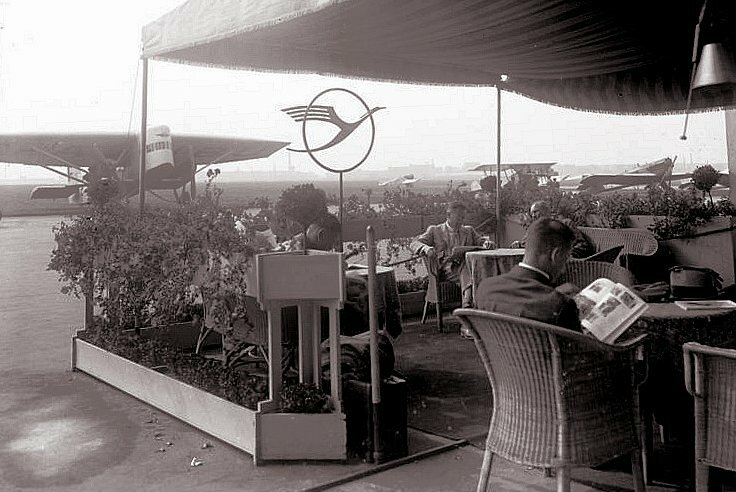 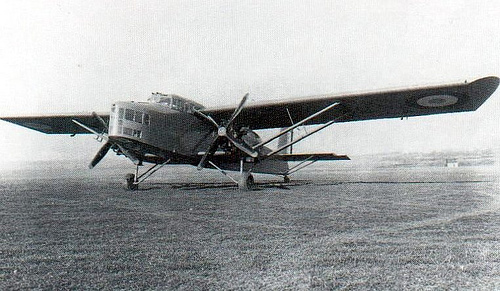 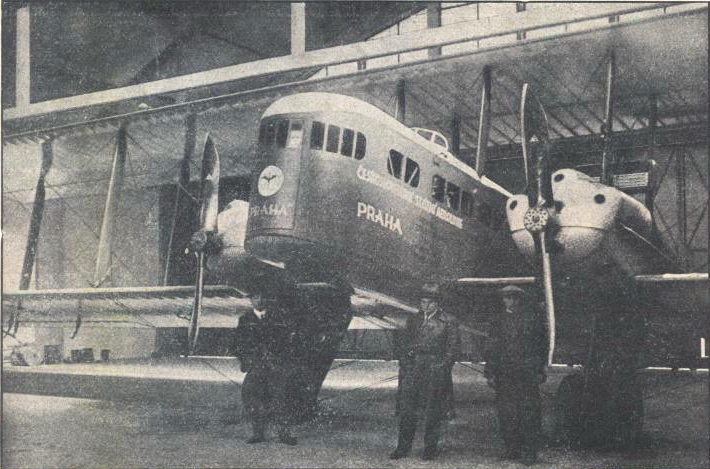 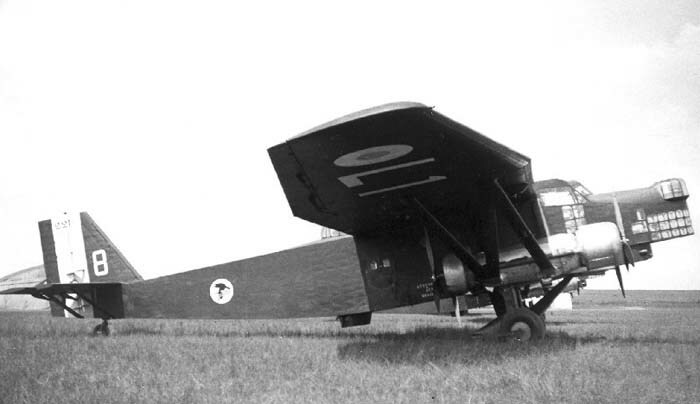 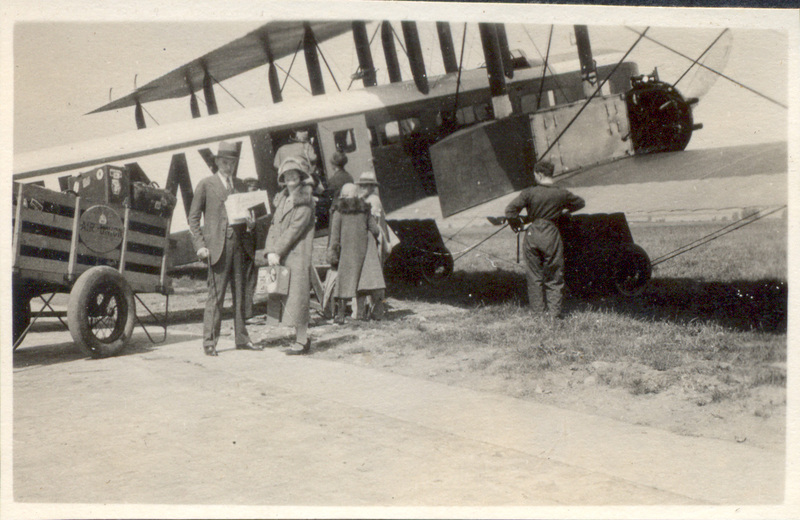 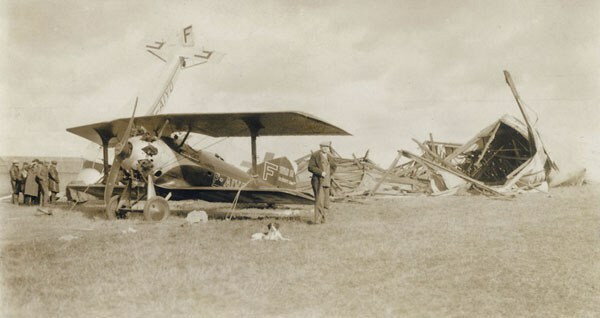 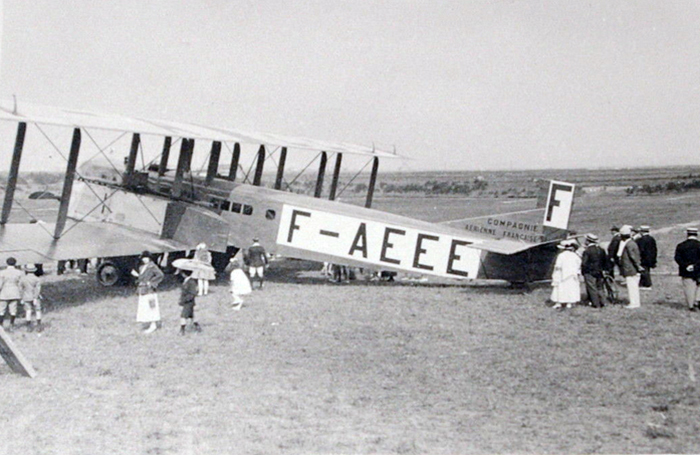 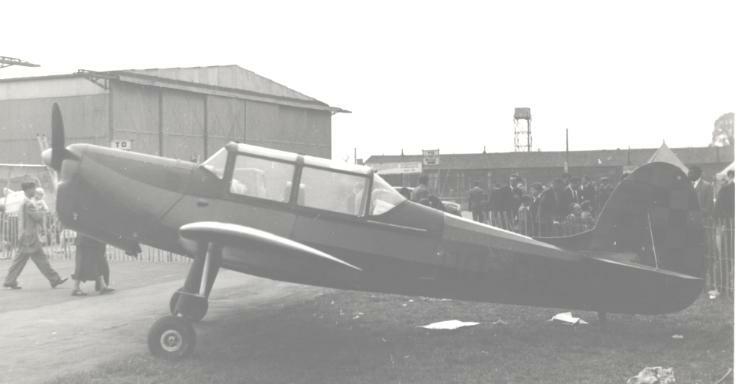 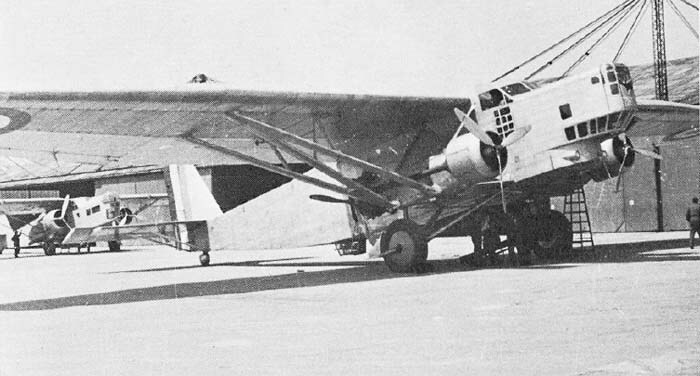 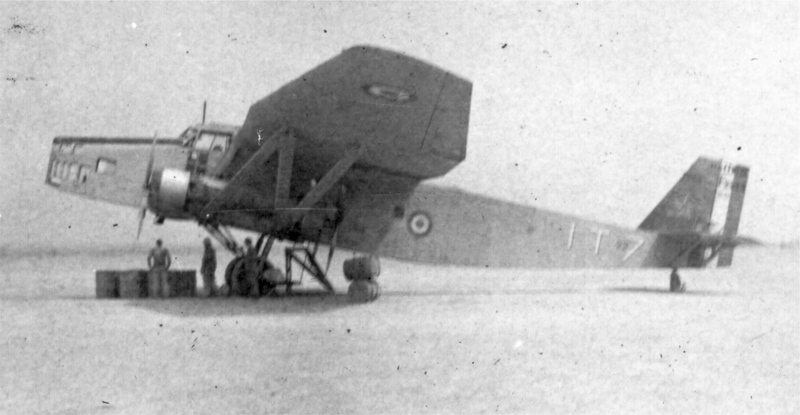 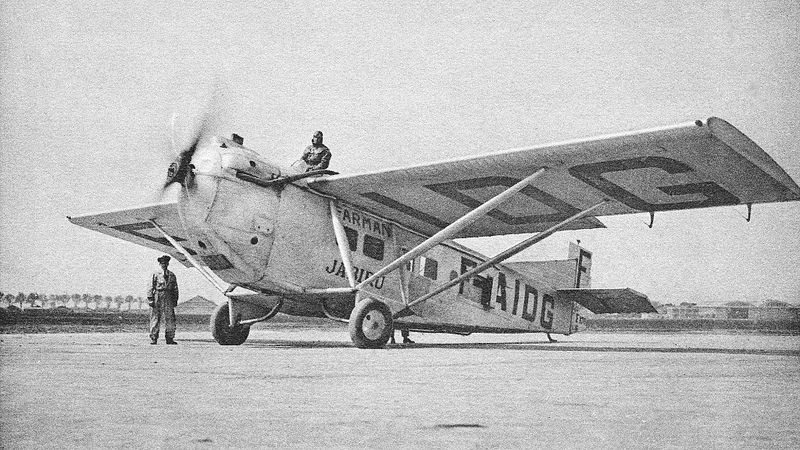 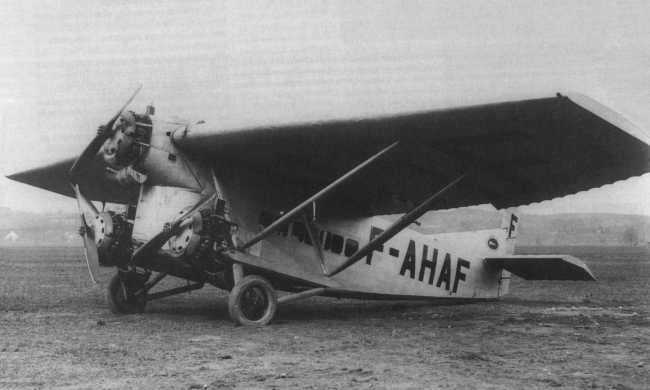 Airport Malmö Bulltofta BUA, Farman’s is getting refuelled at Bulltofta Airport, Malmö, 1920s or 1930s.